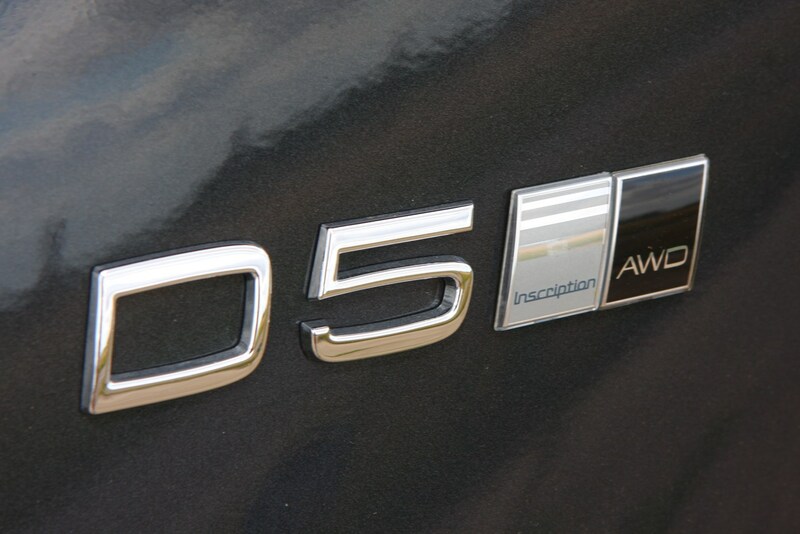 Insurance group: 33 - 45 How much is it to insure? 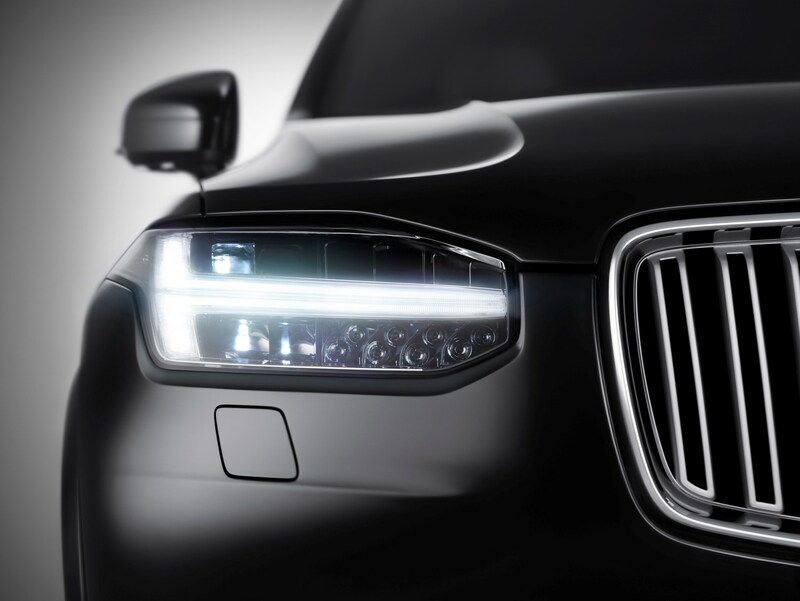 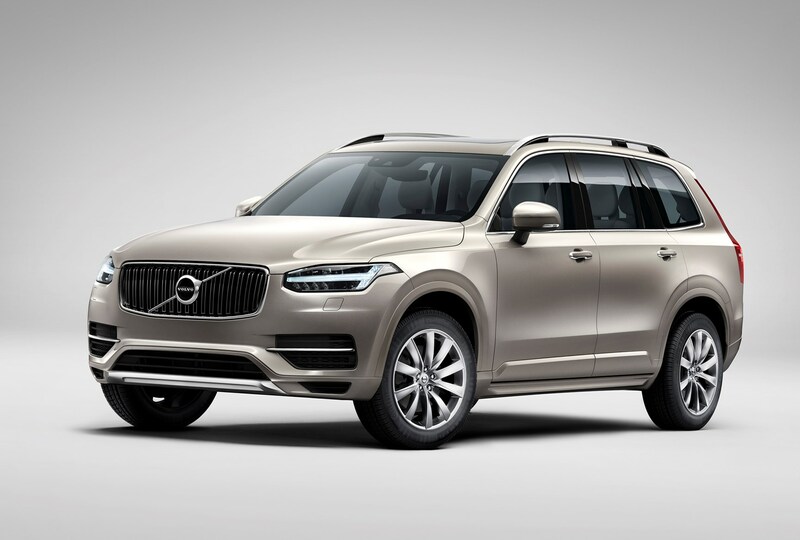 The first-generation Volvo XC90 was on the scene for a solid 13 years – an incredibly long time for a car, but it enjoyed huge success worldwide offering class, sophistication, luxury, practicality and space for seven. 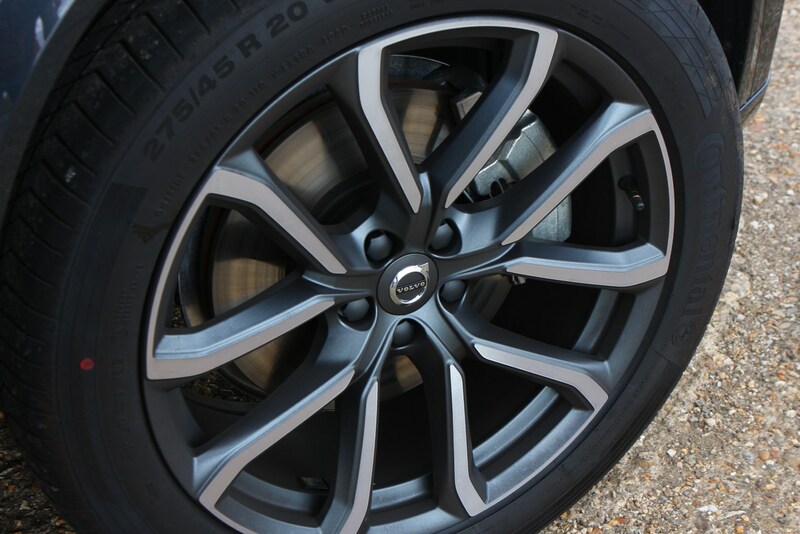 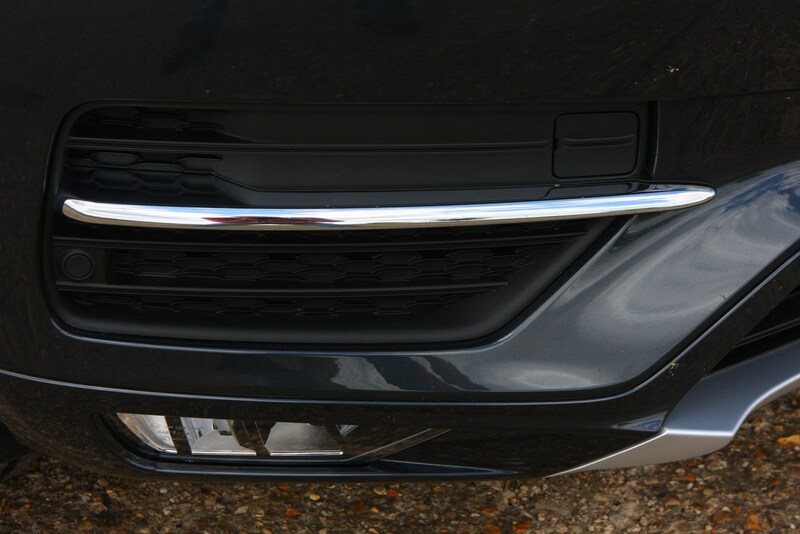 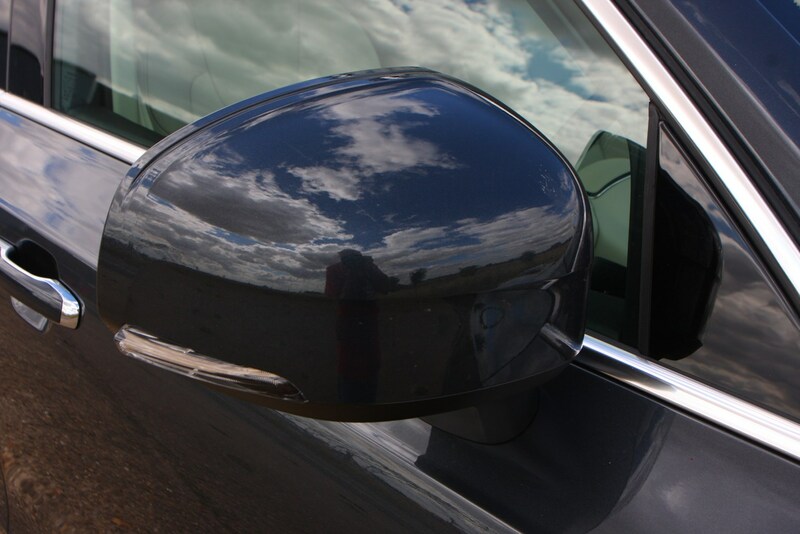 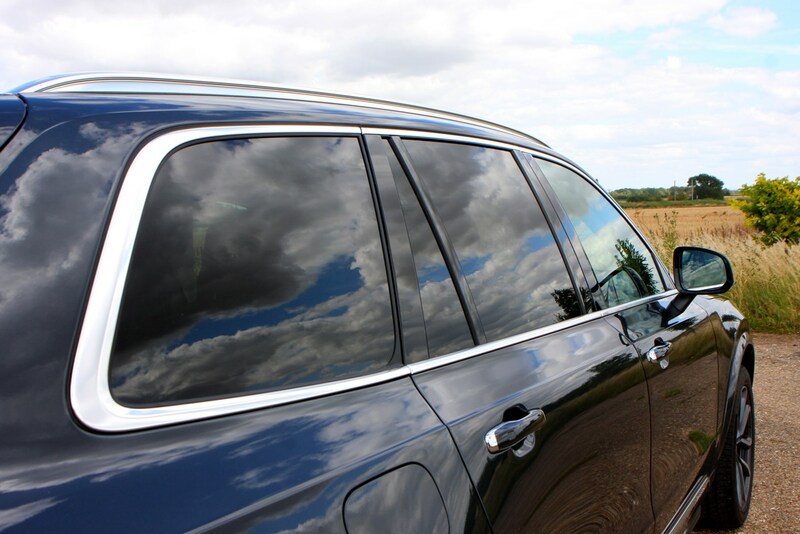 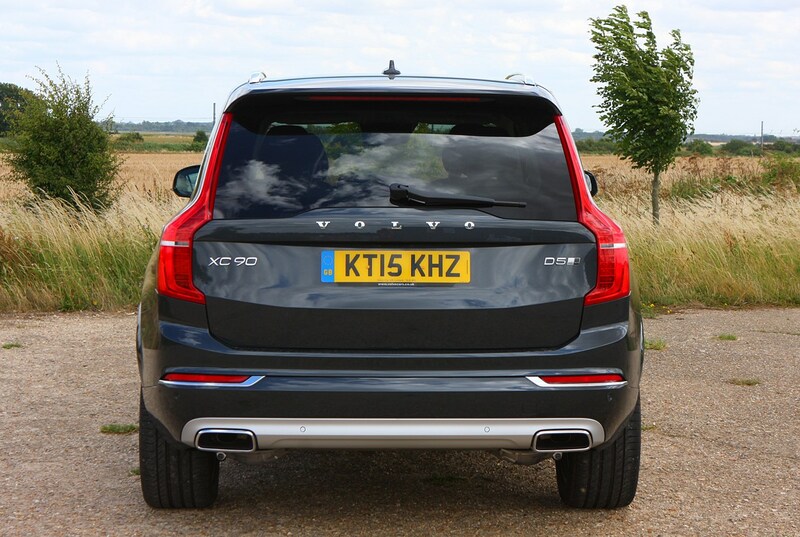 This second-generation car had big boots to fill when it arrived in 2015, but it made an impact with bold, eye-catching styling, a modern, luxurious interior and lots of advanced safety kit to keep the family safe. 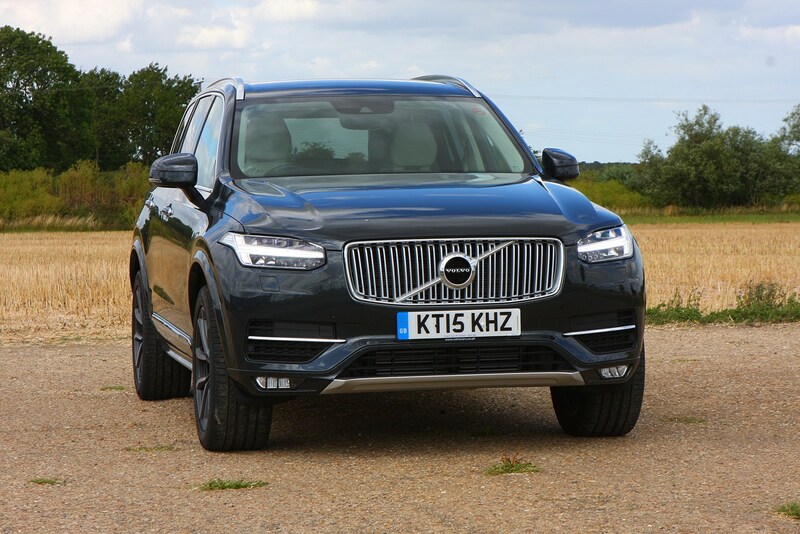 It doesn’t have the market sewn up though, with the Land Rover Discovery, BMW X5, Audi Q7 and Mercedes-Benz GLE all offering similar appeal to the same kind of buyer. 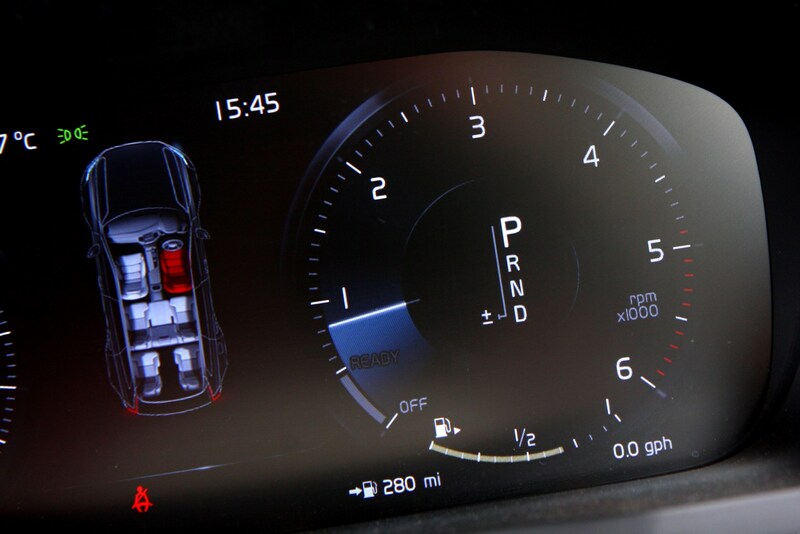 So how does it do in such illustrious company? 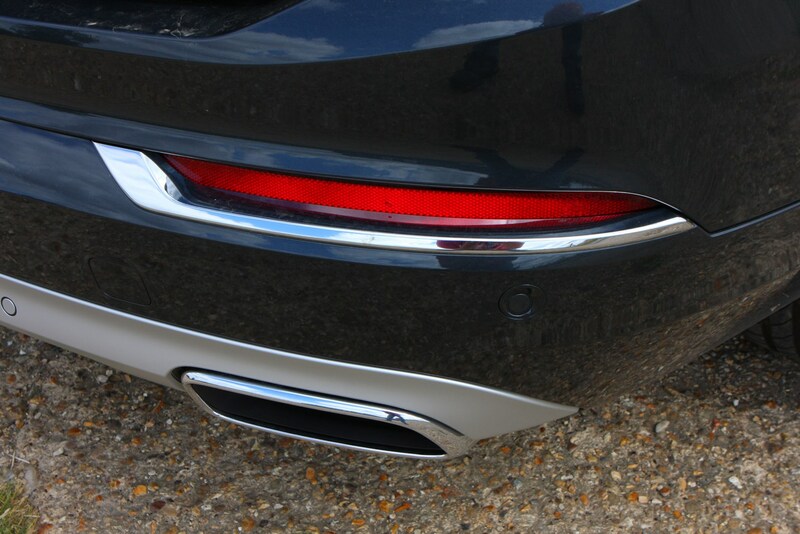 The answer is well - very well indeed. 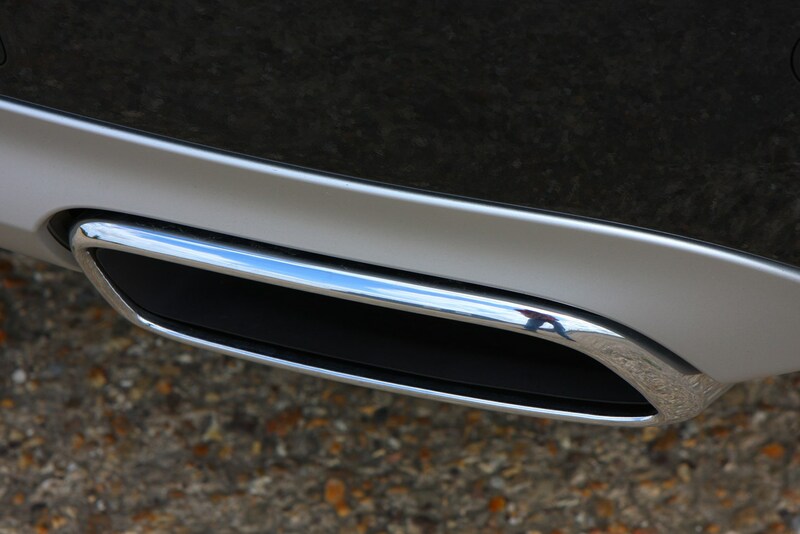 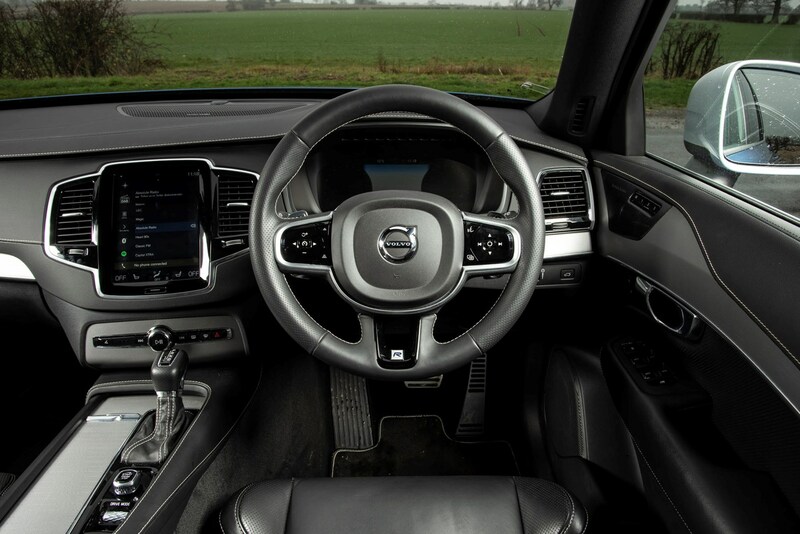 There’s a huge amount to like about this car, from the versatile interior to the impressive tech and even the engines. 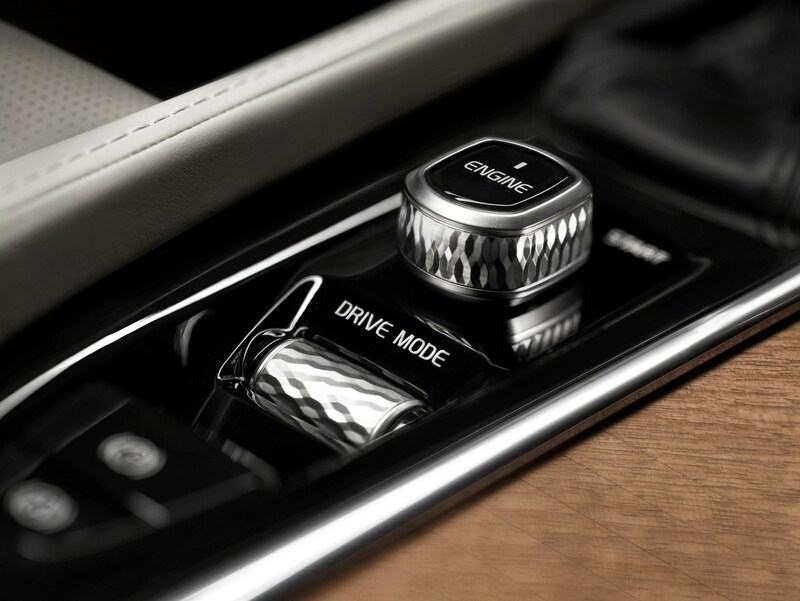 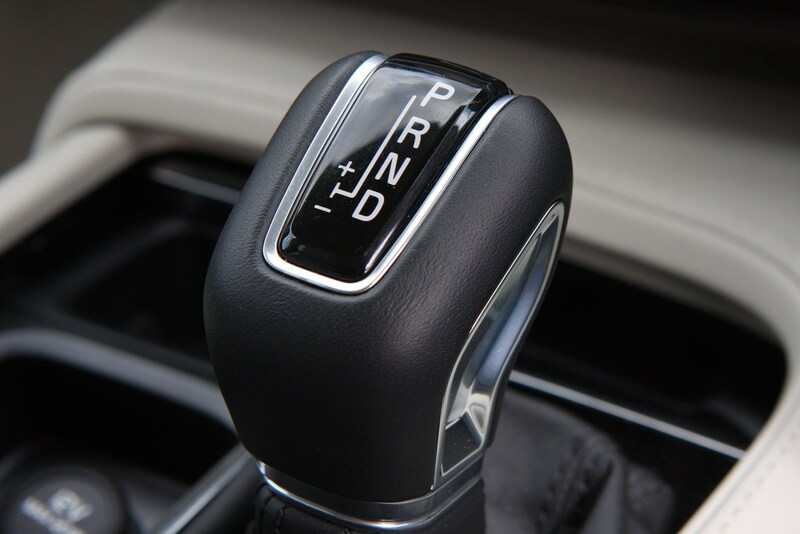 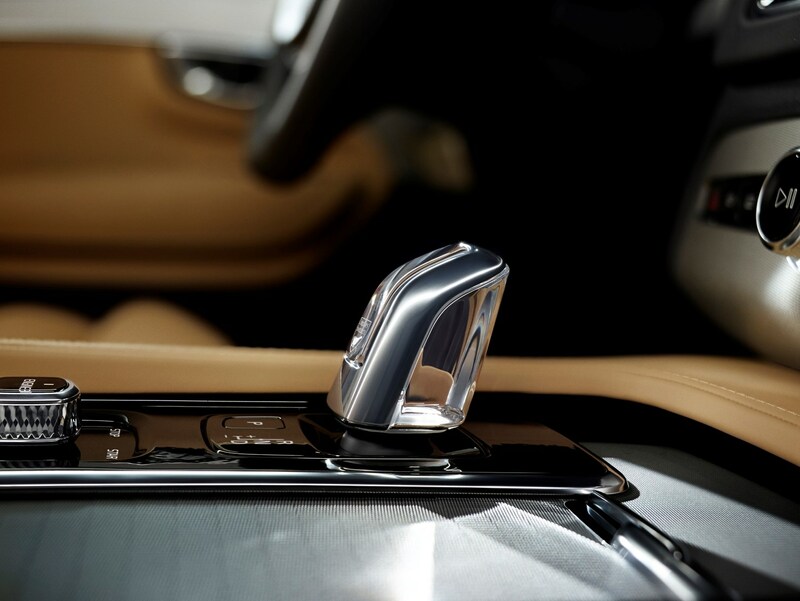 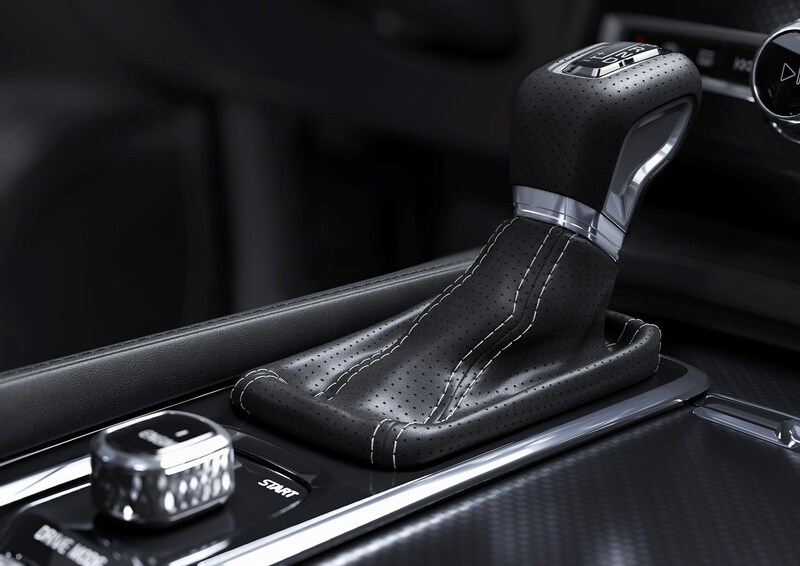 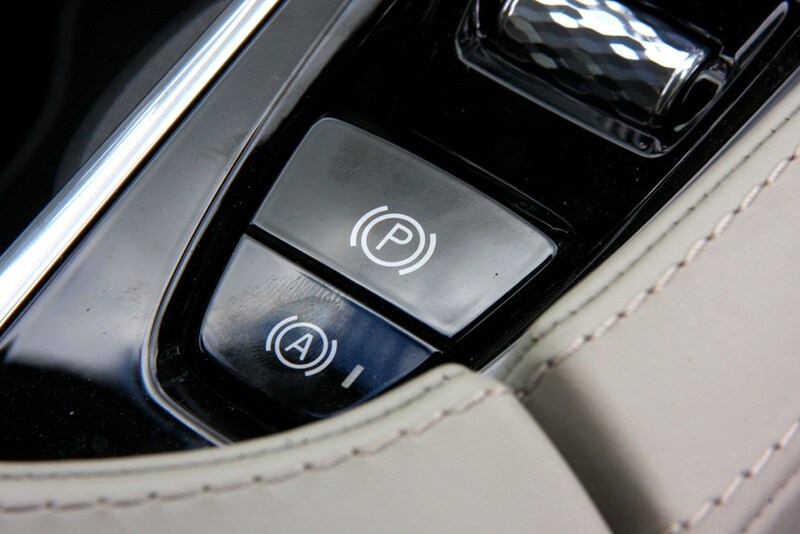 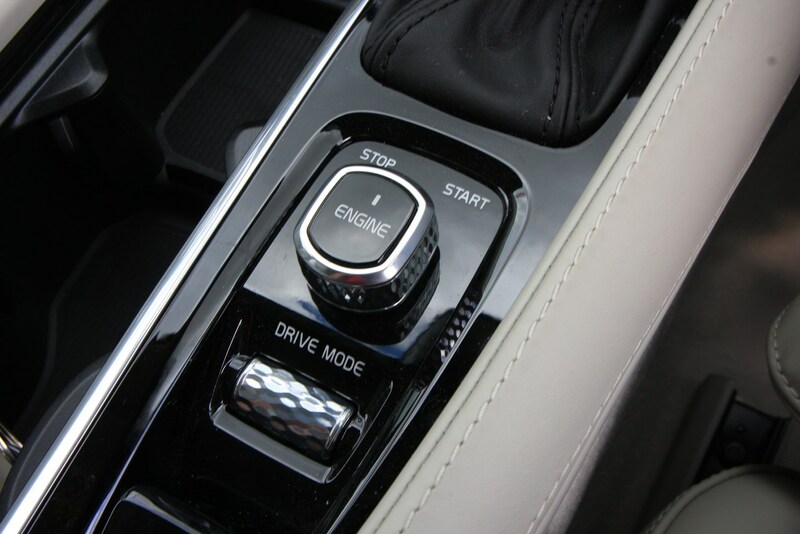 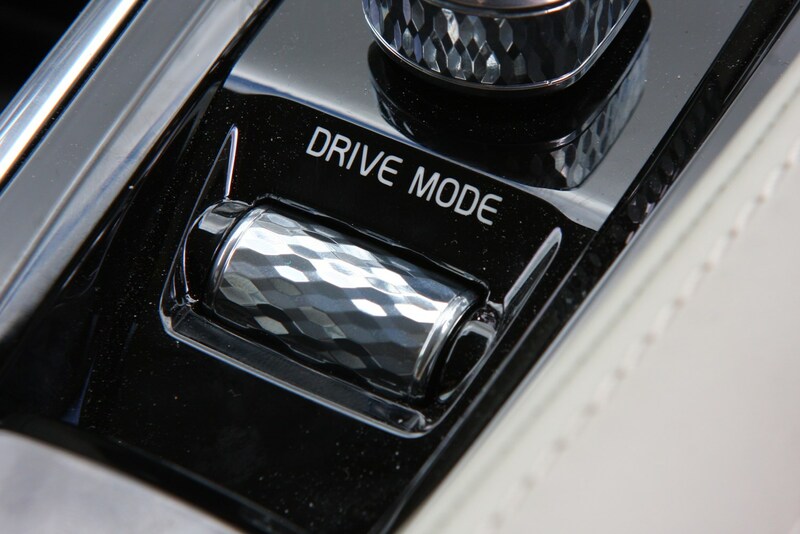 You’ve got a choice of four, all feeding power through a smooth-shifting eight-speed automatic gearbox. 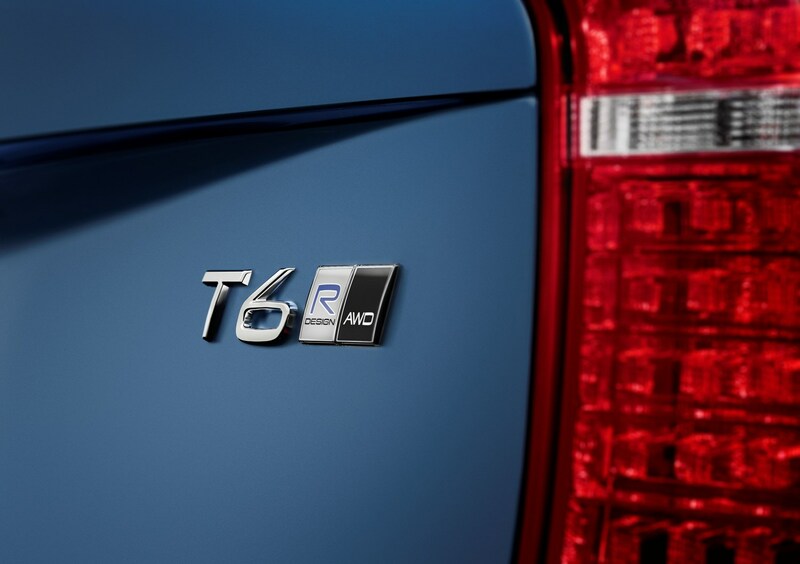 The sole diesel, known as D5, makes up the majority of sales with 235hp, but company car drivers will be far more interested in the plug-in hybrid T8 Twin Engine, which emits just 59g/km of CO2 and thus qualifies for seriously low Benefit-in-Kind taxation. 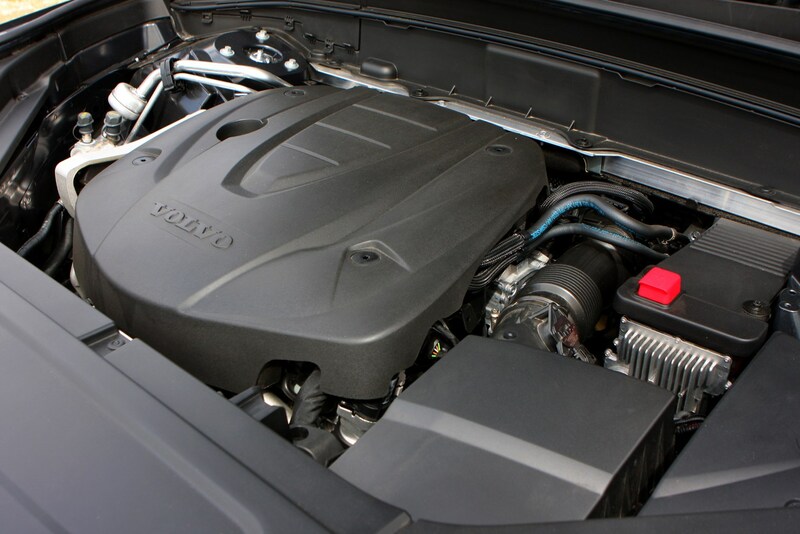 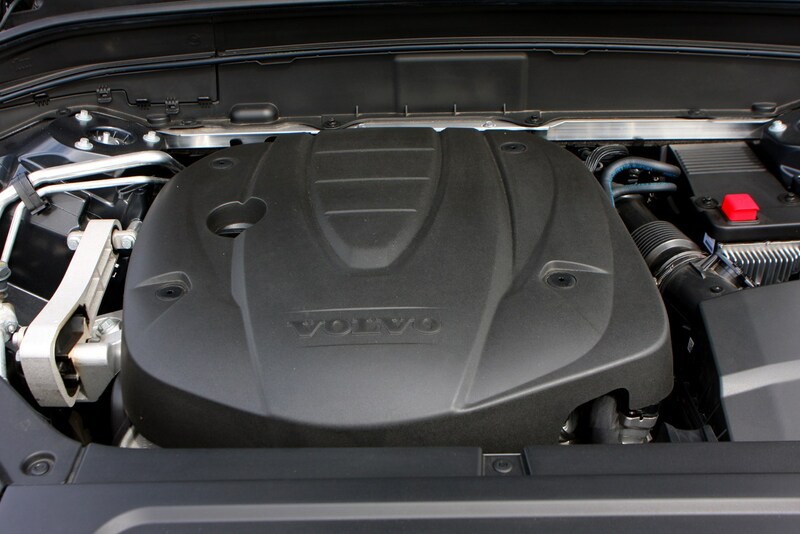 At the same time, it’s also the most powerful engine in the range. 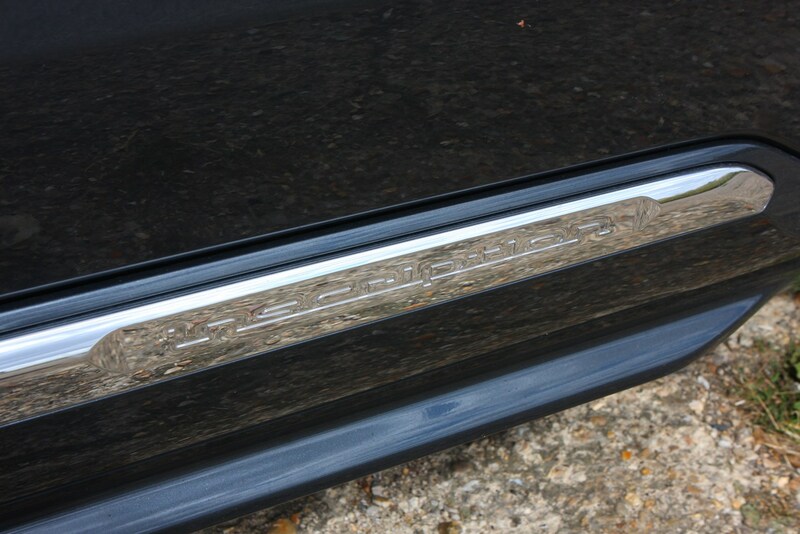 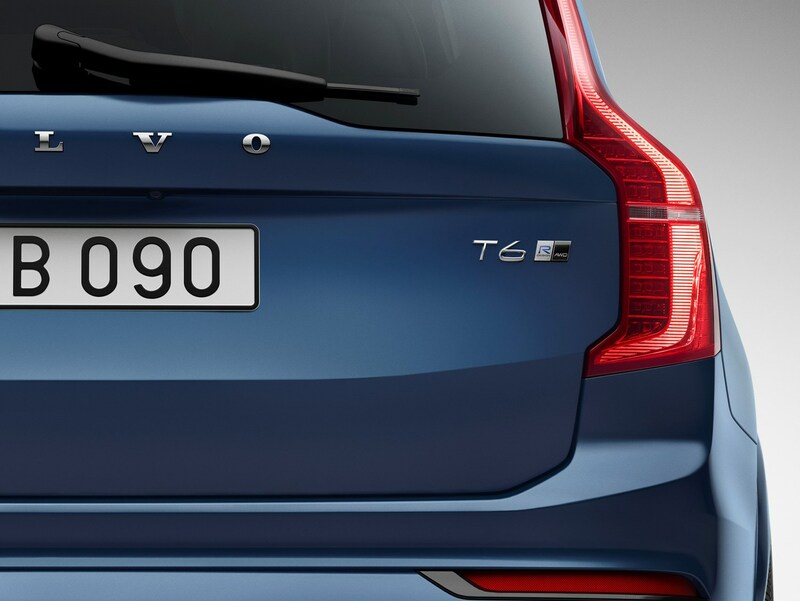 There are also two petrol options – badged T5 and T6 – with 250hp and 310hp respectively. 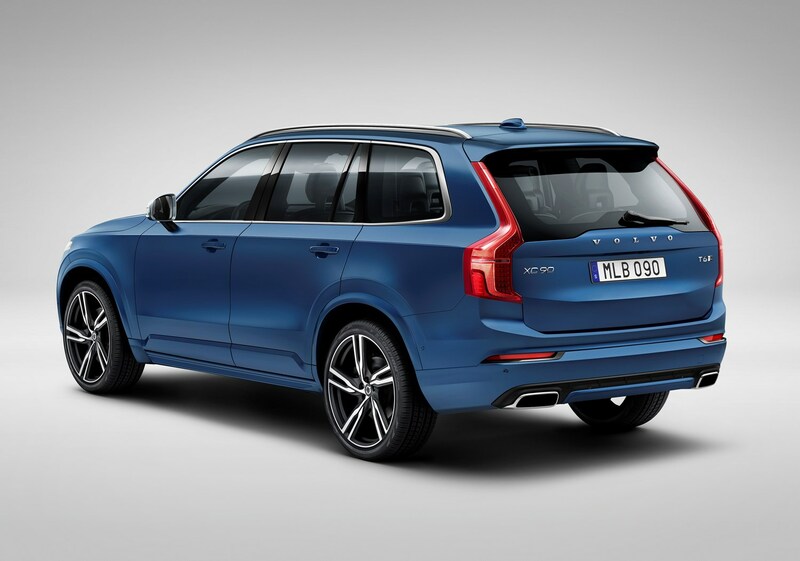 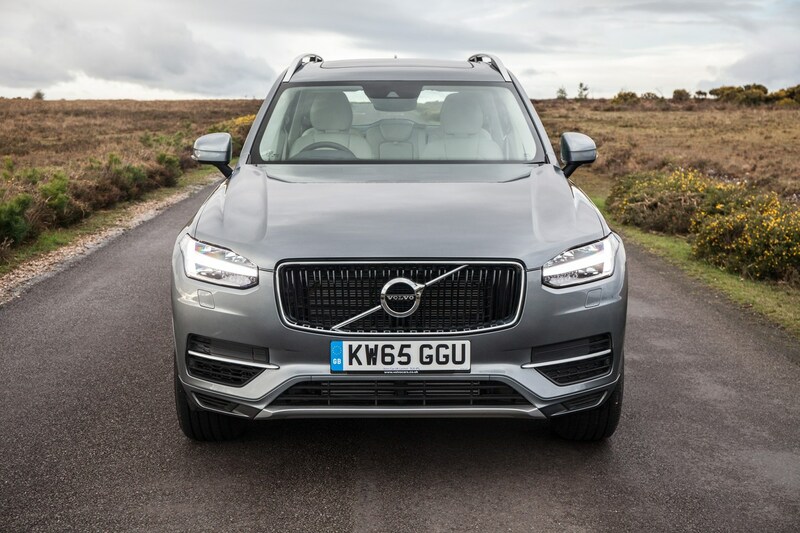 Each of the engine options has a slightly different characteristic, but the main thing to take away here is that the XC90 is a very easy car to drive. 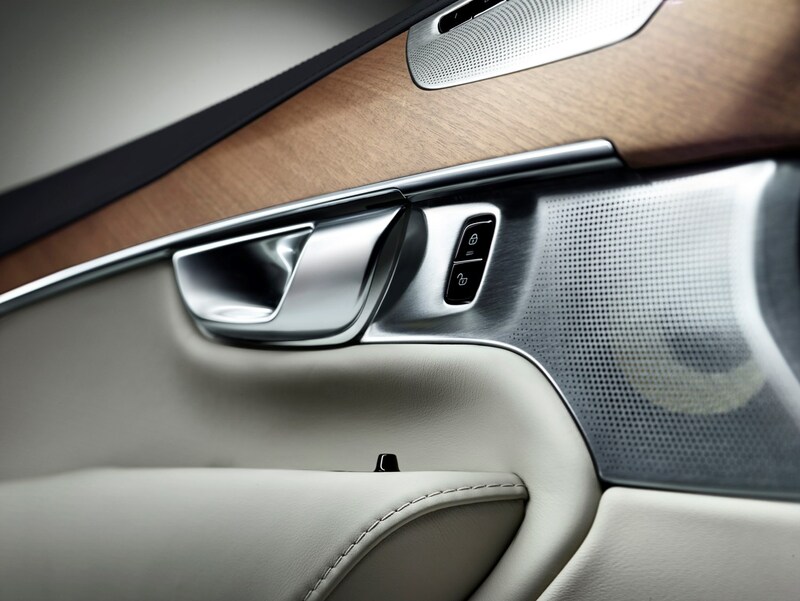 It’s smooth, quiet, refined and comfortable. 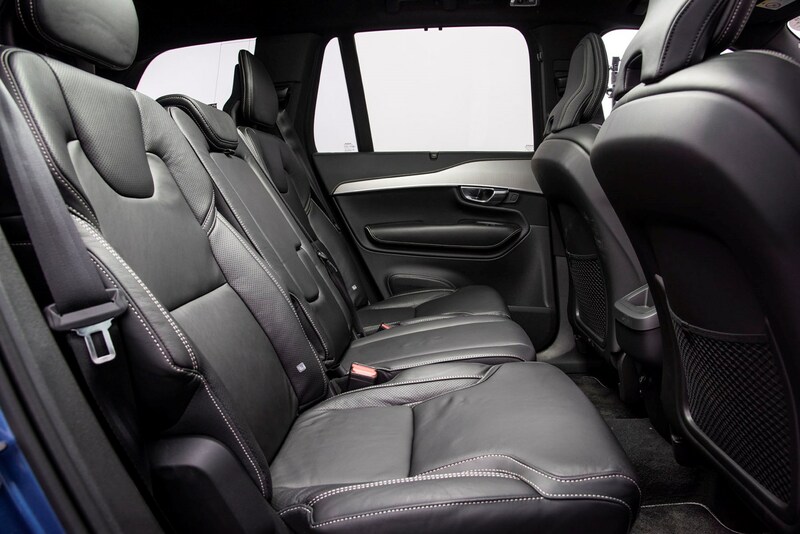 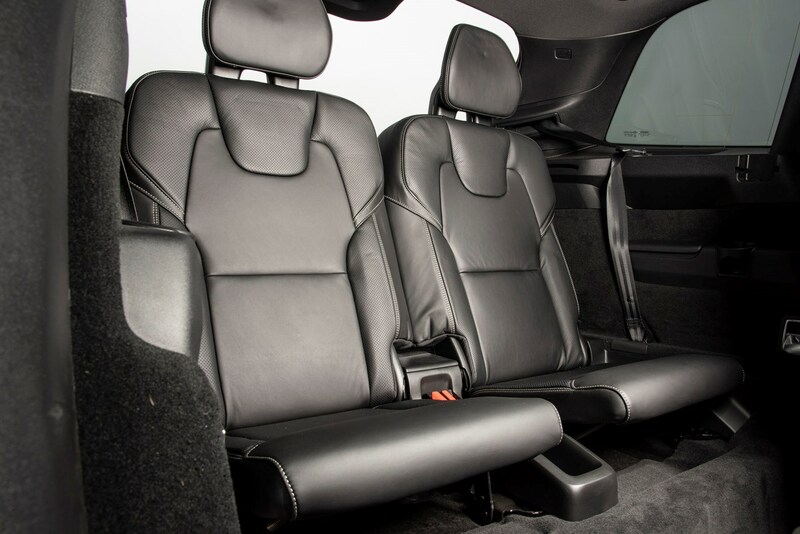 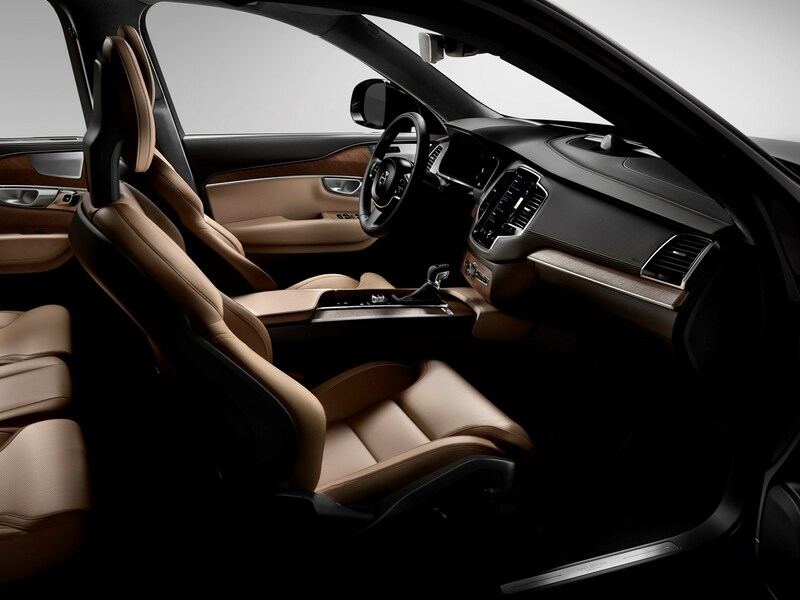 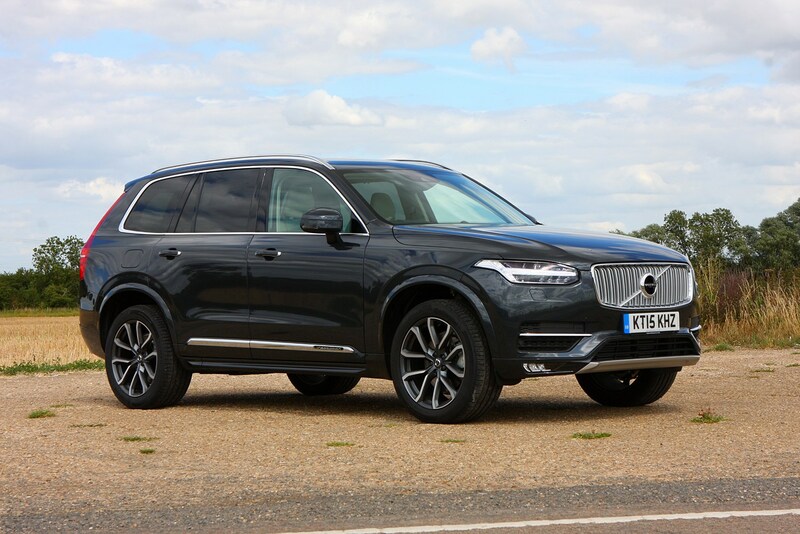 This is where the XC90 really needs to excel – the previous version had what were widely regarded to be some of the most comfortable seats in the industry, and the latest iteration’s are equally impressive. 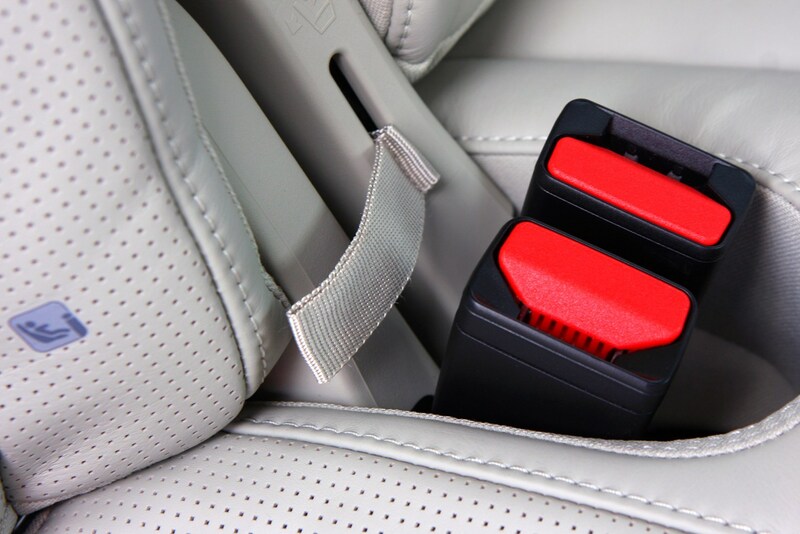 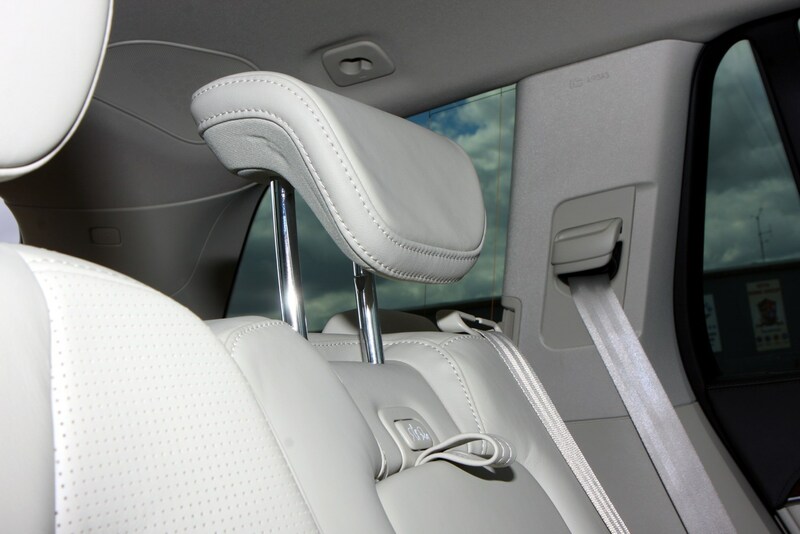 They’re seriously safe too; thanks to whiplash prevention and a system to mitigate spinal compression in the event of an accident, these might just be the most technologically advanced seats we’ve heard of. 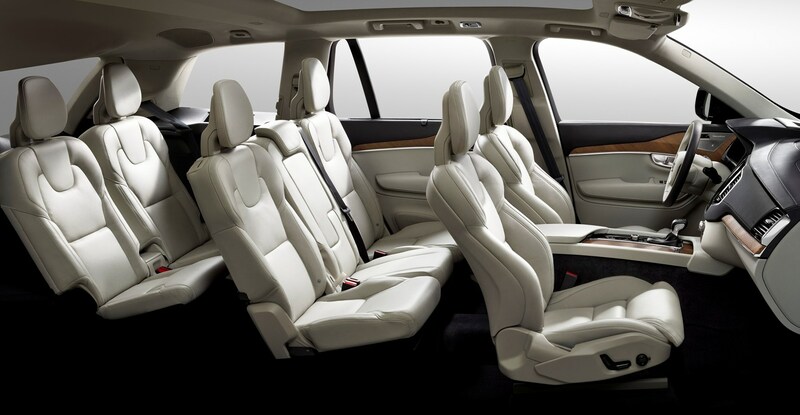 Most should be able to get comfortable whichever seat they’re in thanks to plenty of adjustment and space in all three rows. 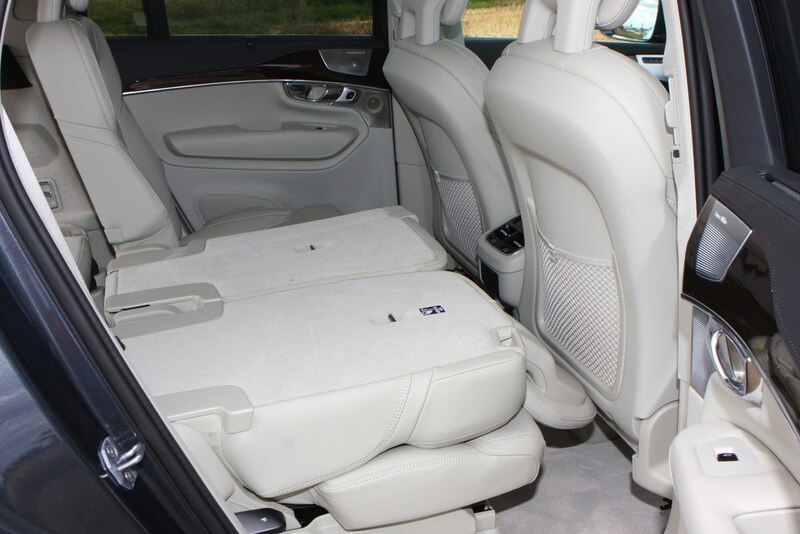 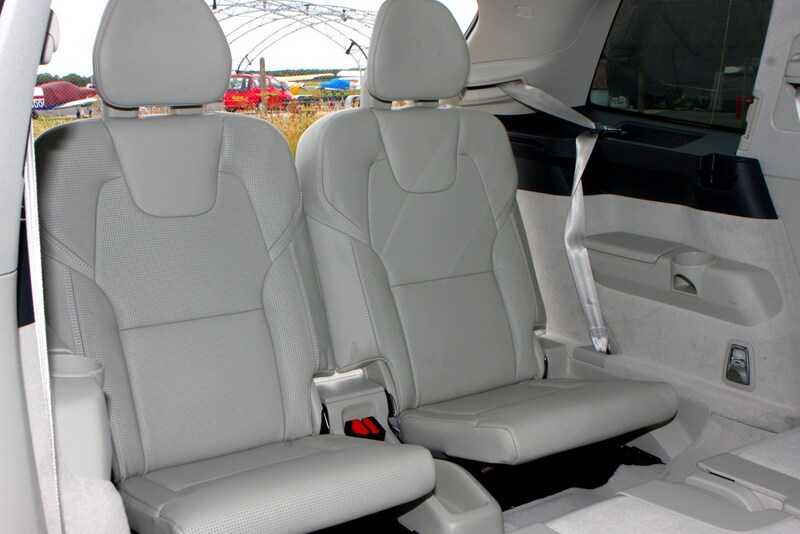 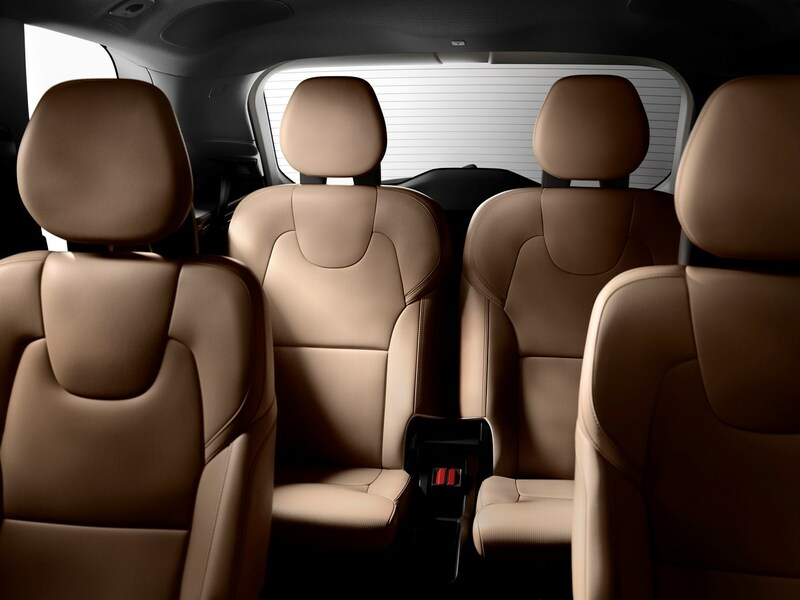 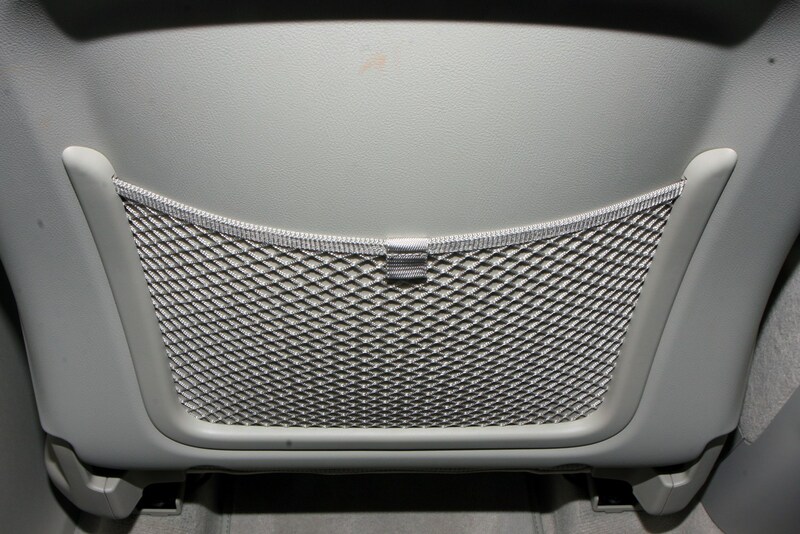 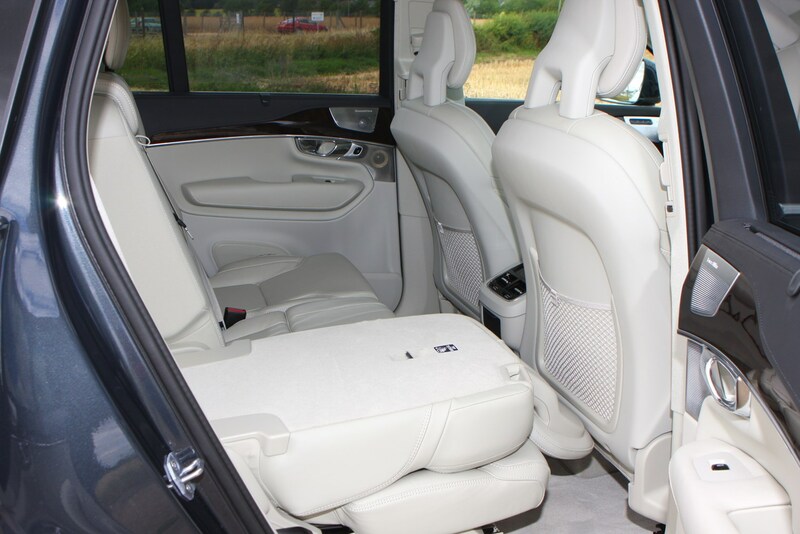 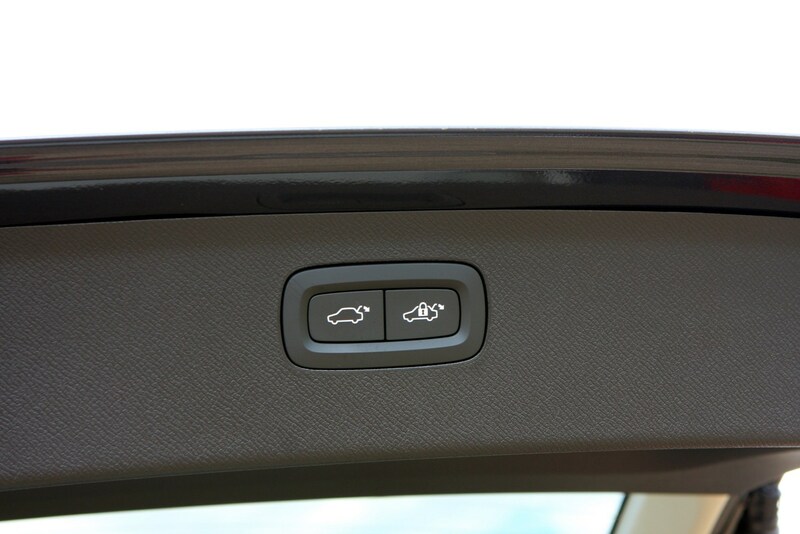 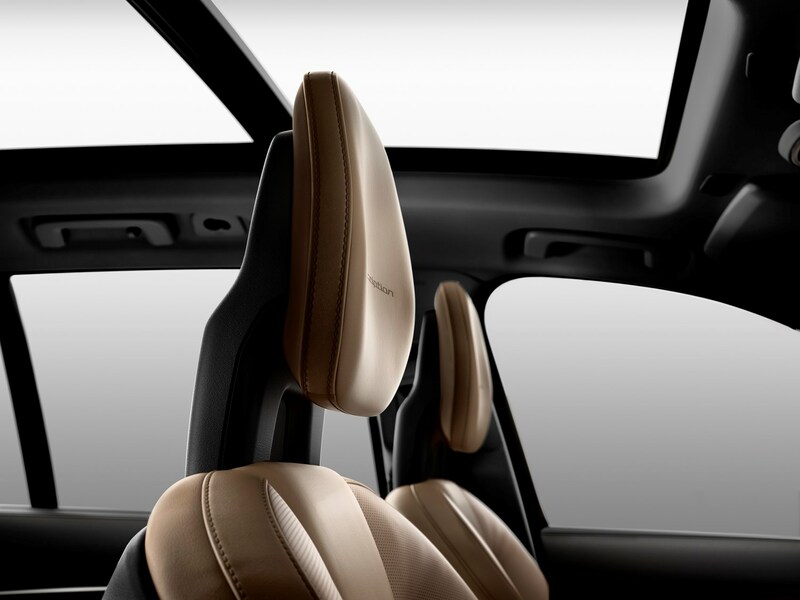 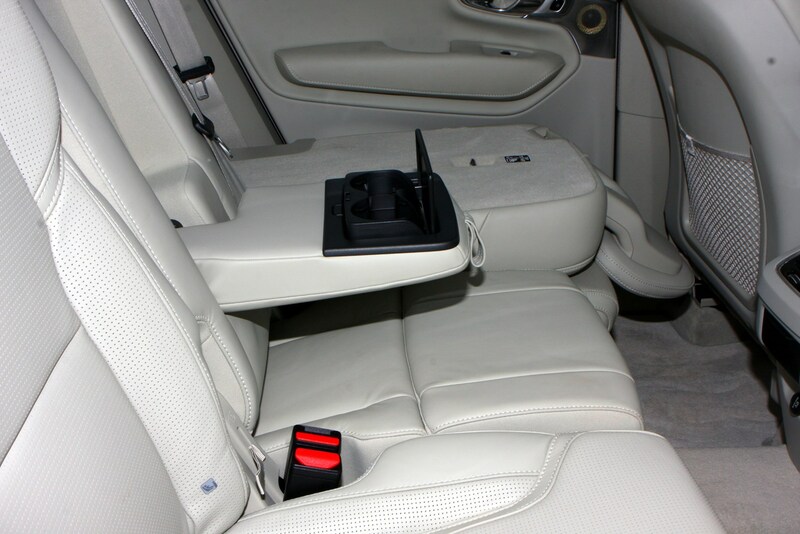 Depending on the model, those in the front can choose to have their seat heated, cooled or massaging. 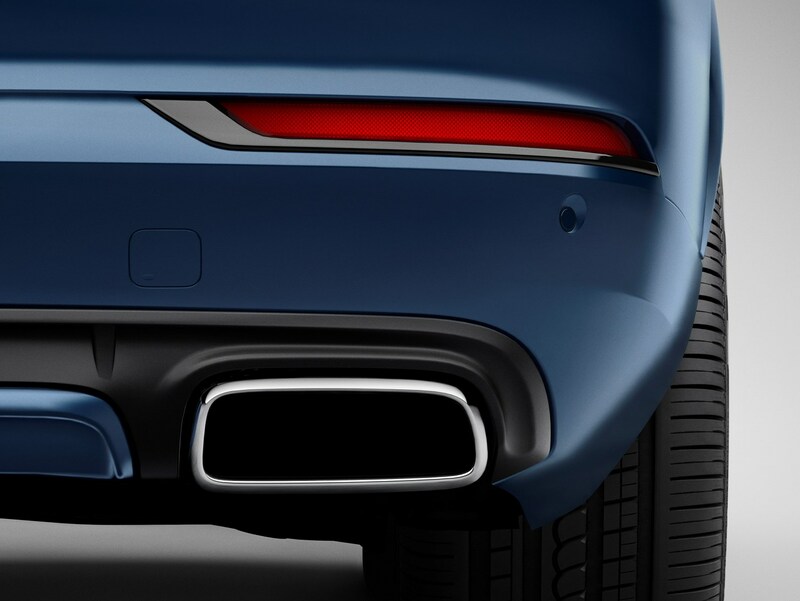 Or all three at the same time if you so desire. 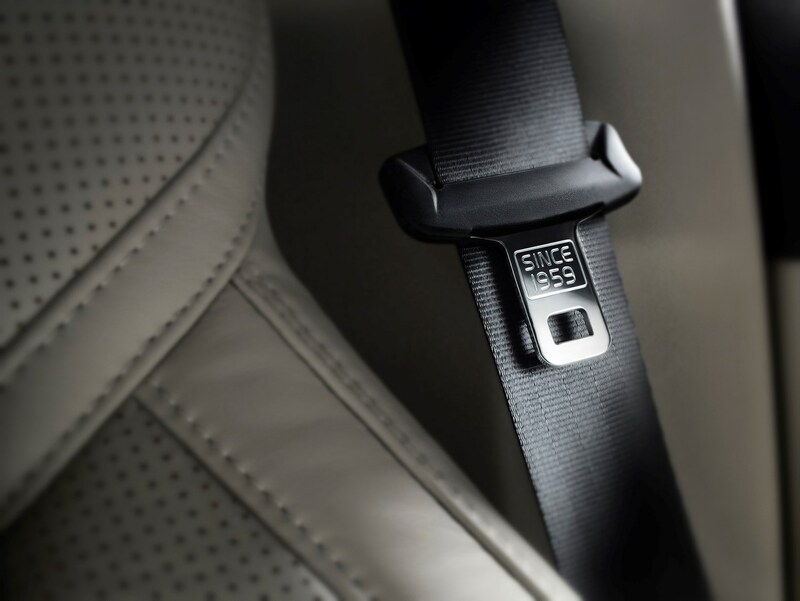 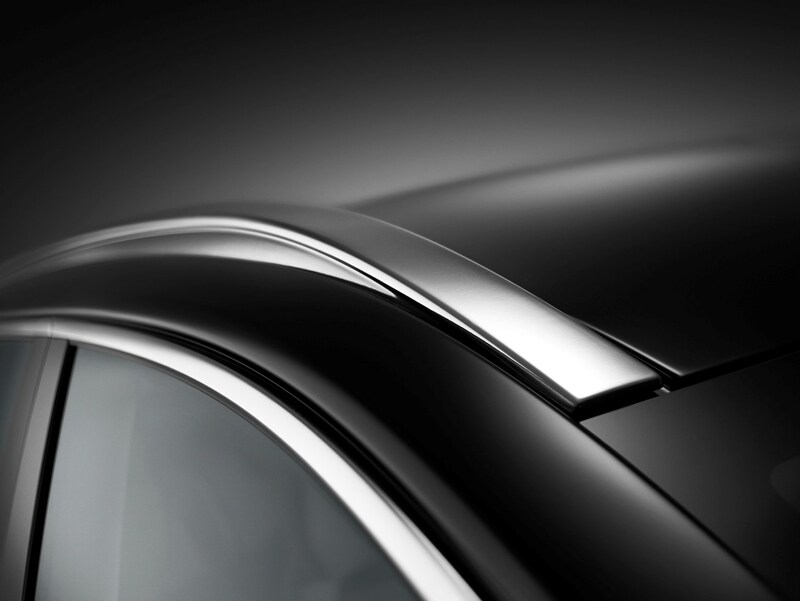 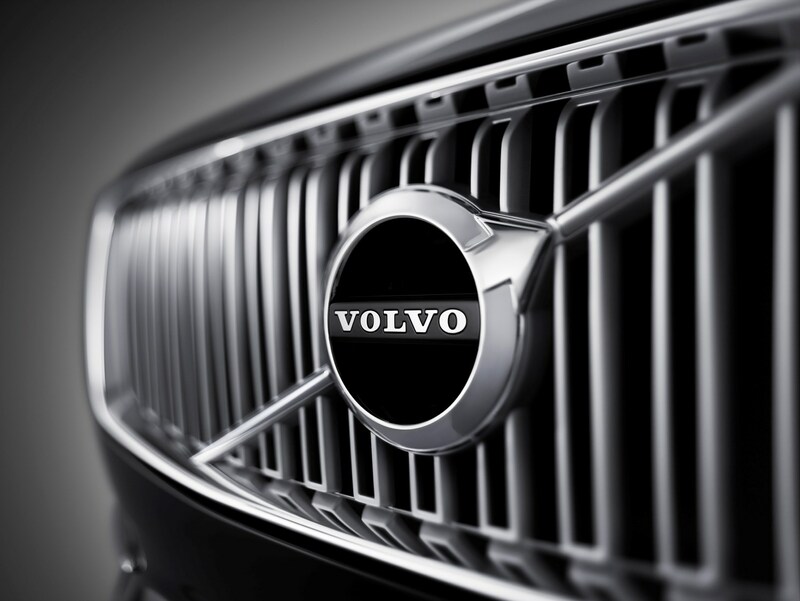 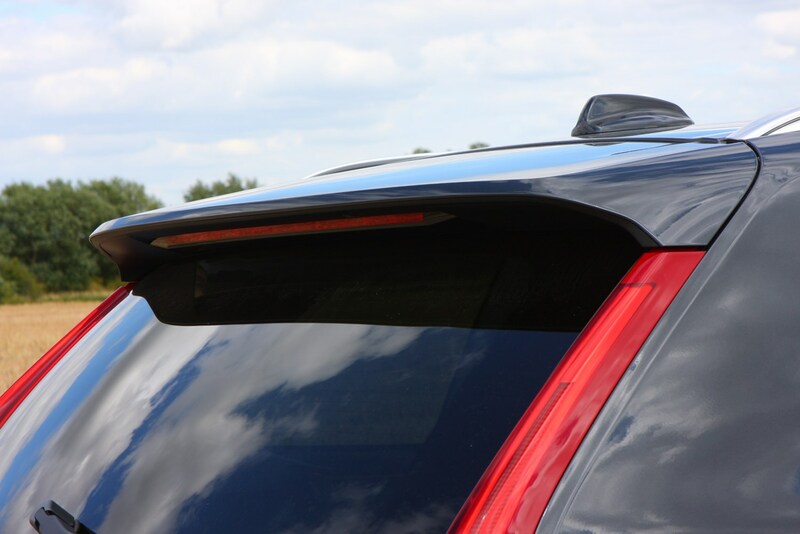 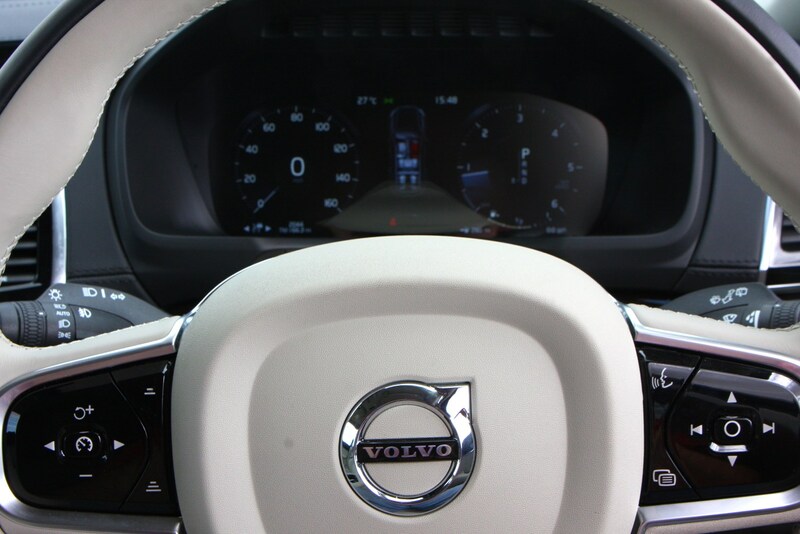 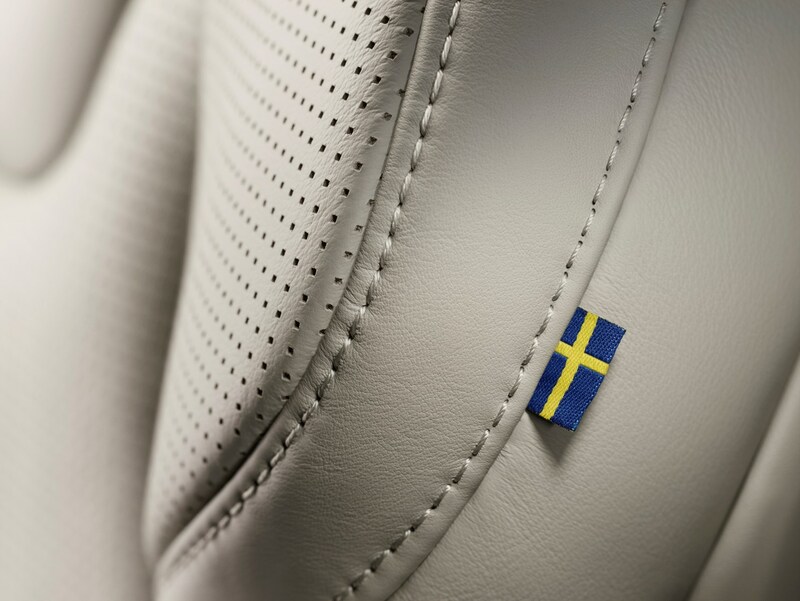 Safety is a core brand value for Volvo. 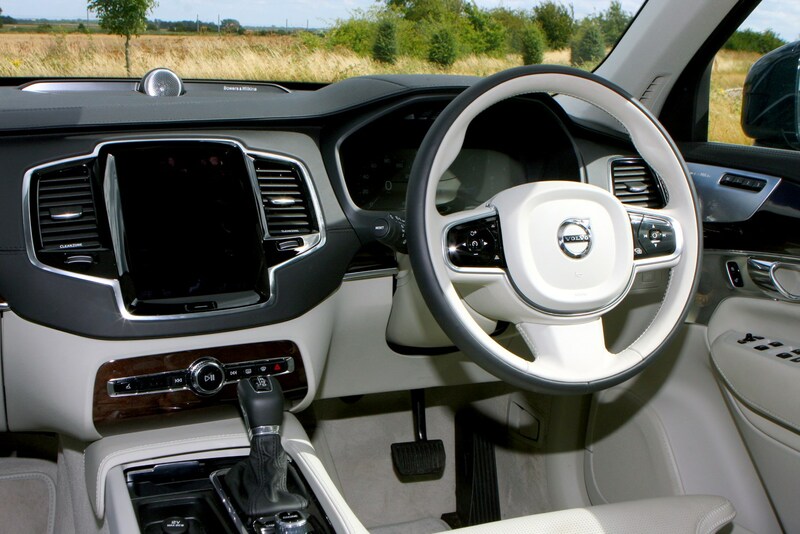 The mantra that nobody should die or be seriously injured in one of its cars by the year 2020 has been widely publicised, and many of this car’s systems appear to be pointing in that direction. 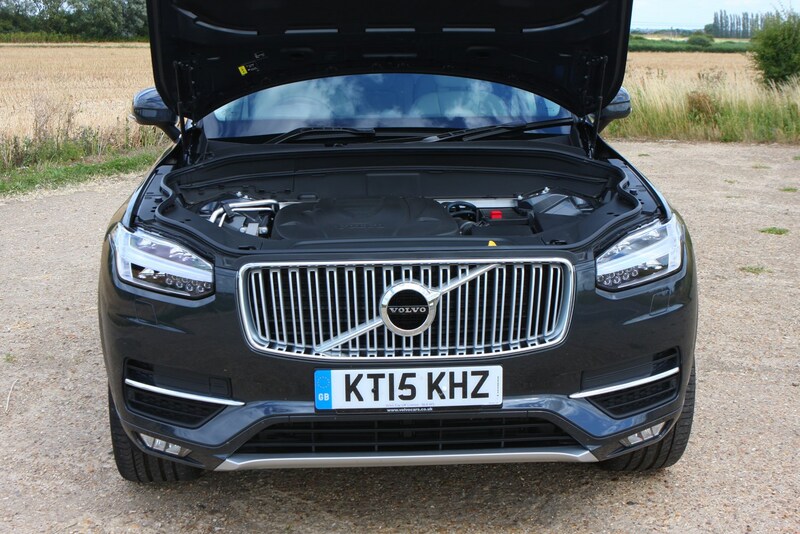 There’s even a low-speed automatic driving system for traffic jams. 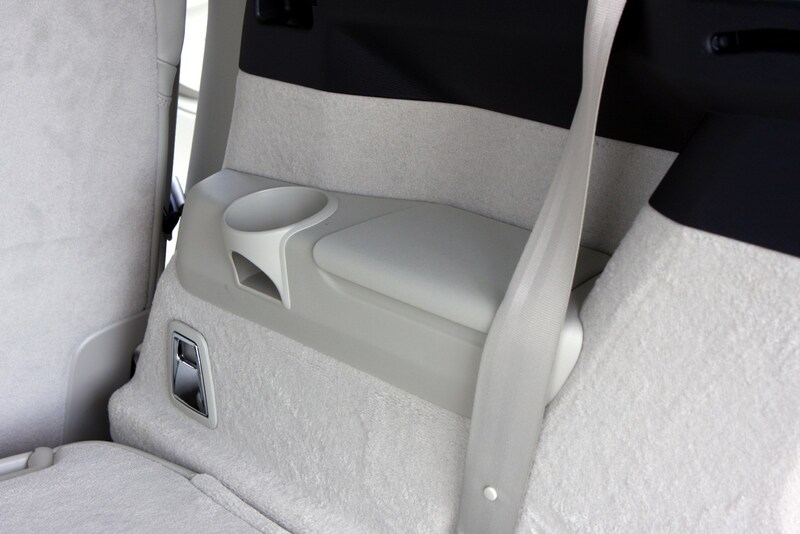 So that should provide peace of mind for families, which is what this car is all about. 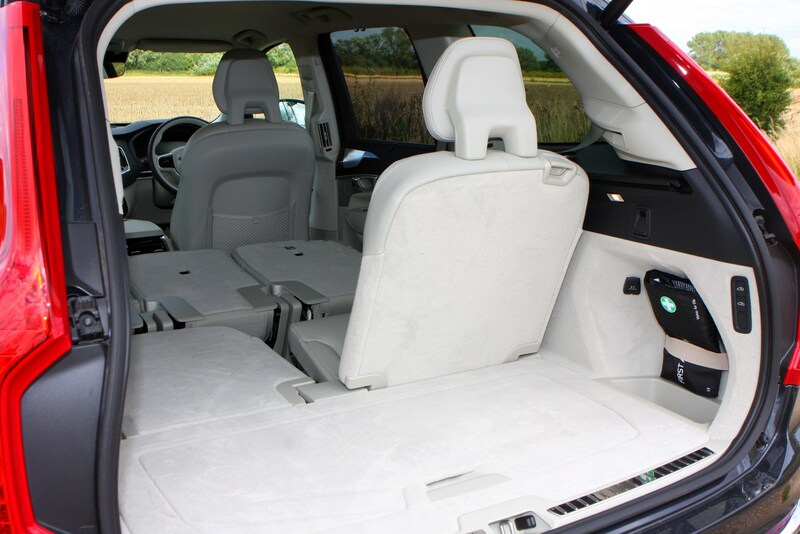 It’s a seriously versatile machine in this respect, boasting a second row of seats which slide backwards and forwards and recline. 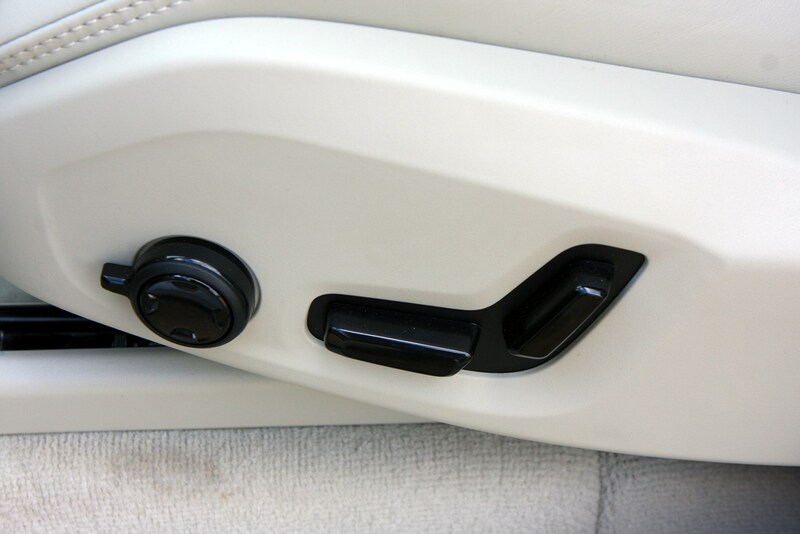 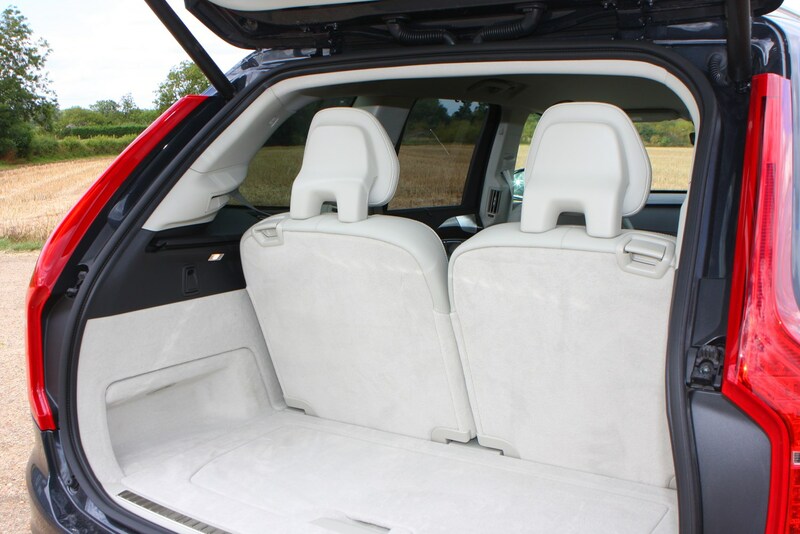 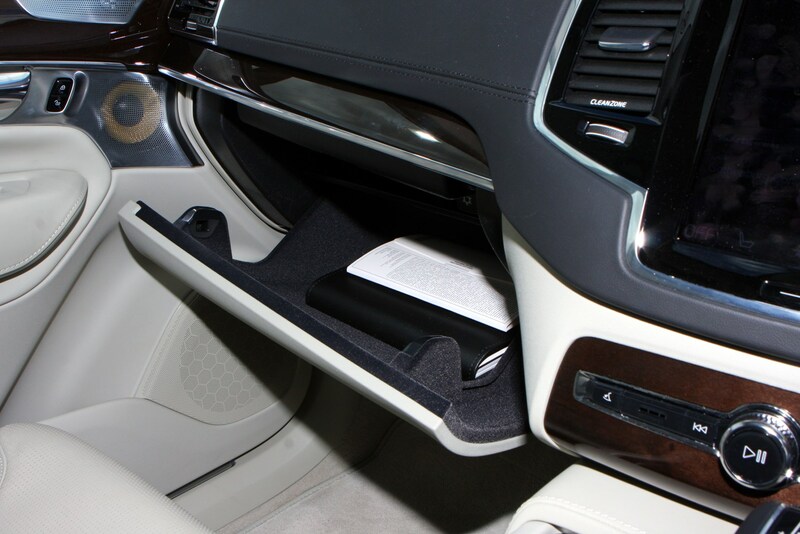 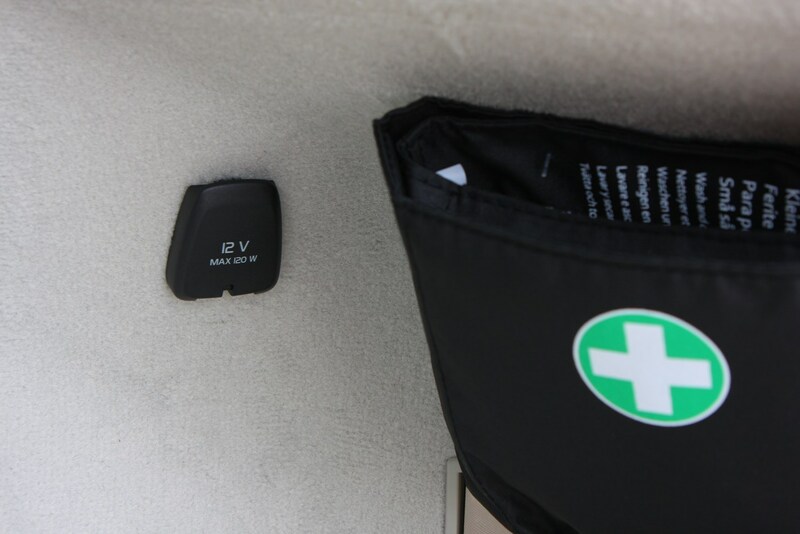 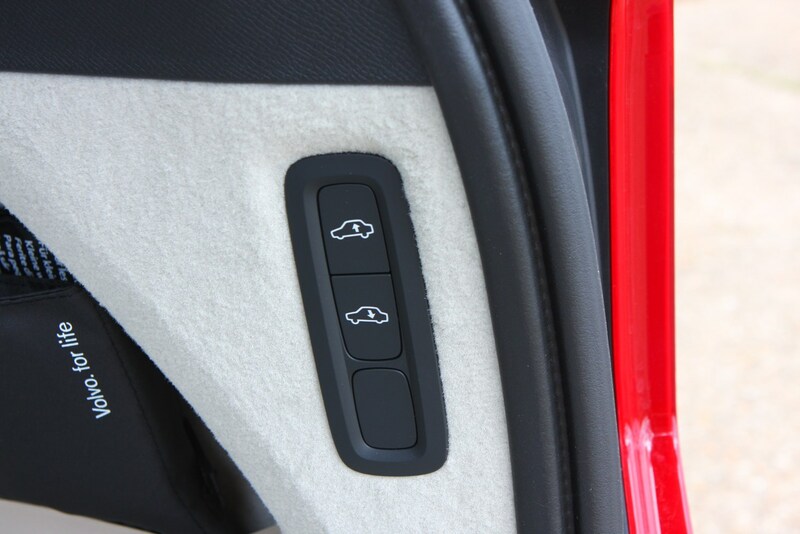 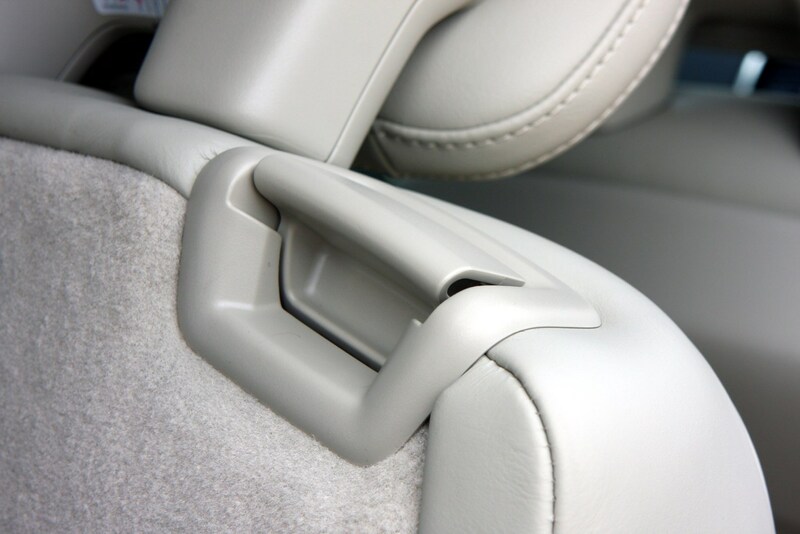 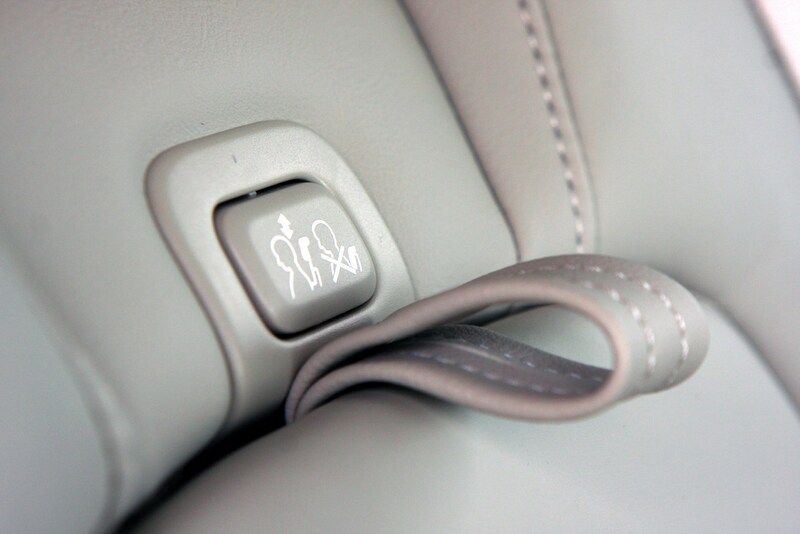 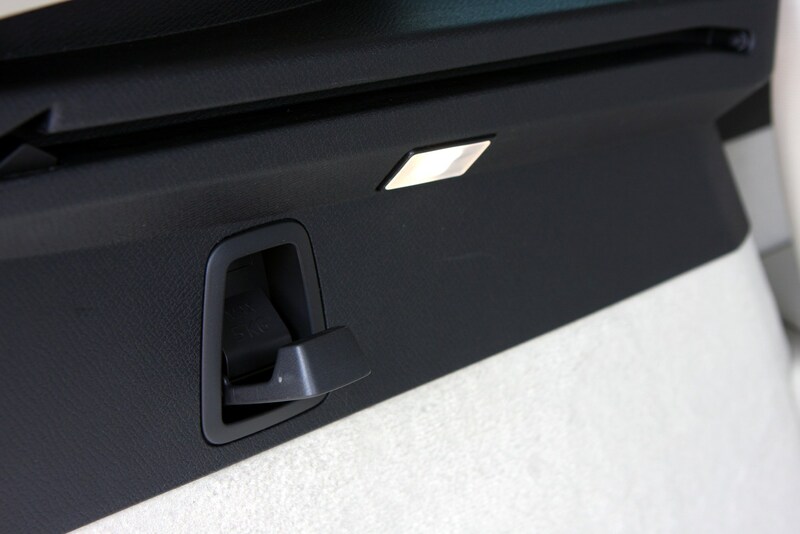 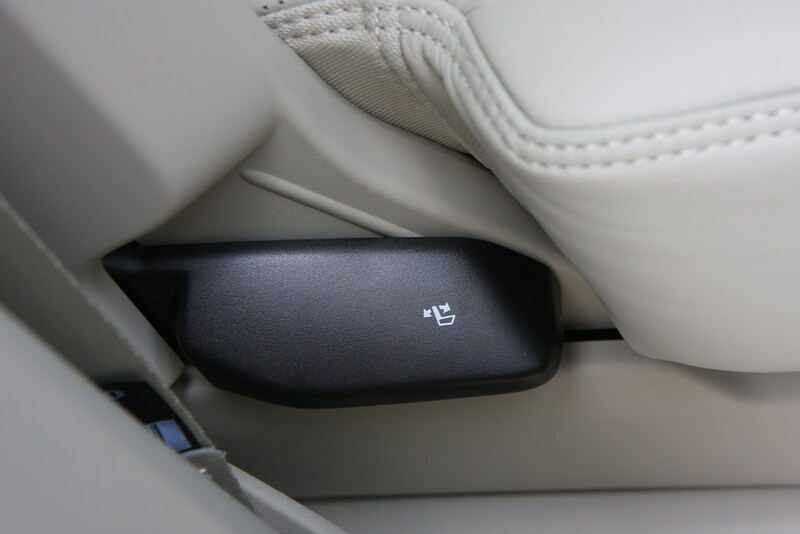 They have Isofix lashing points, and an extra feature can be added where the seat base transforms into a booster seat. 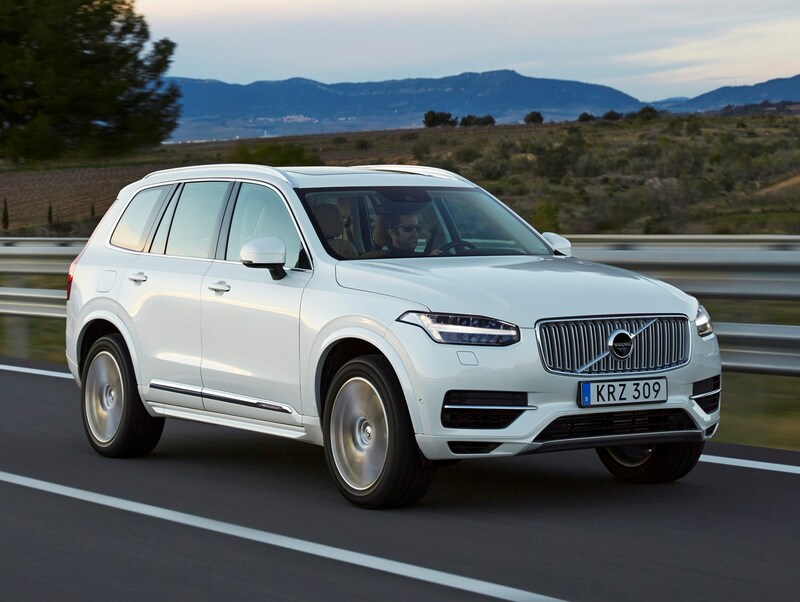 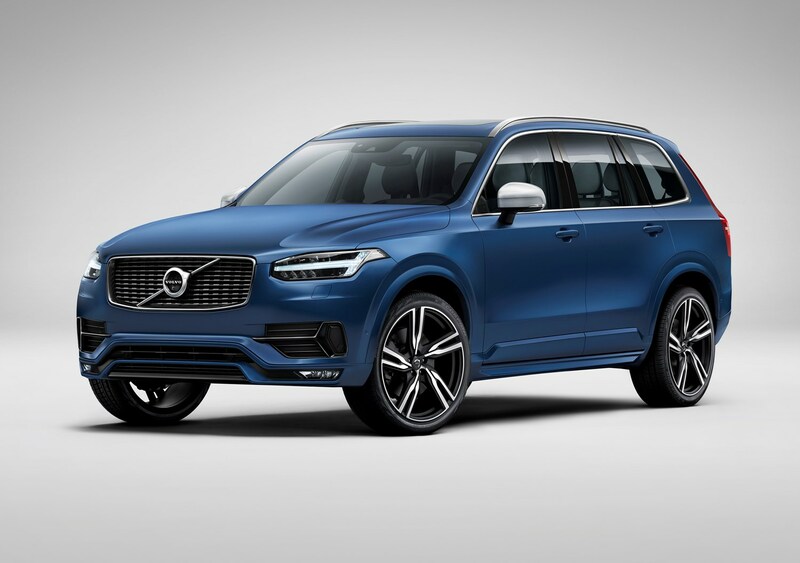 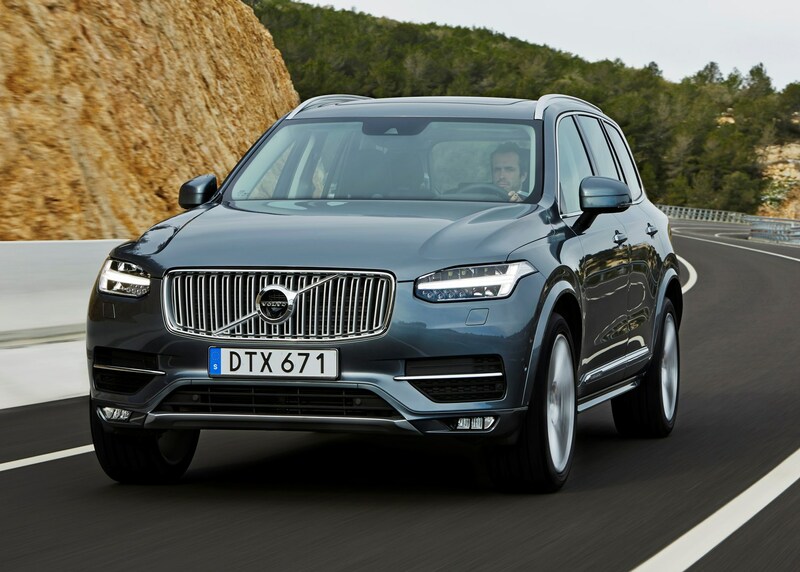 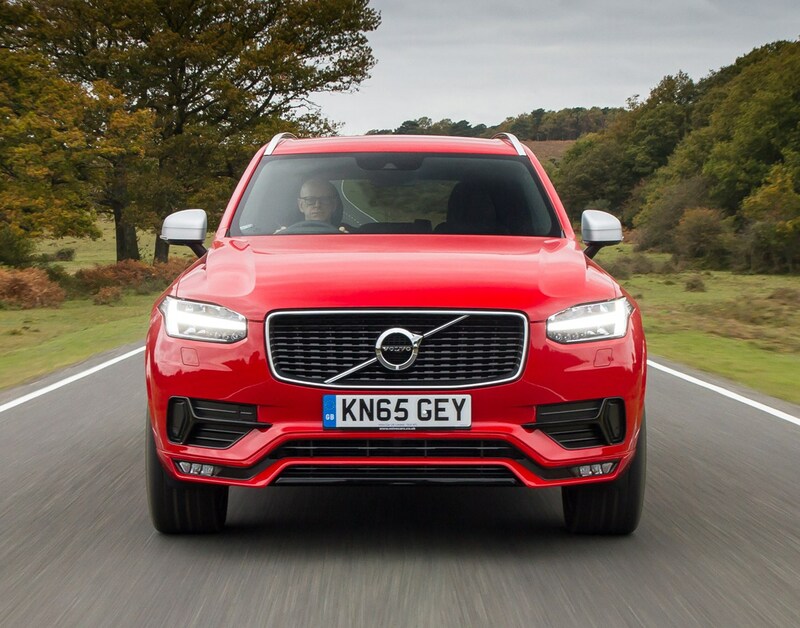 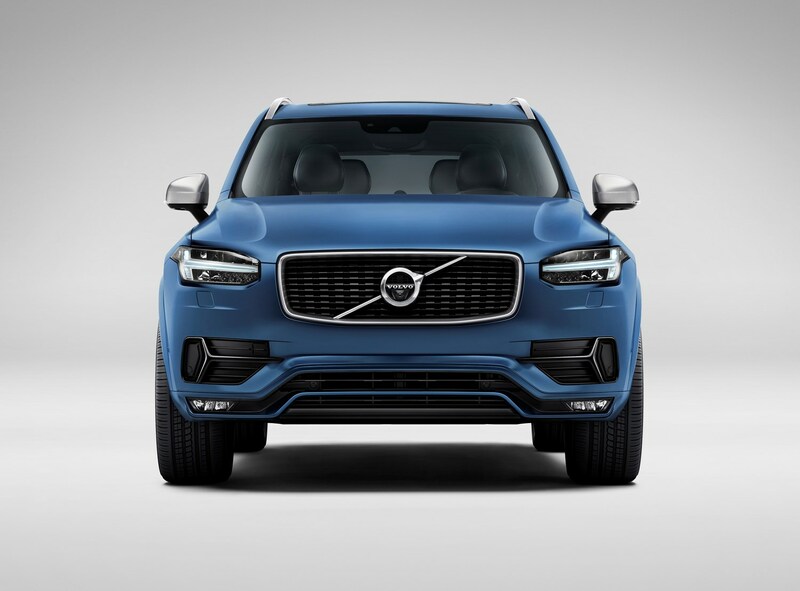 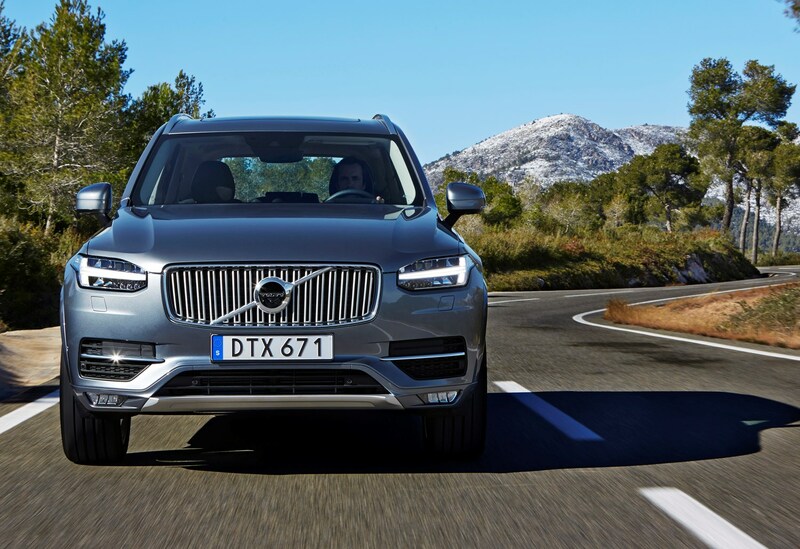 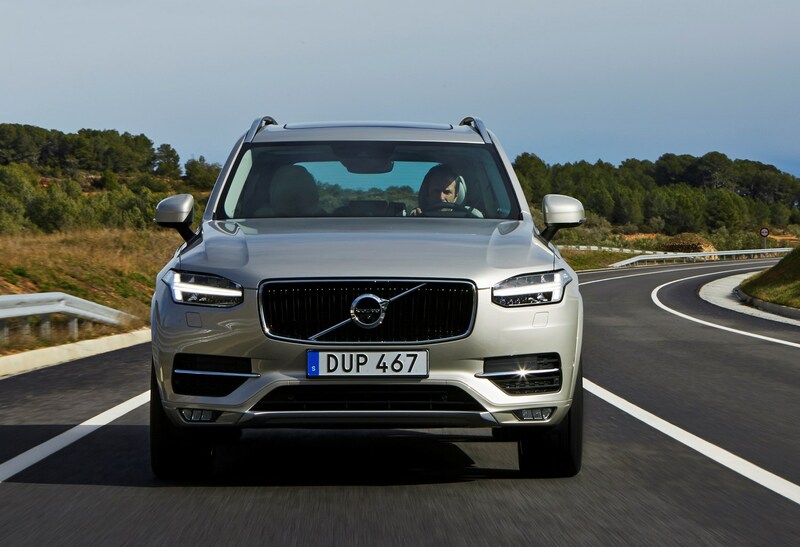 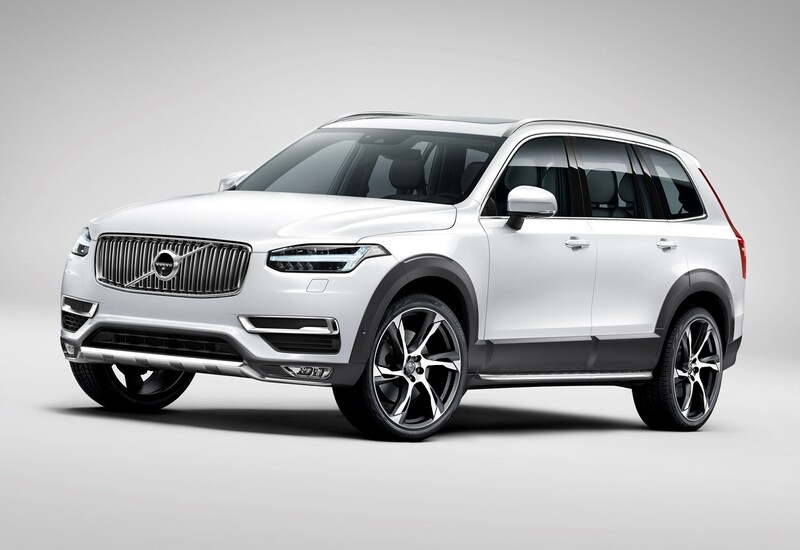 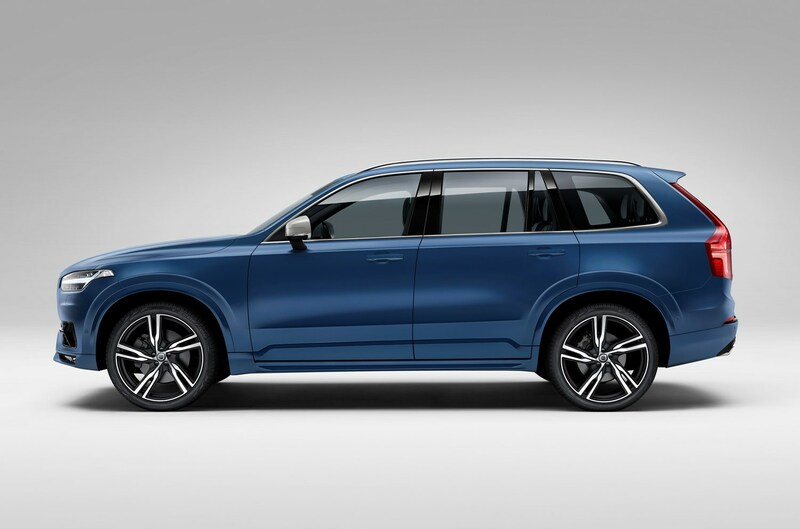 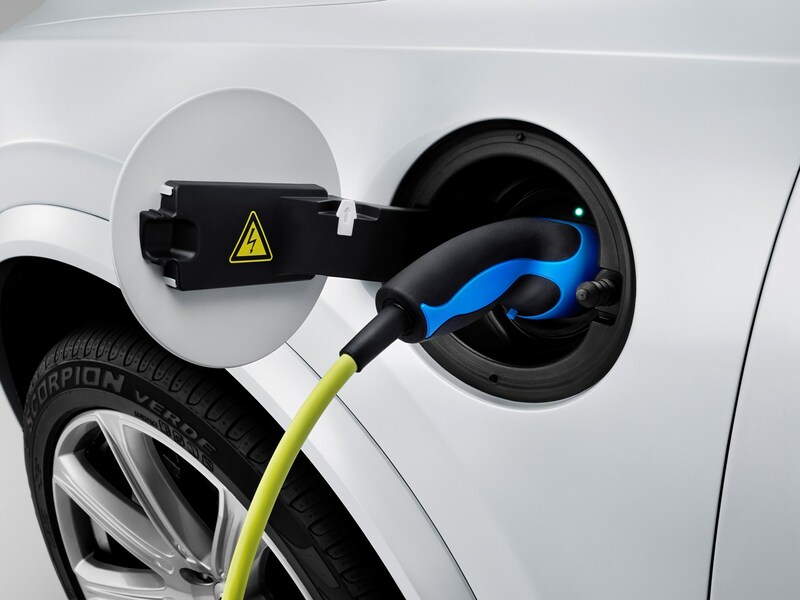 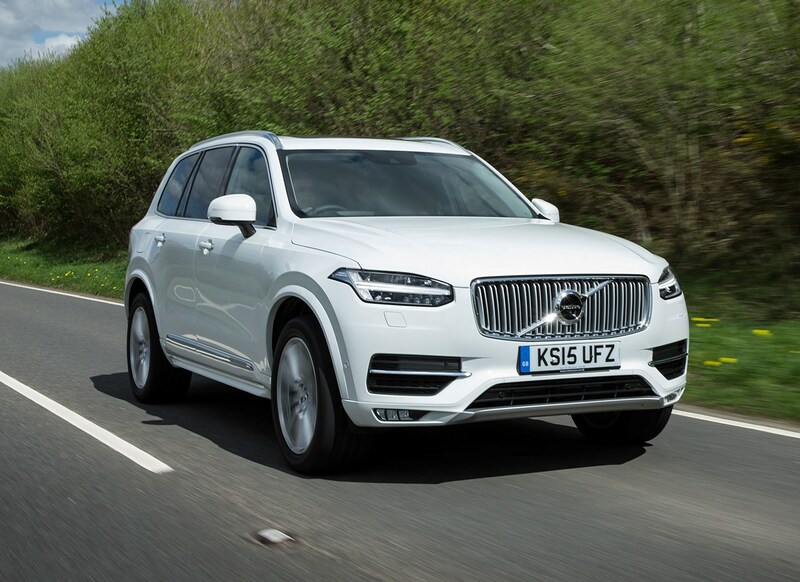 Volvo has also announced that the XC90 will be one of the models affected by its decision to electronically govern the top speed of all of its models to 112mph from 2020. 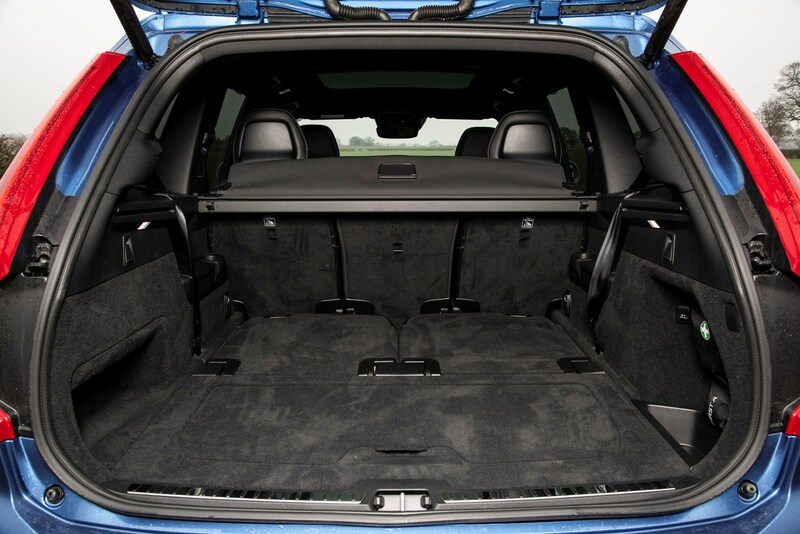 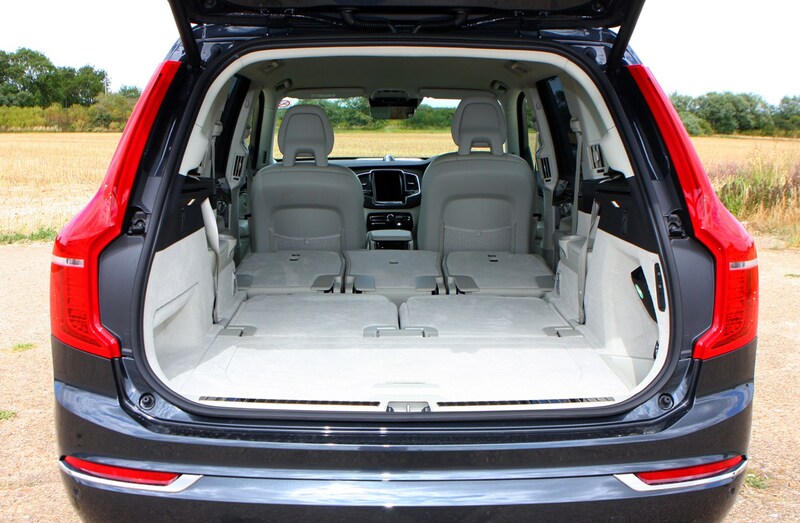 The boot is very adaptable as well, with a powered tailgate to take the strain out of shopping trips or holidays with the kids. 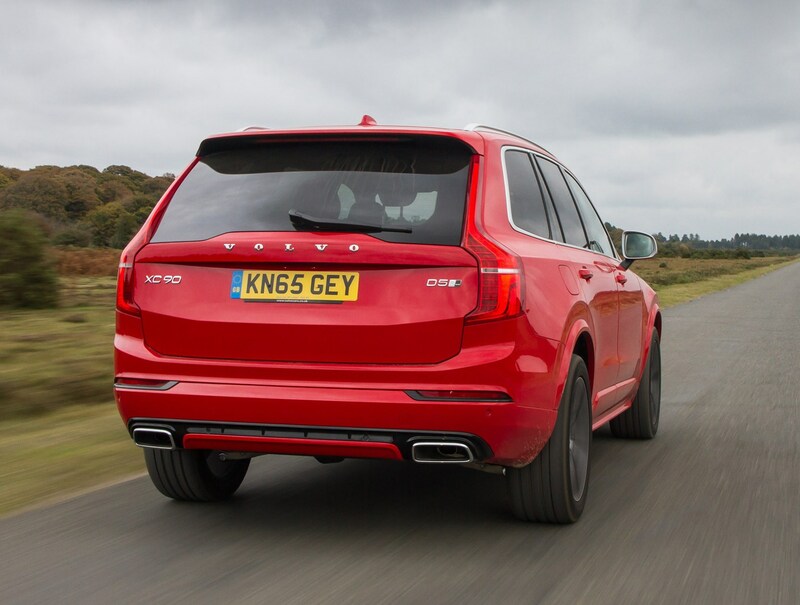 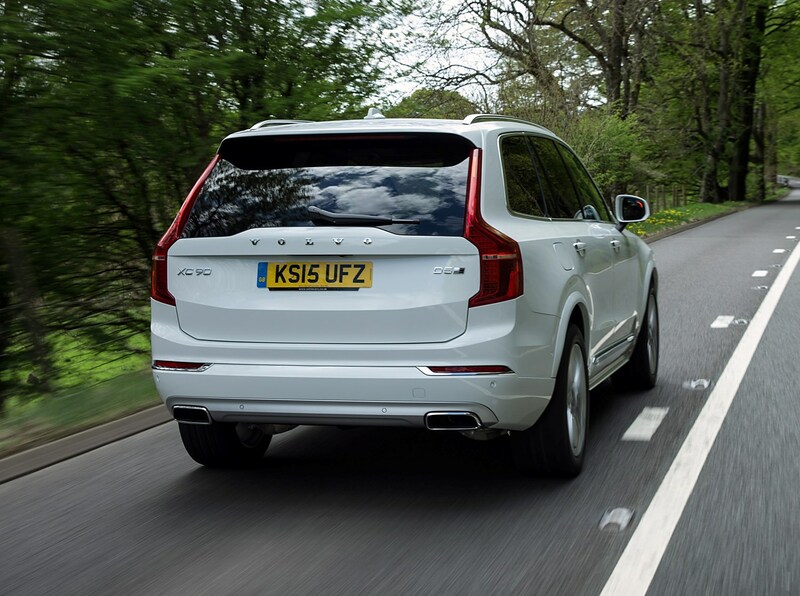 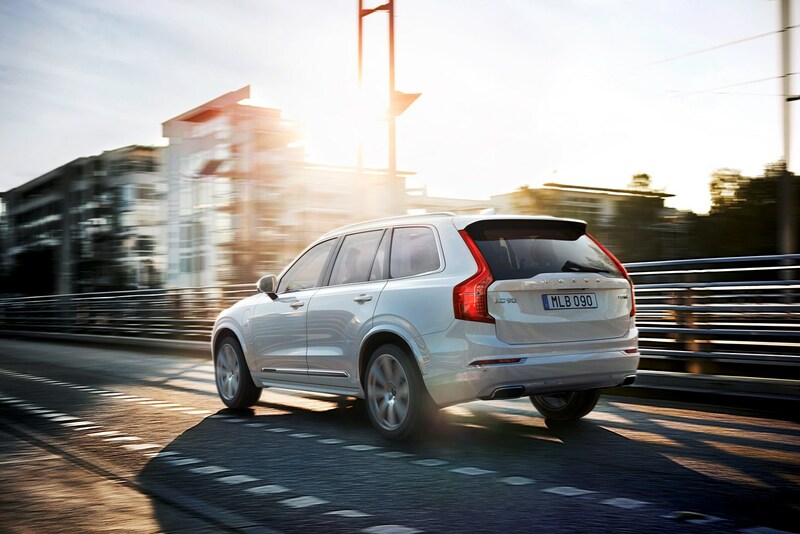 In fact, longer journeys are something the XC90 excels at. 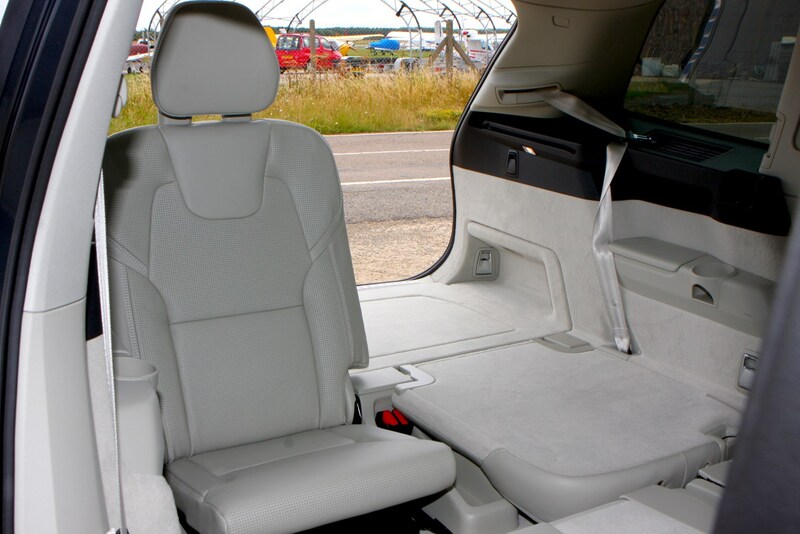 Thanks to its supple ride, brilliant seats and quiet cabin, it’s the perfect machine for motorway schleps, and there’s plenty of space for everyone to stretch out. 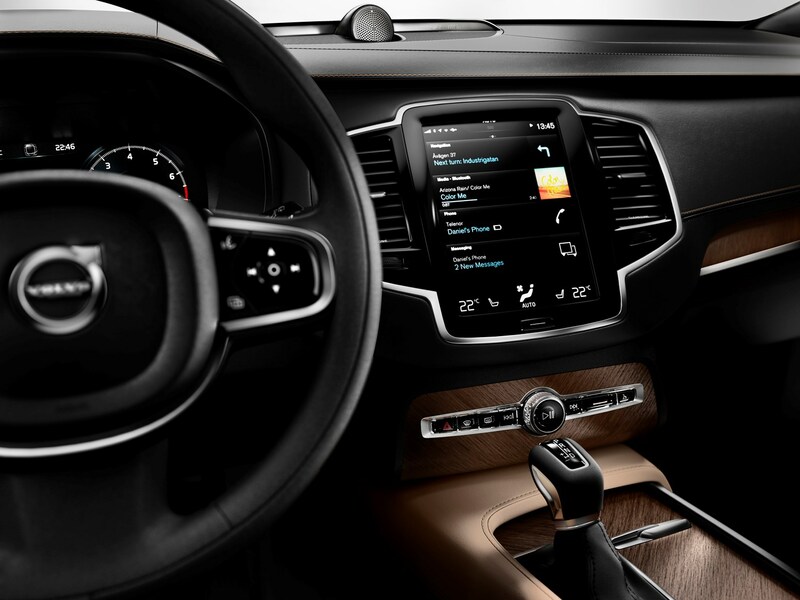 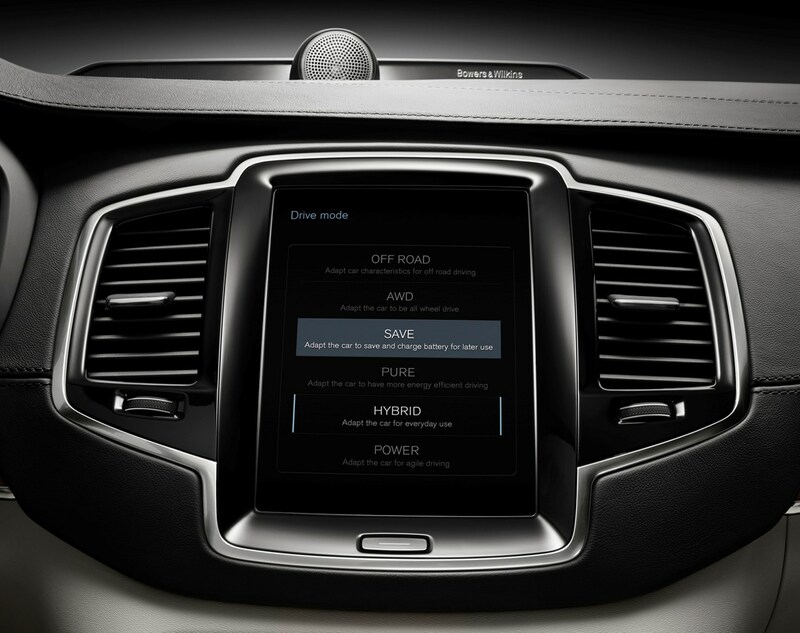 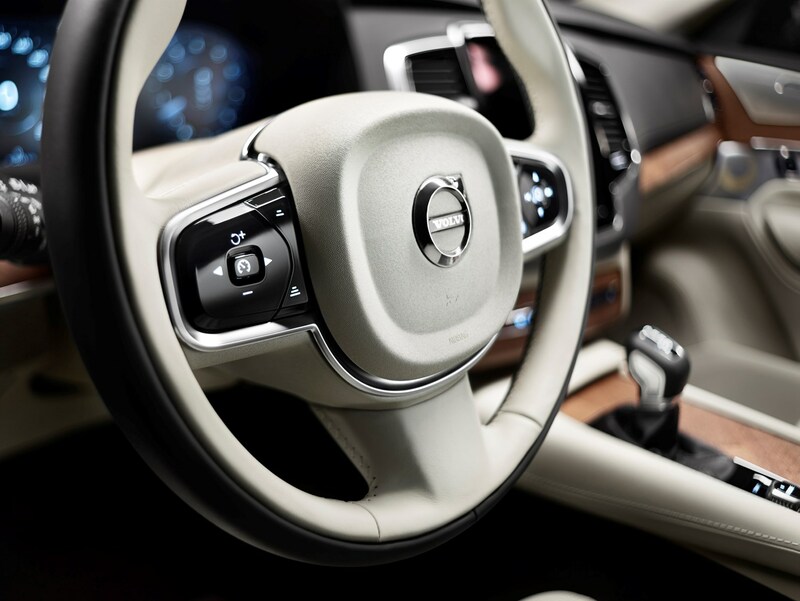 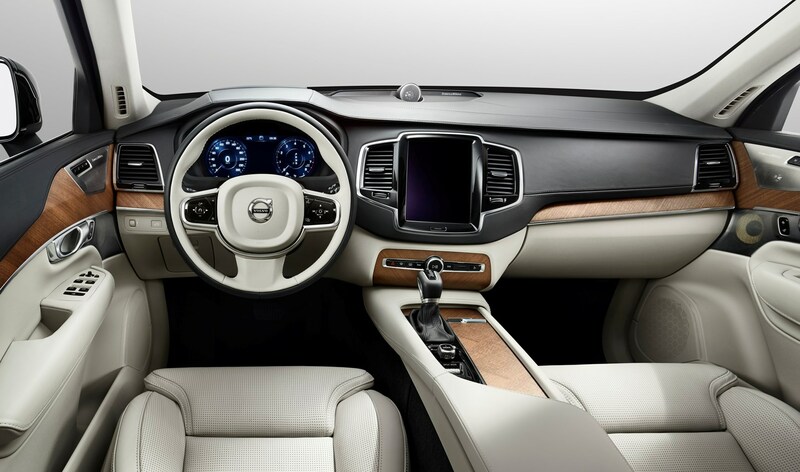 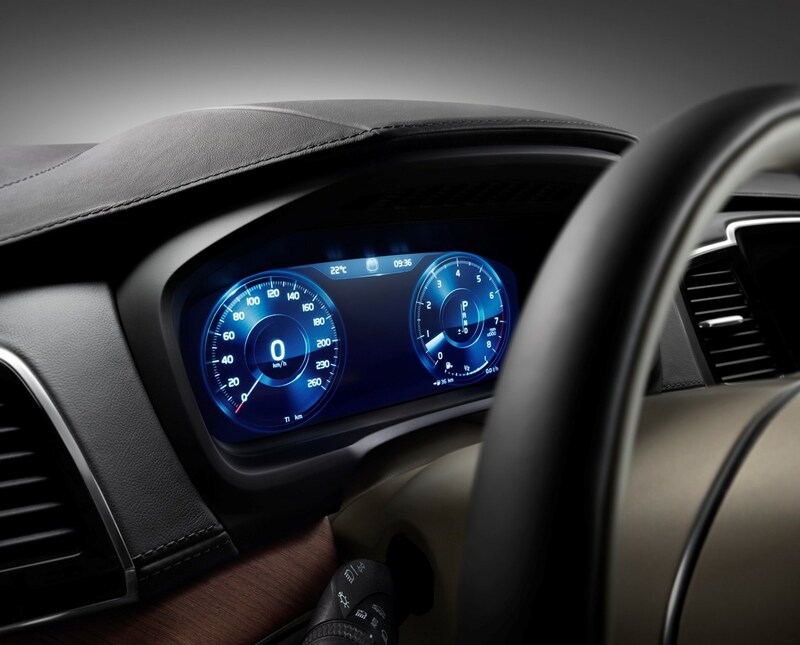 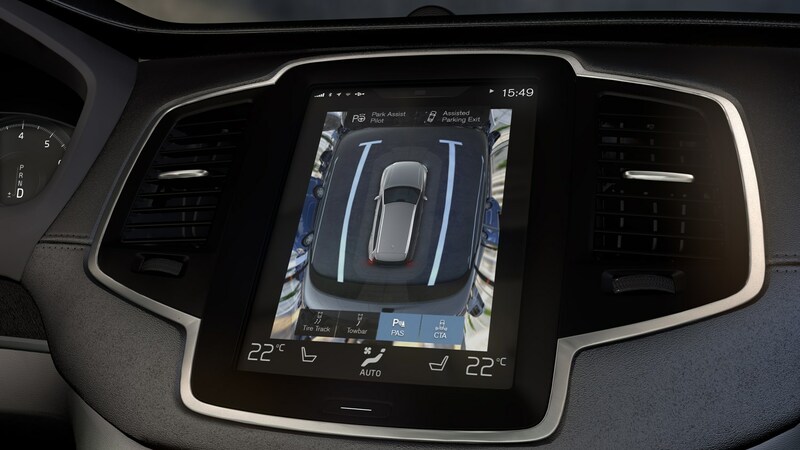 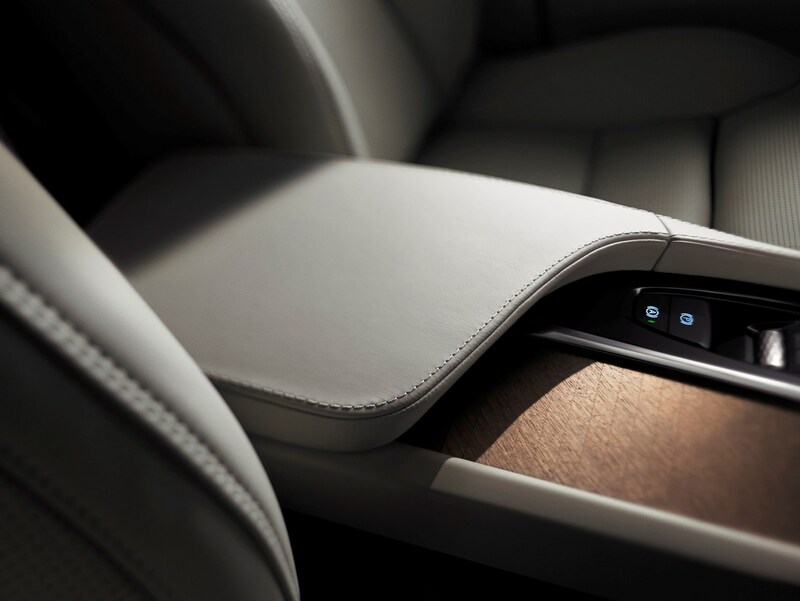 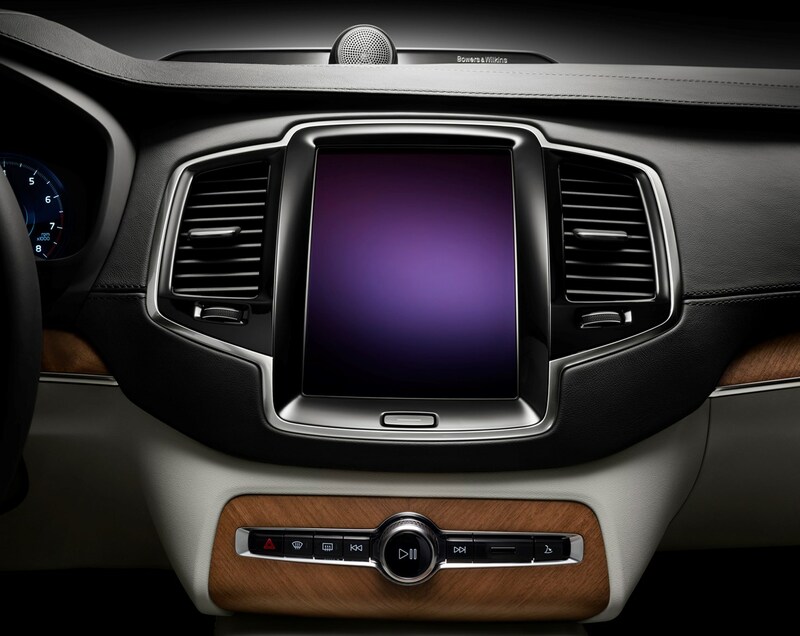 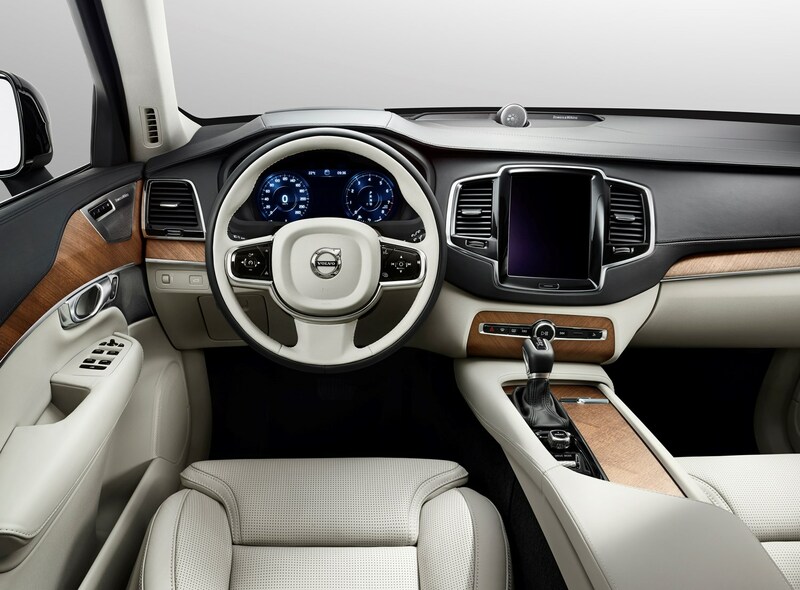 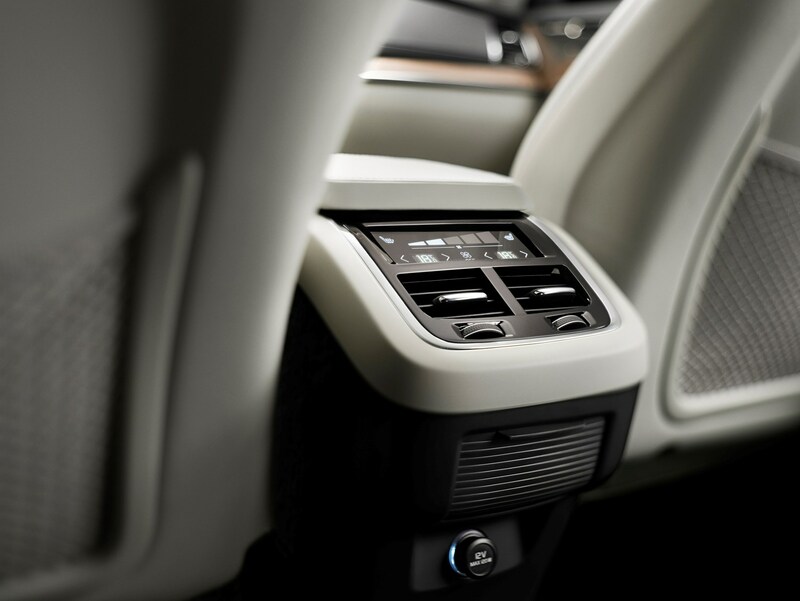 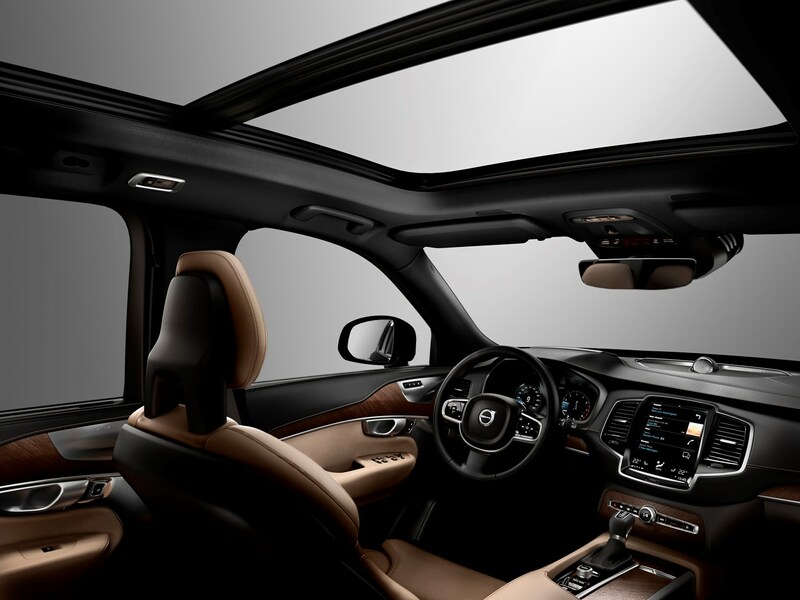 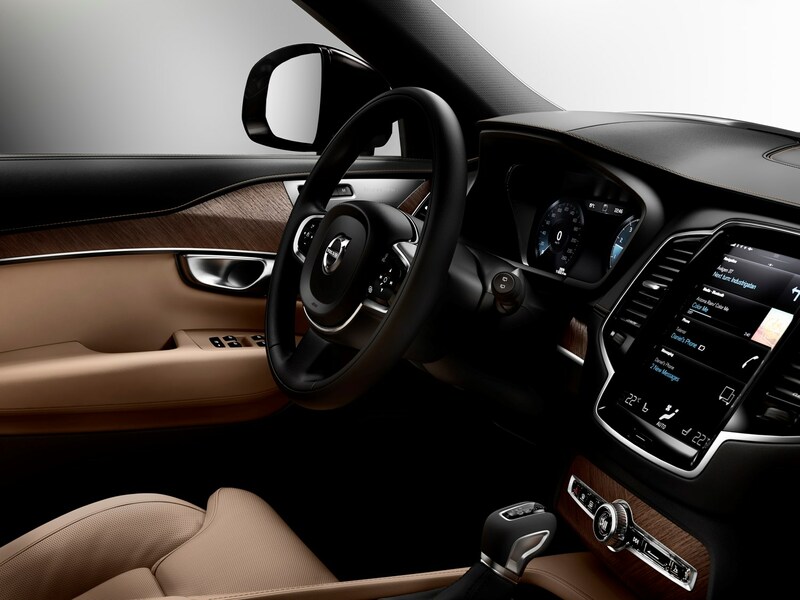 Volvo went against the status quo with the XC90’s infotainment system, opting for a portrait-mounted touchscreen instead of the ubiquitous landscape items in many other cars. 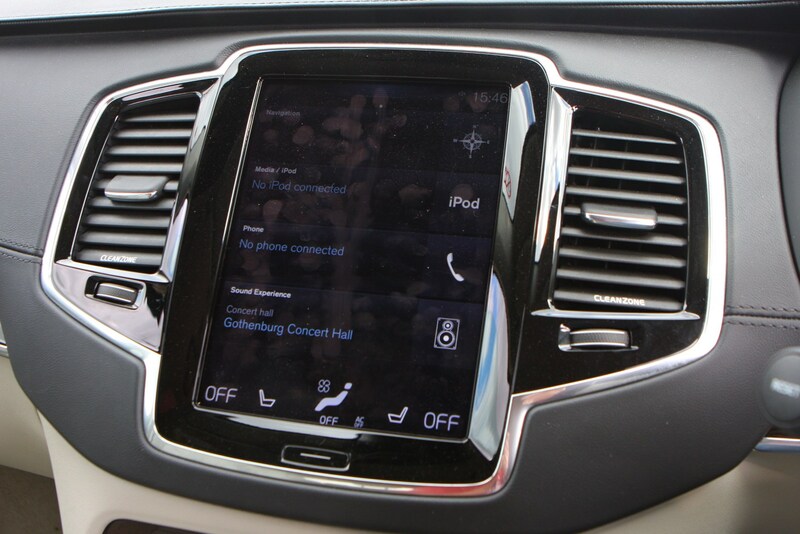 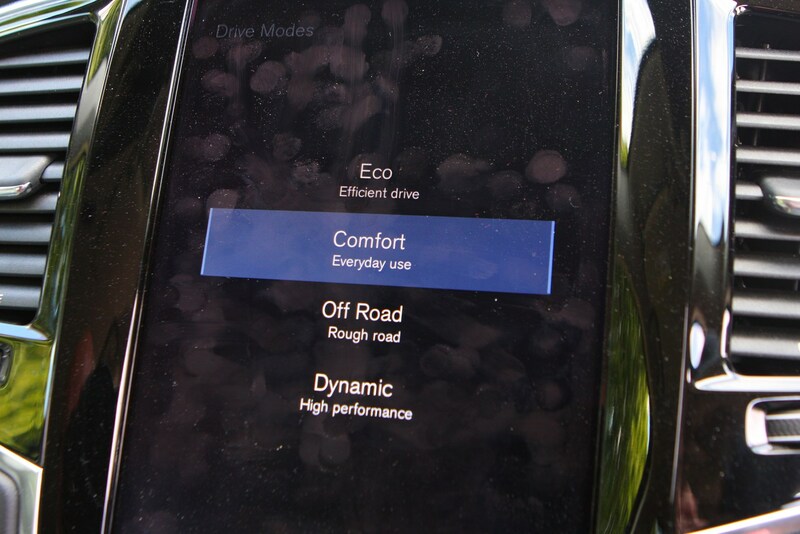 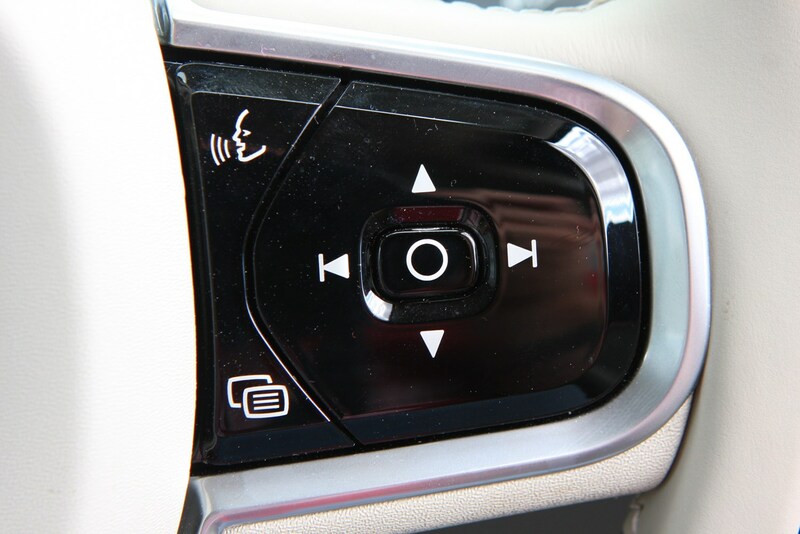 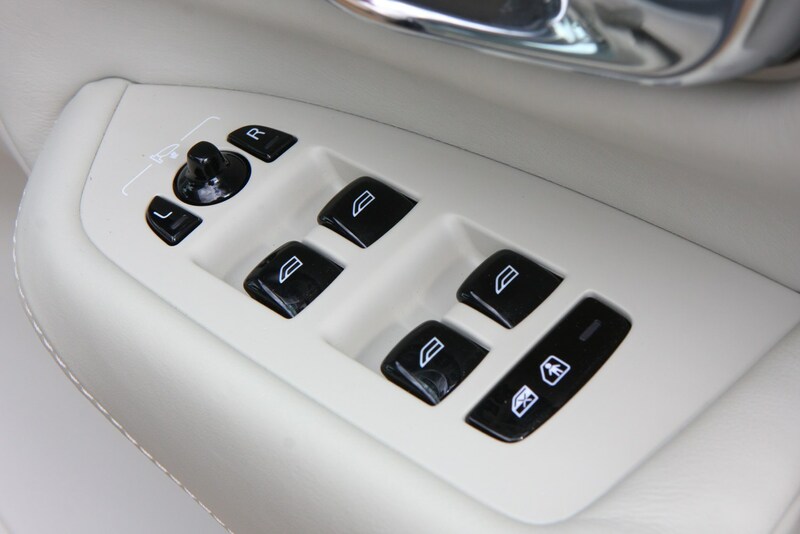 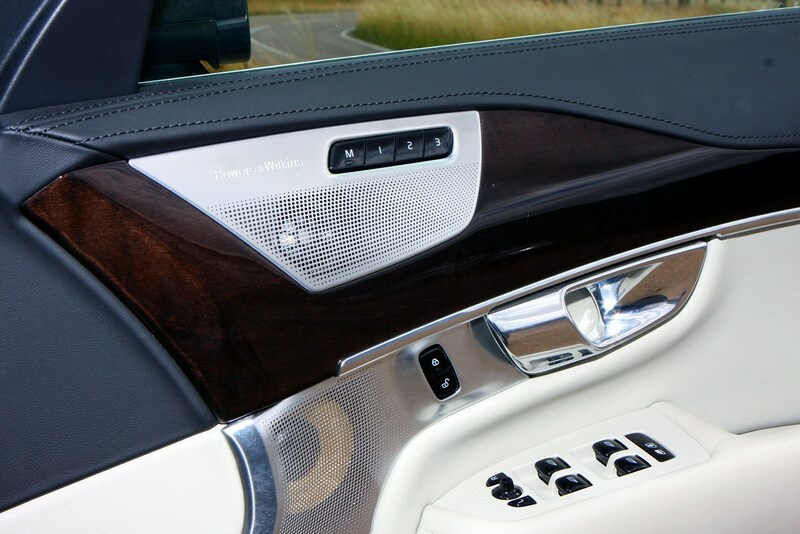 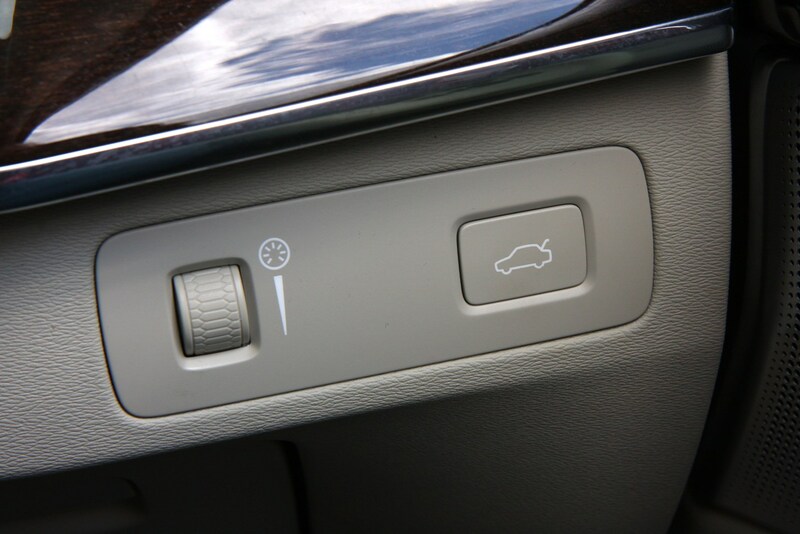 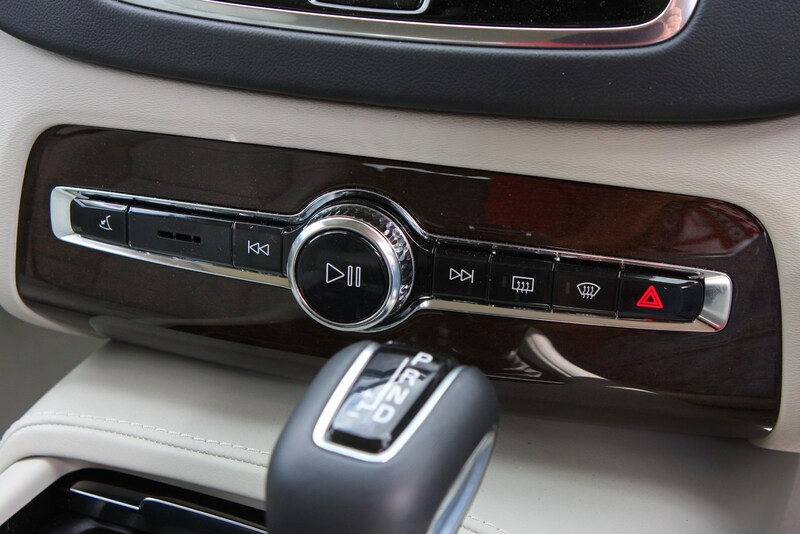 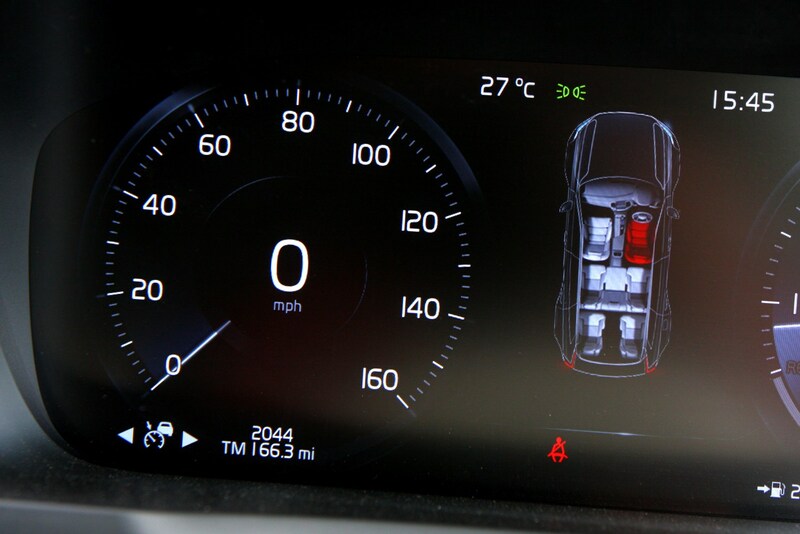 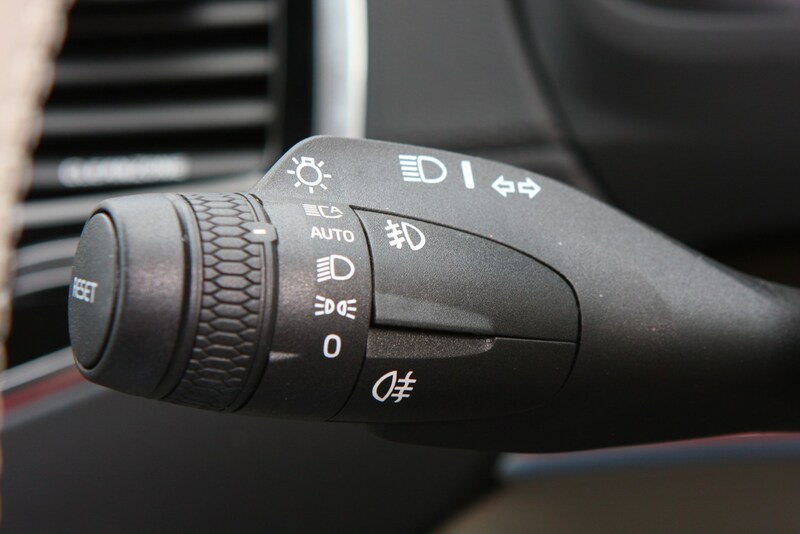 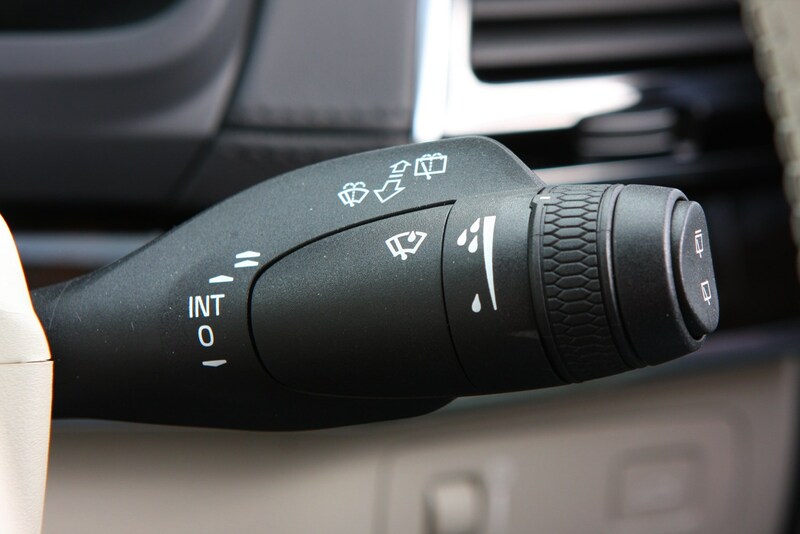 It controls pretty much all of the car’s functions, with a distinct lack of any other buttons on the dashboard. 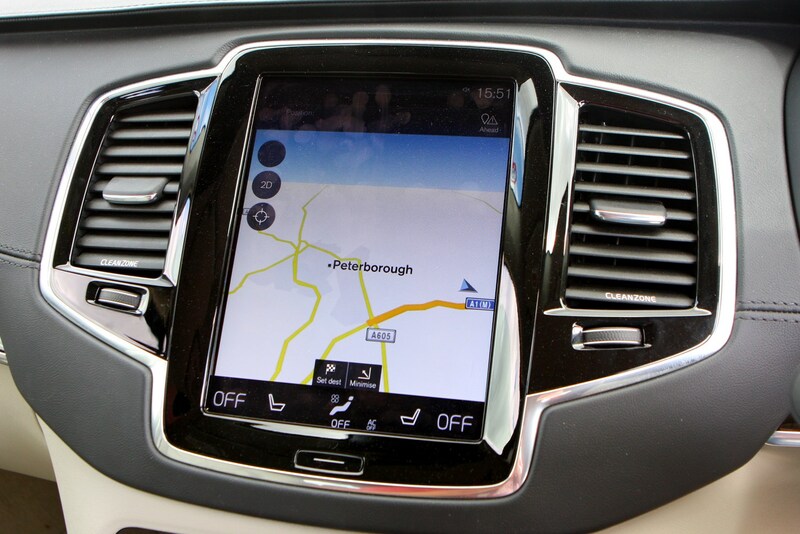 While this is bad in some cars, the good news is that the XC90’s system is incredibly responsive and very easy to navigate once you know where all the functions are. 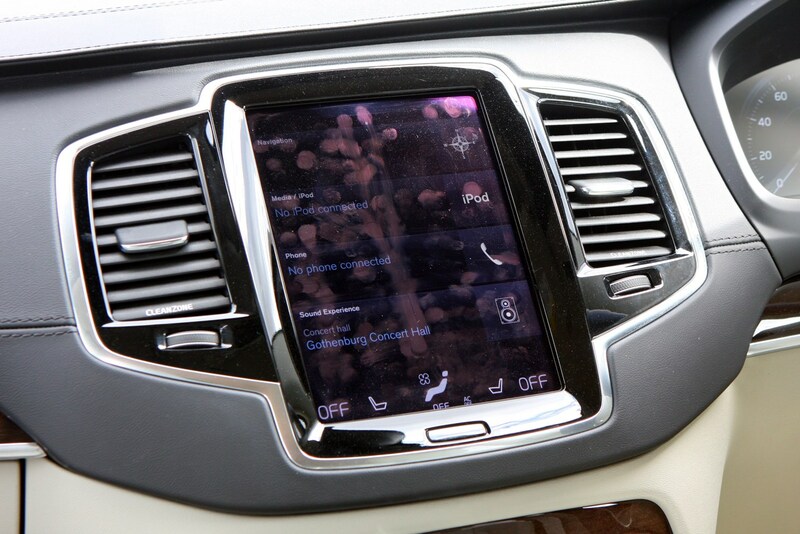 It’s operated in a similar manner to a smartphone, with swipes and pinches to flick through menus and the like. 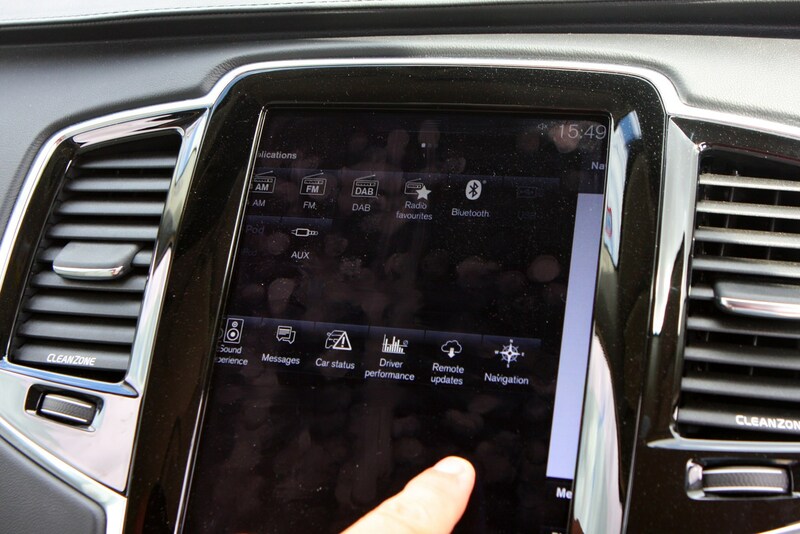 It’s one of the better touchscreens we’ve used in a car, and its processor seems to make easy work of speedy navigation requests. 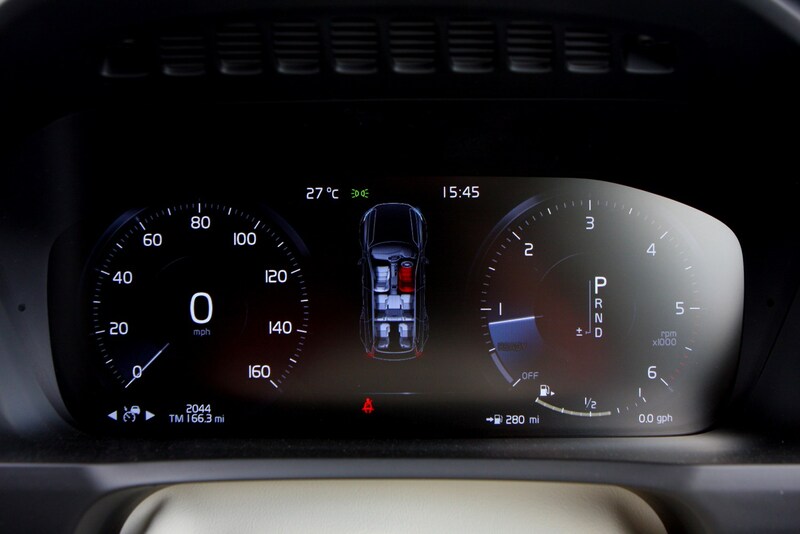 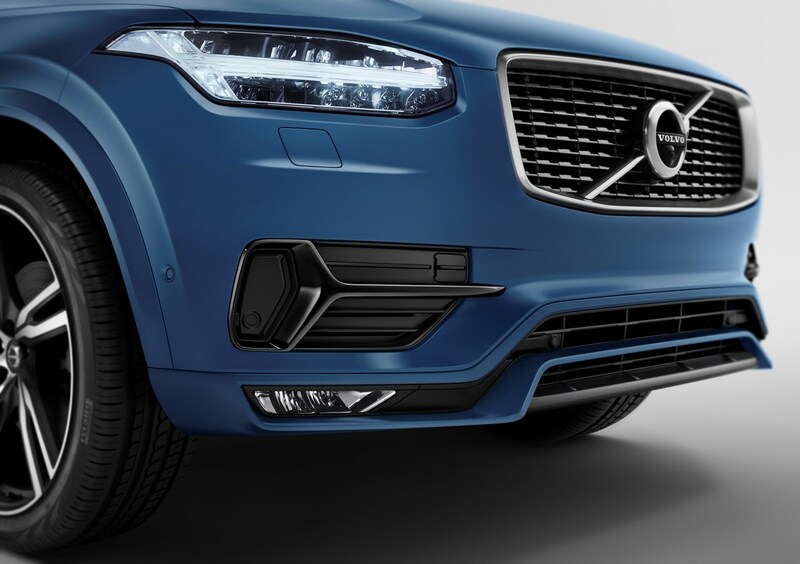 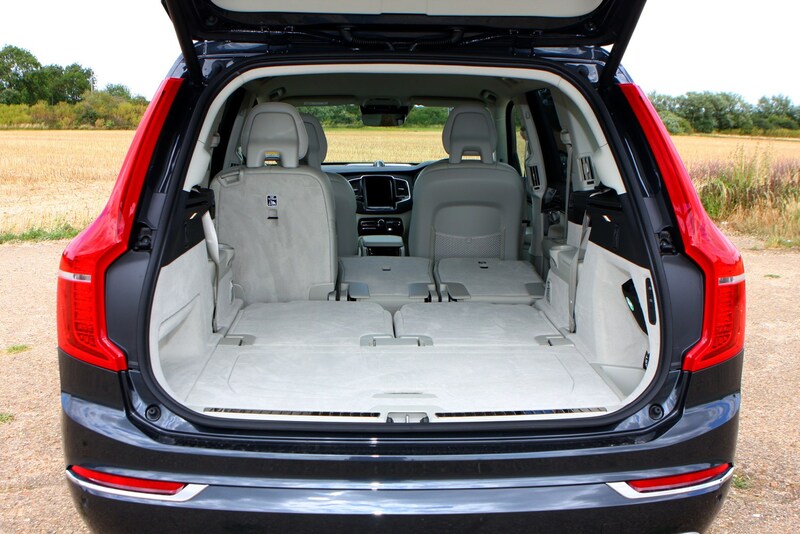 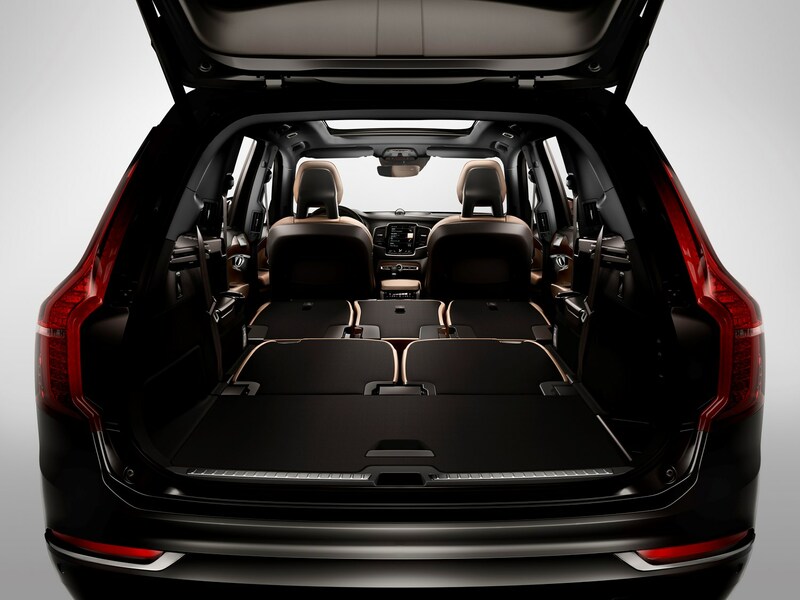 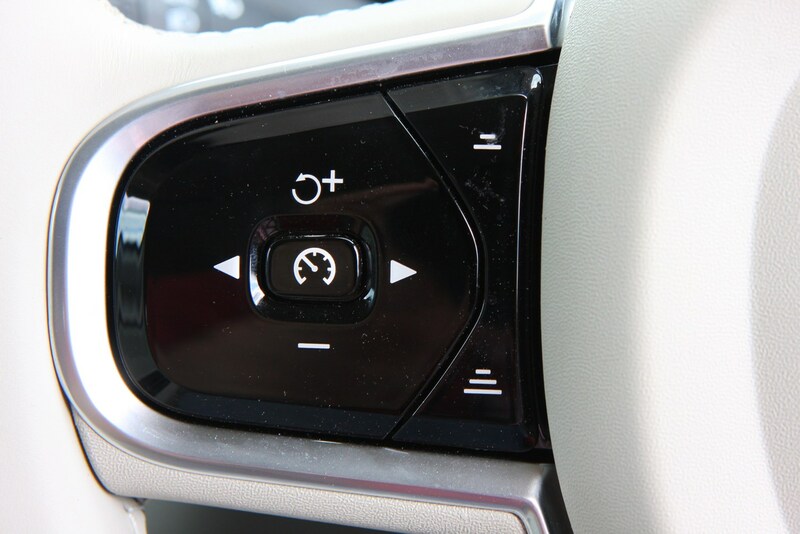 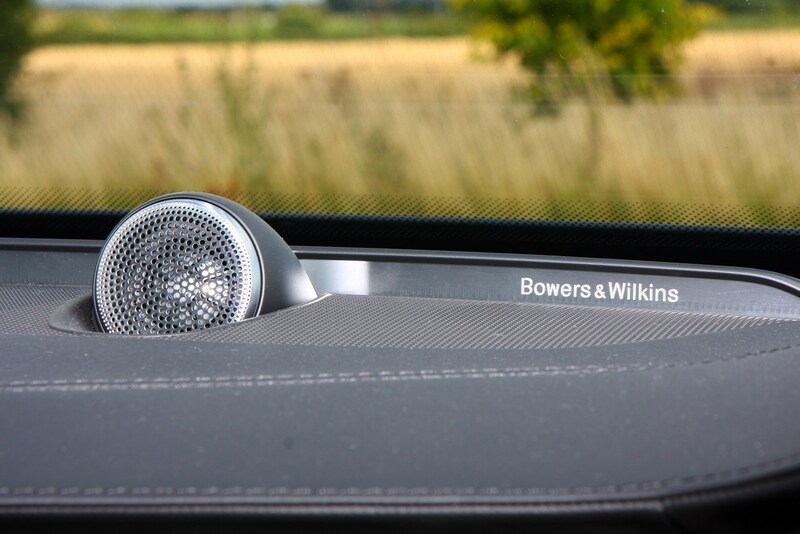 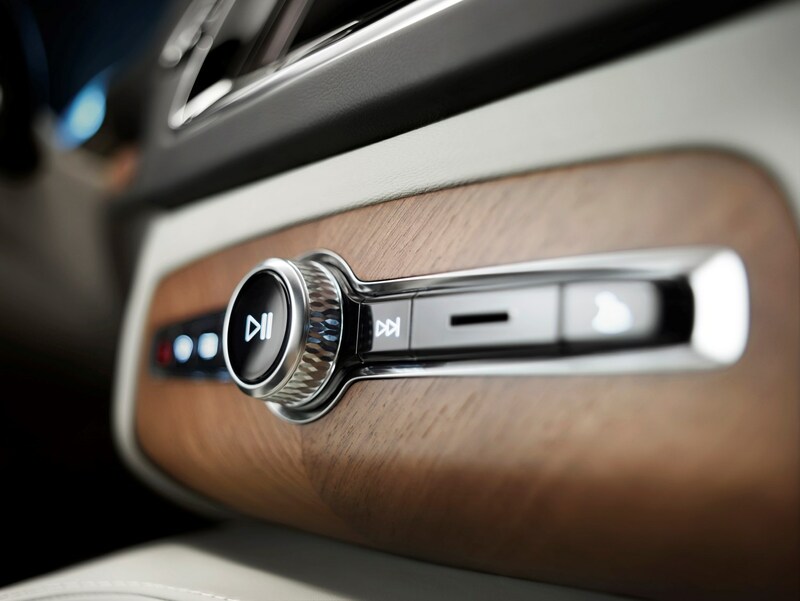 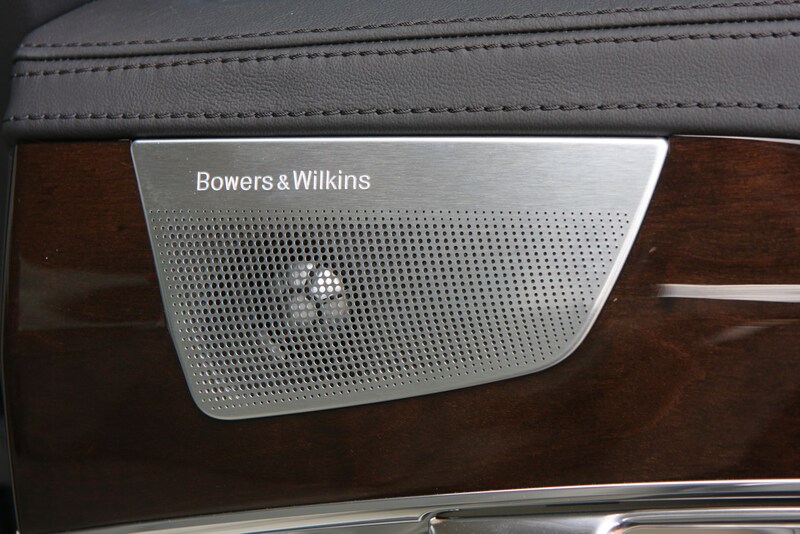 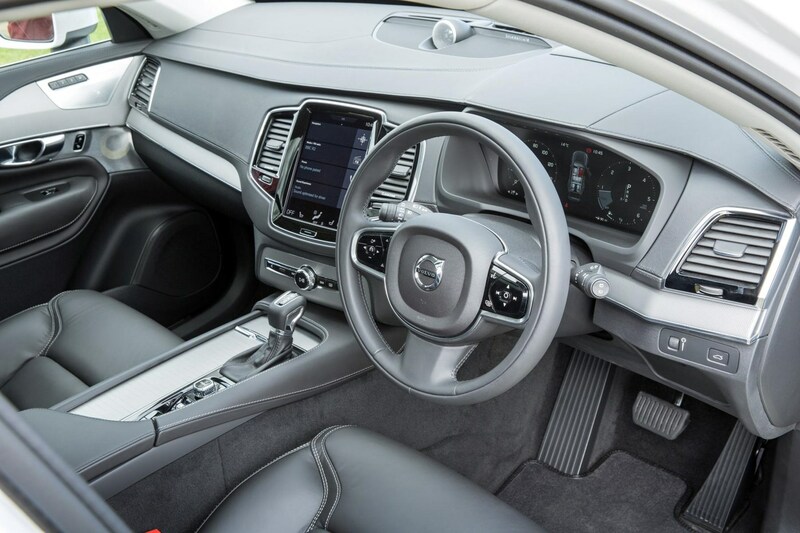 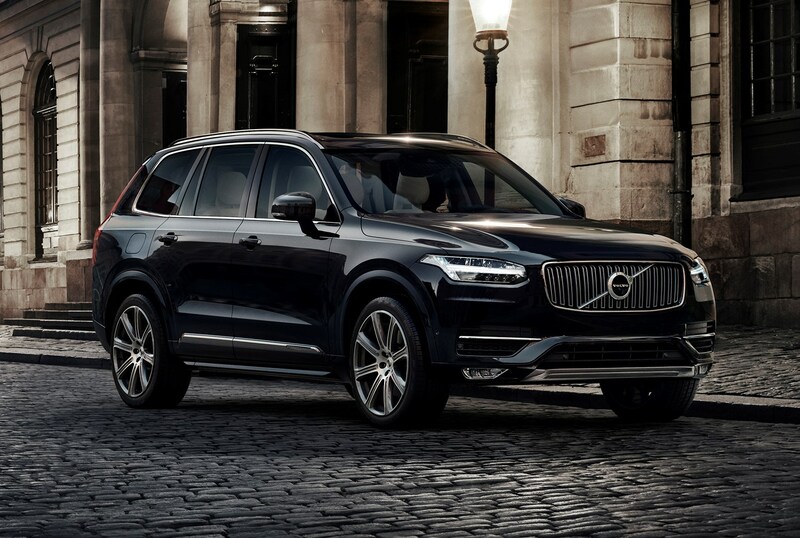 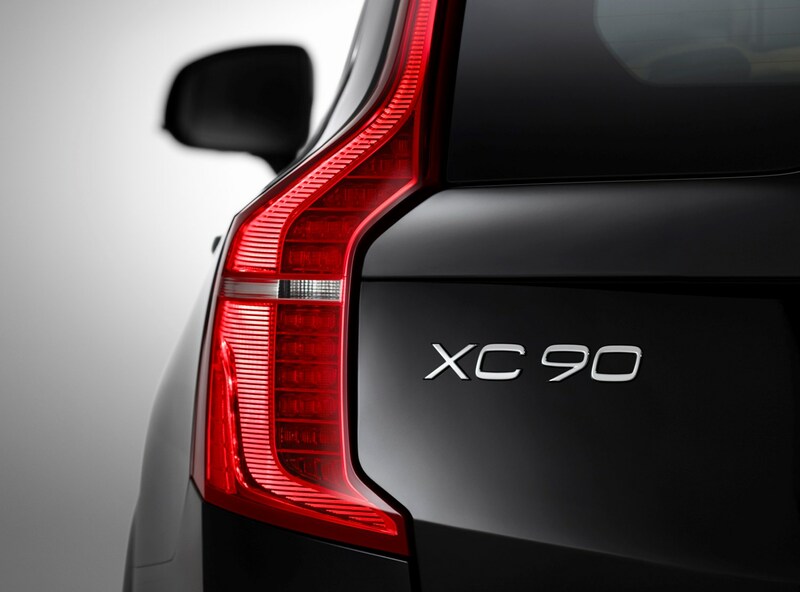 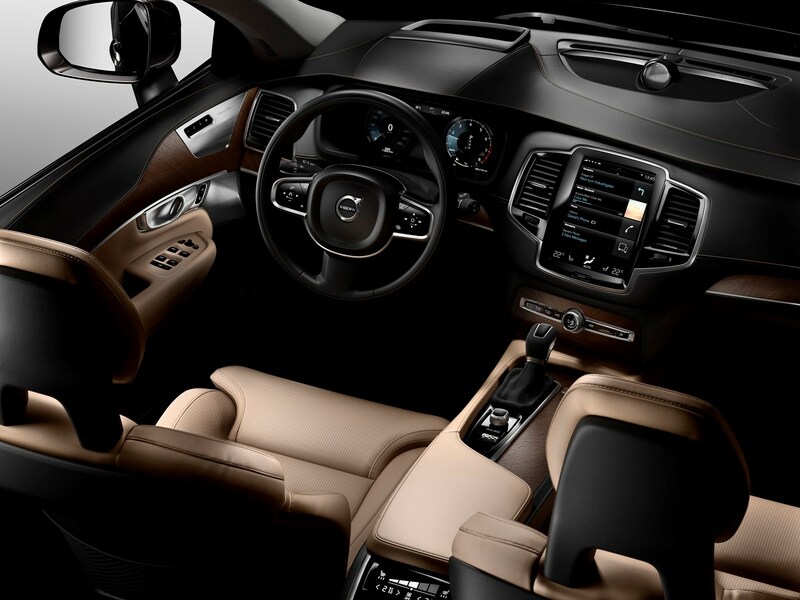 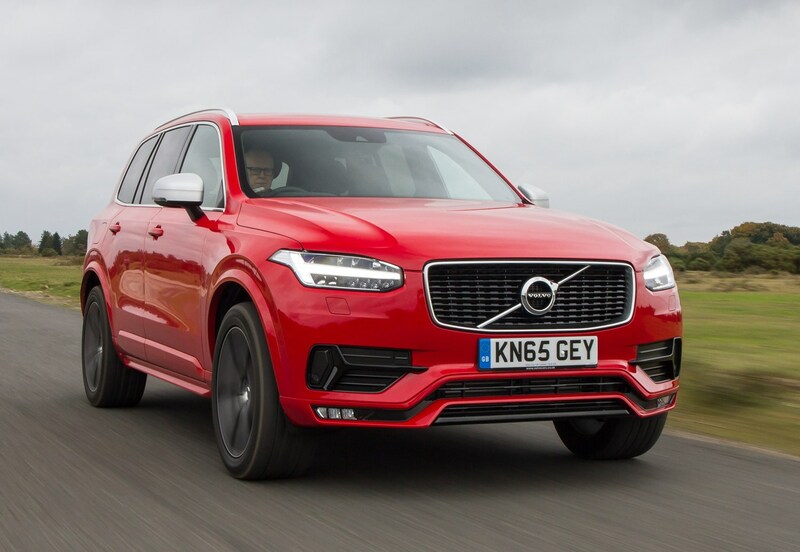 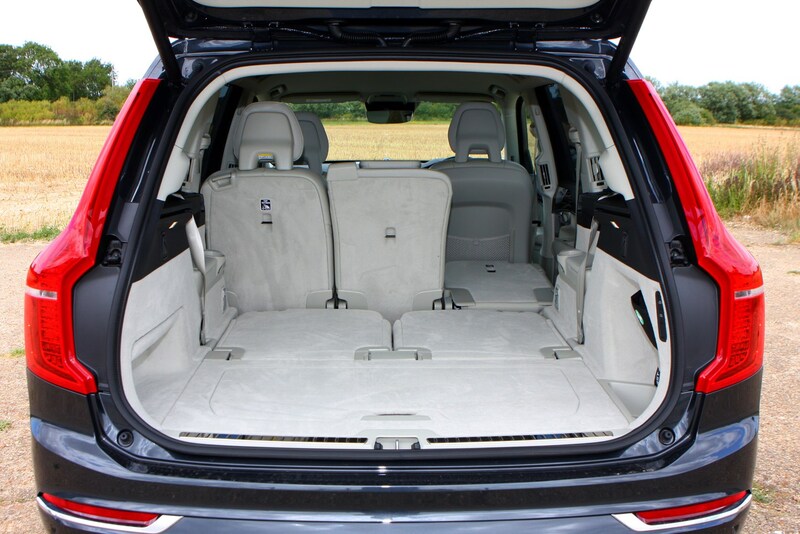 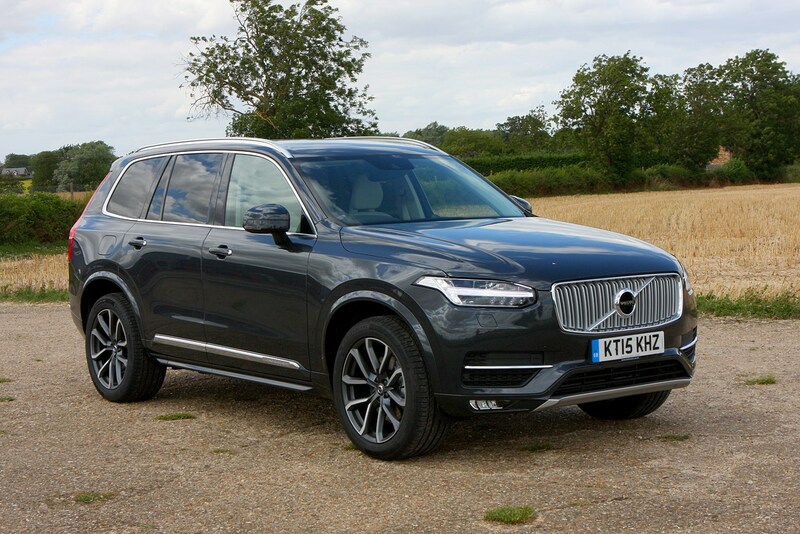 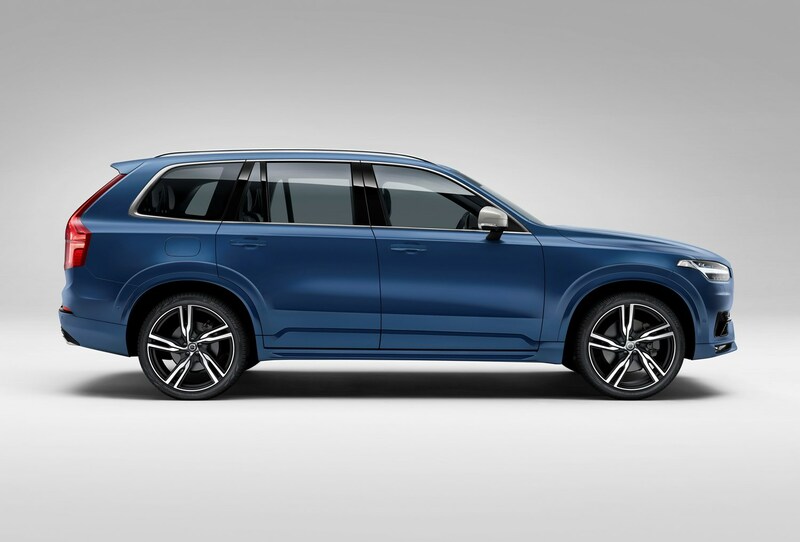 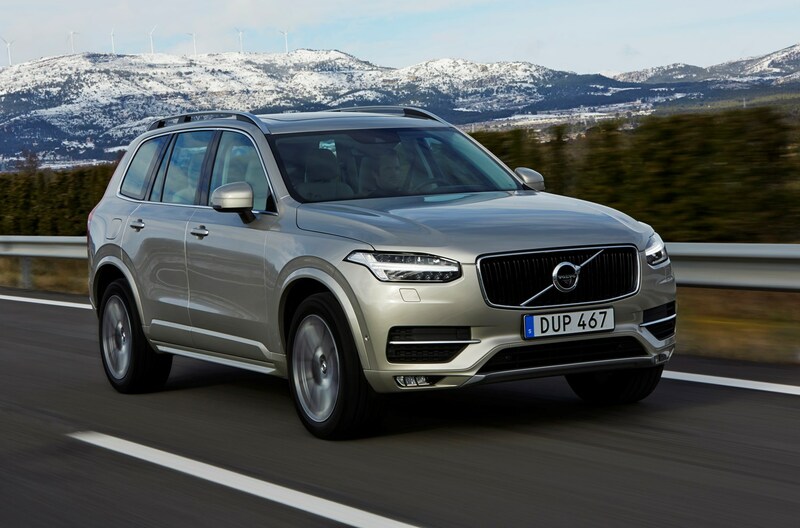 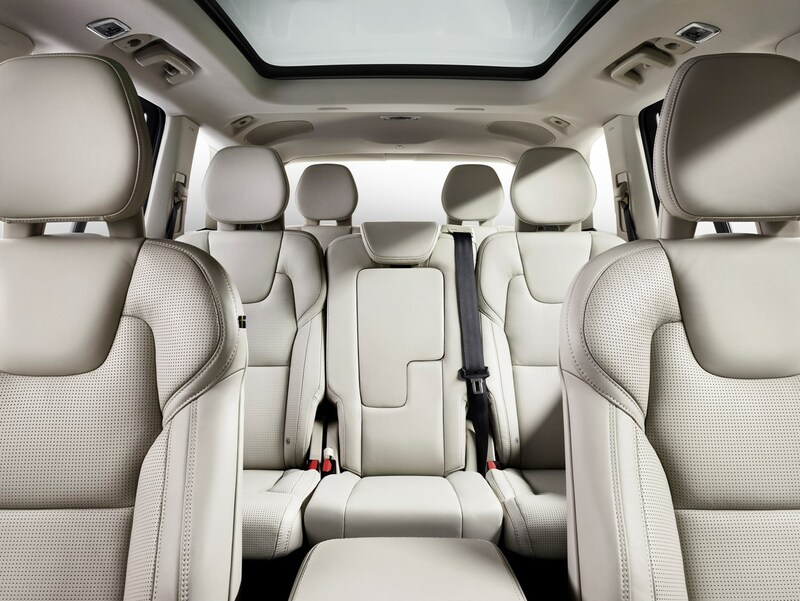 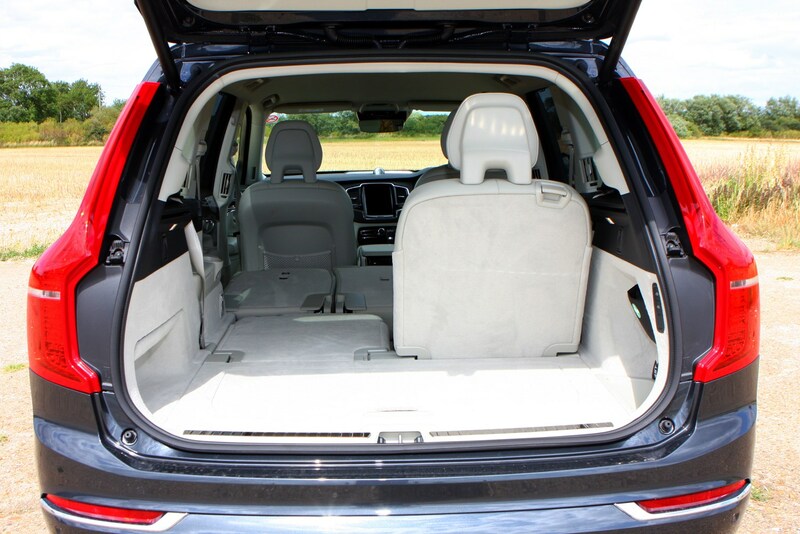 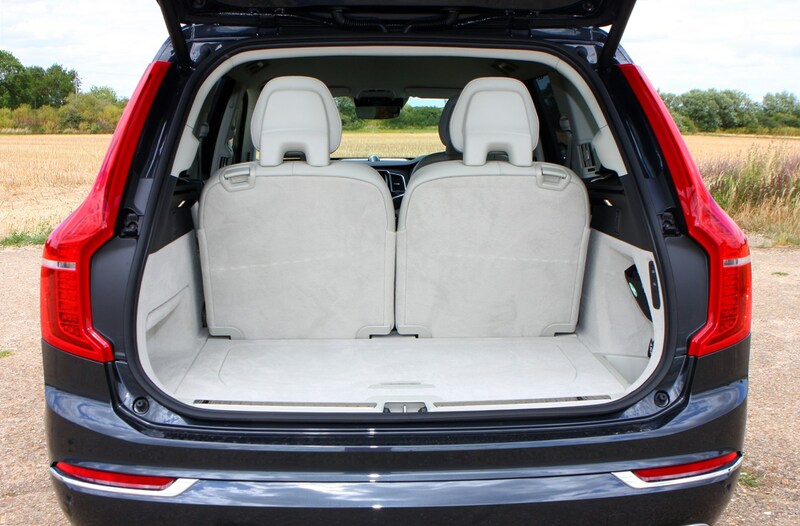 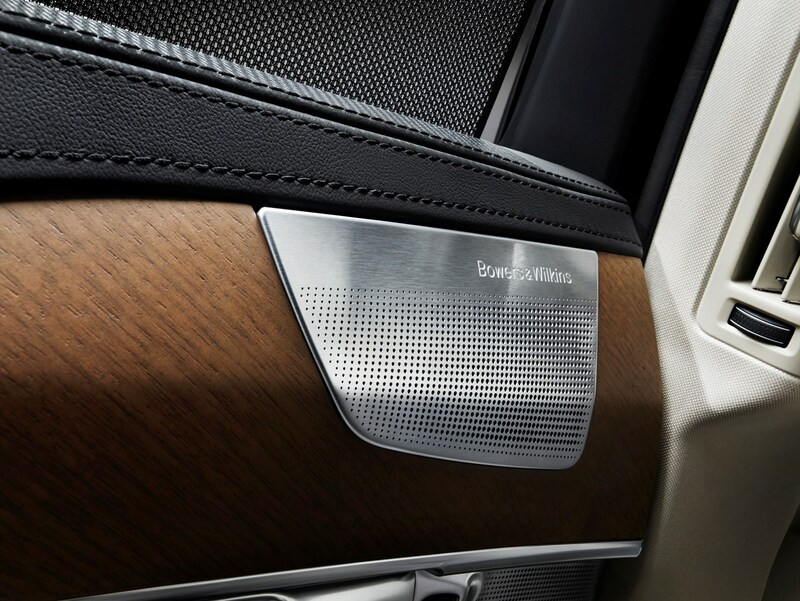 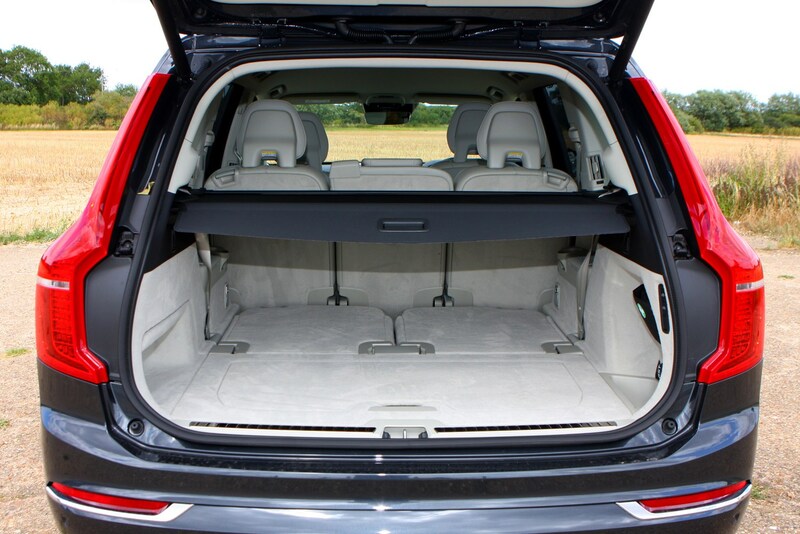 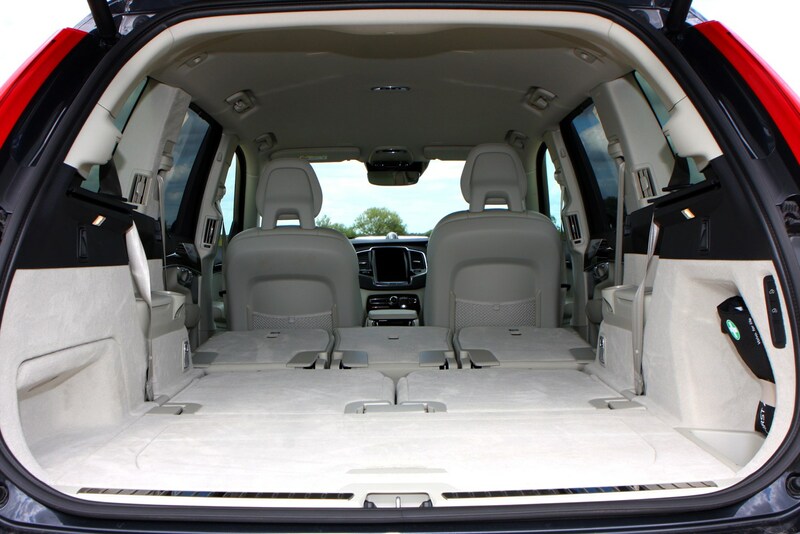 And with a vast range of gadgets available – including some seriously powerful stereo upgrades, various connectivity options and safety and driver assistance tech – the XC90 feels every inch the tech-heavy and modern SUV. 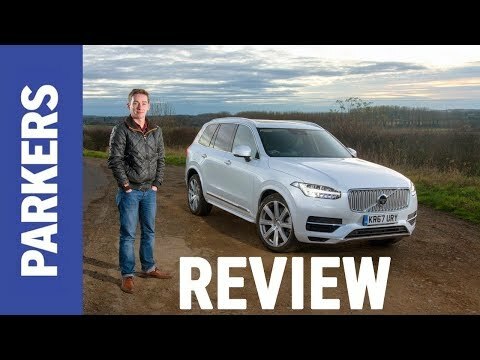 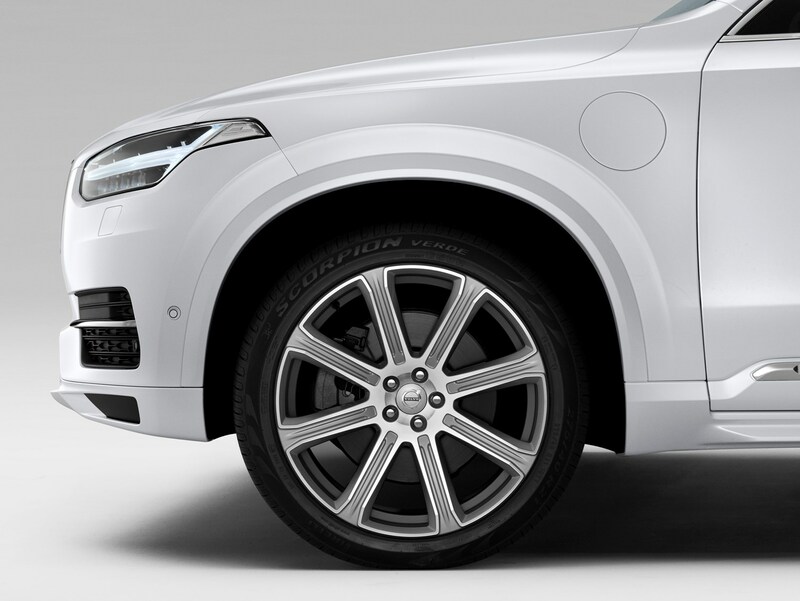 Should you buy a Volvo XC90? 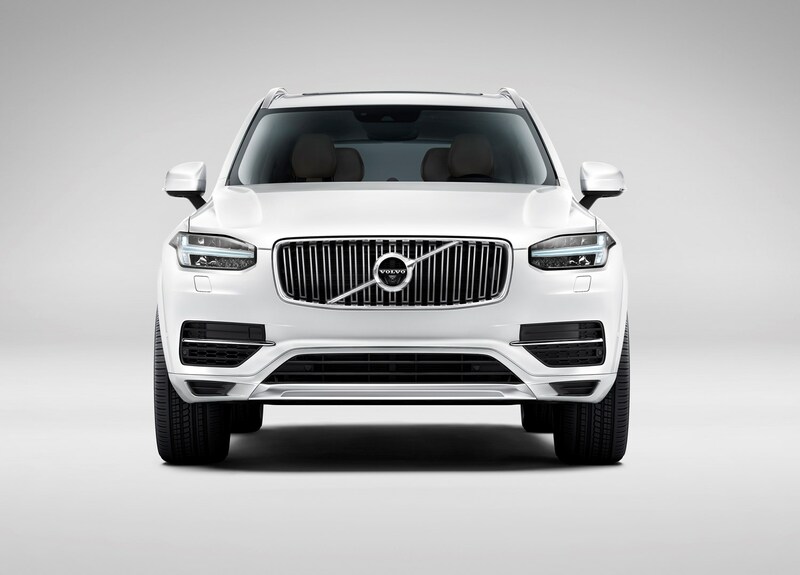 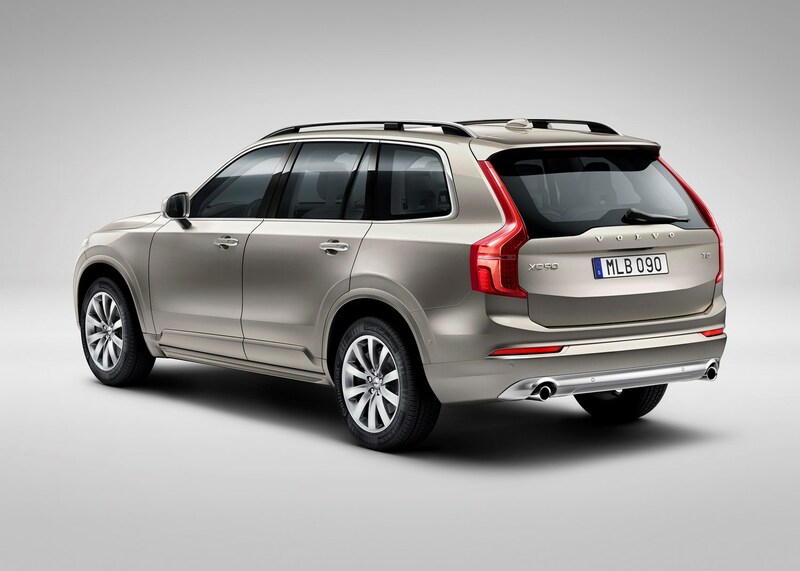 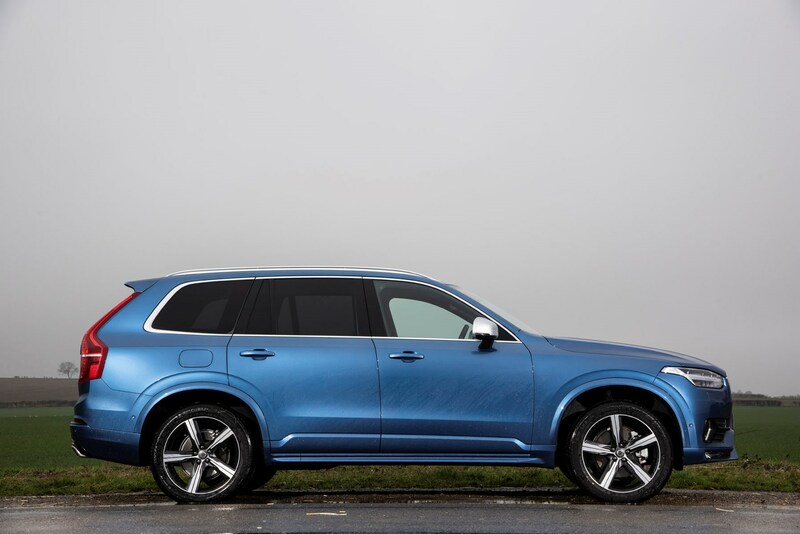 The XC90 is an incredibly strong proposition as a premium family car. 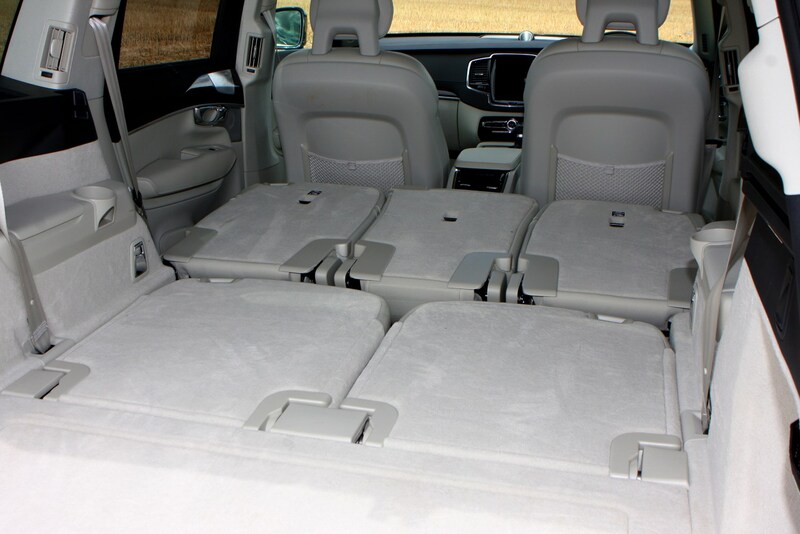 It offers a high-tech yet spacious interior that’ll carry seven and their luggage, plus the commanding driving position and lengthy list of safety kit will reassure all drivers. 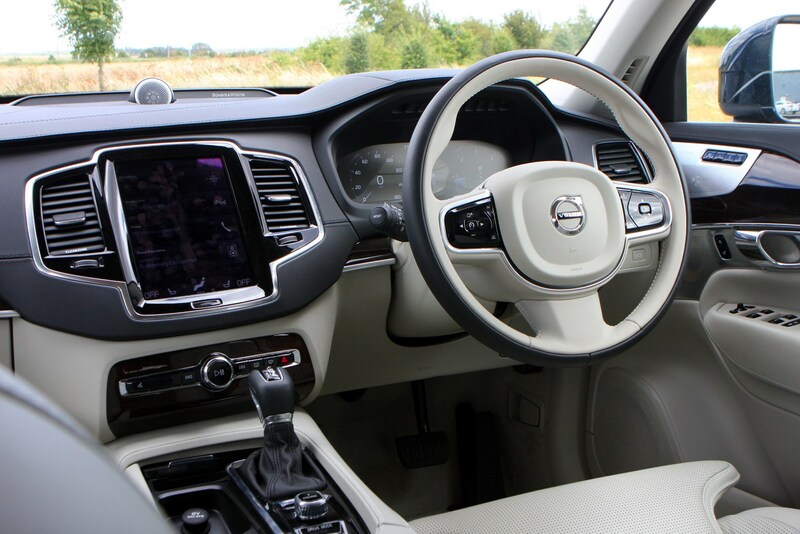 It’s also very easy to drive with smooth and powerful engines, and is a great option for long distances thanks to a refined drive and comfortable ride. 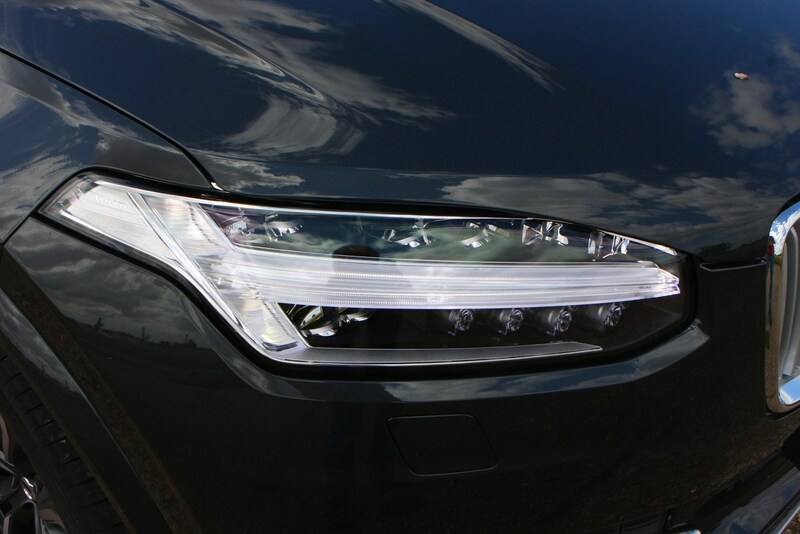 It’s quite expensive though, and if you want to add extras then you’ll see the price soar, but that’s the case for any car of this type. 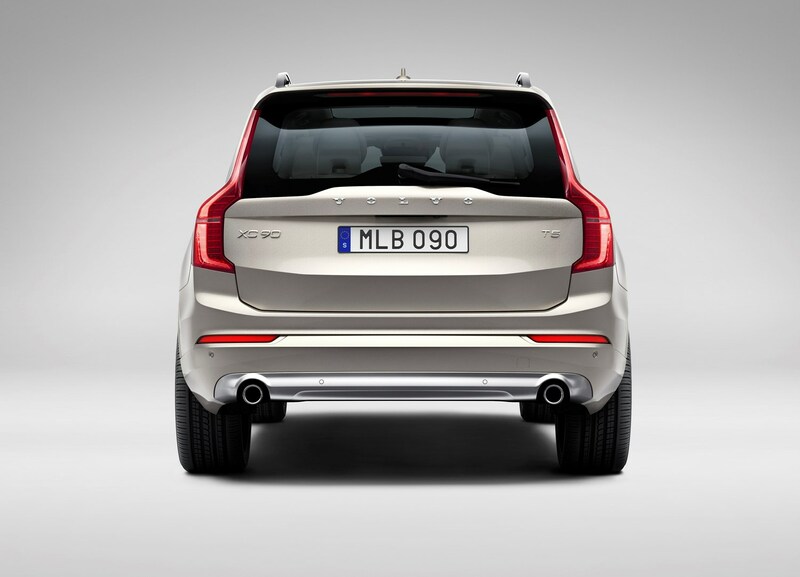 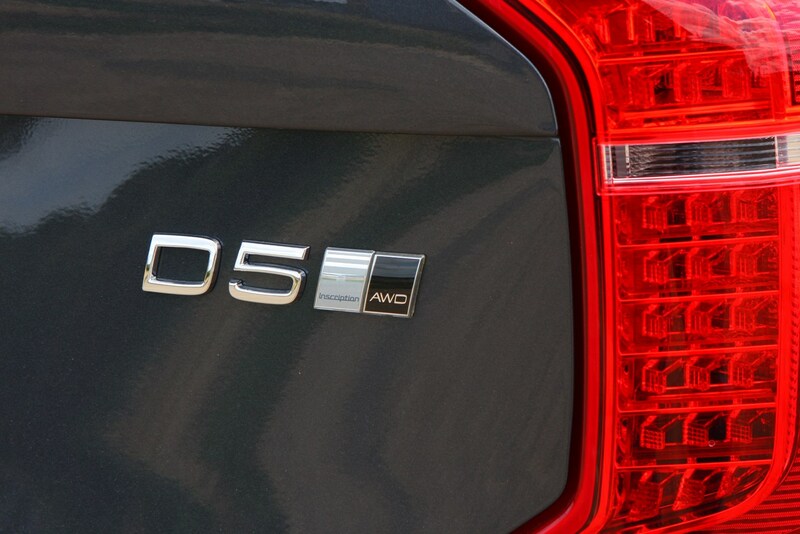 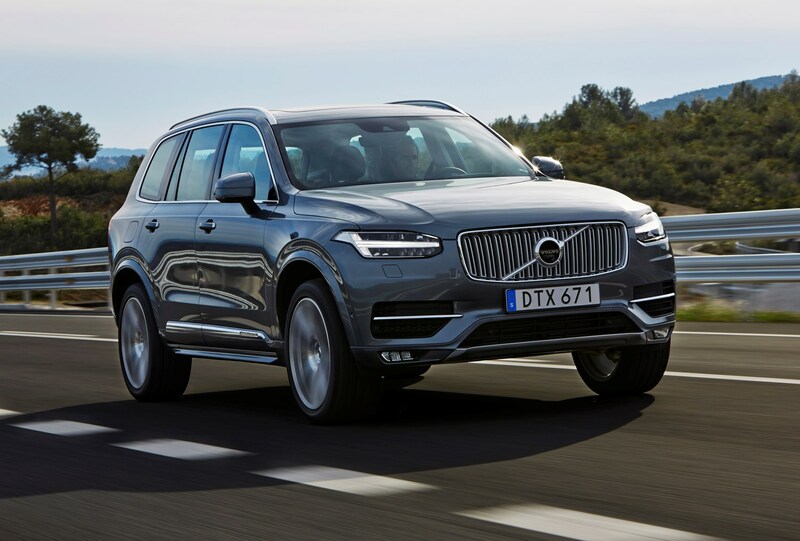 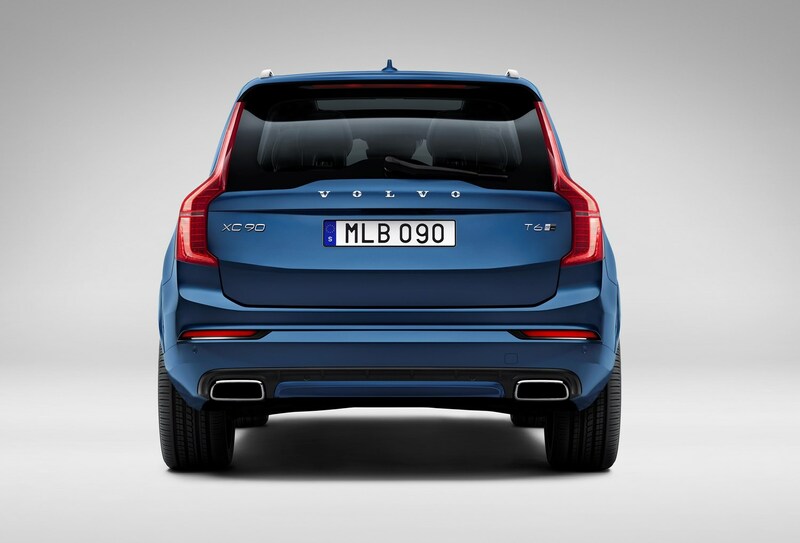 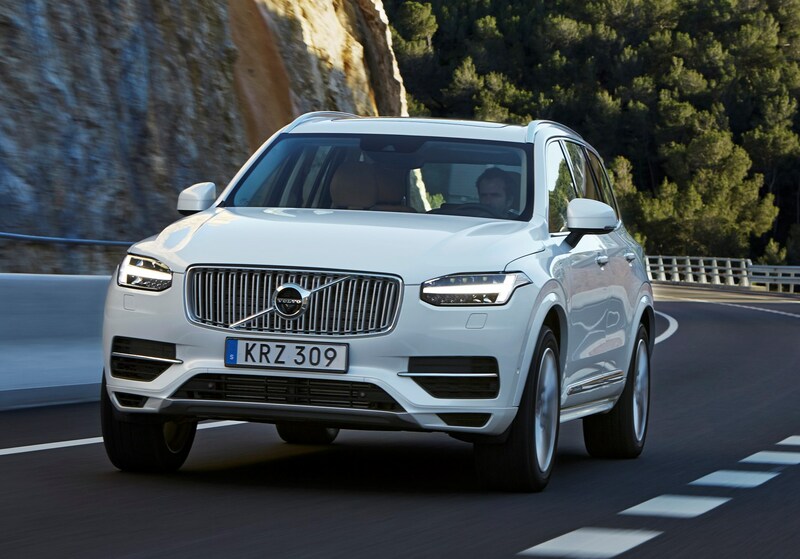 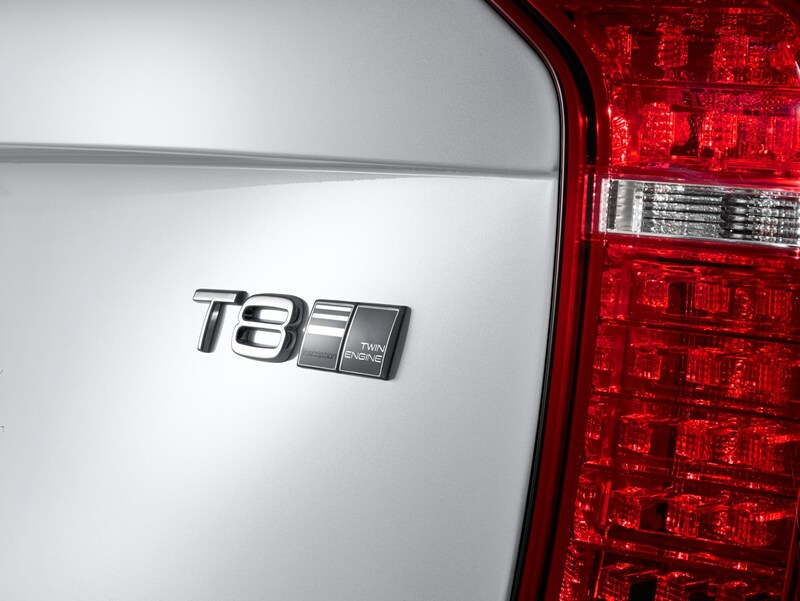 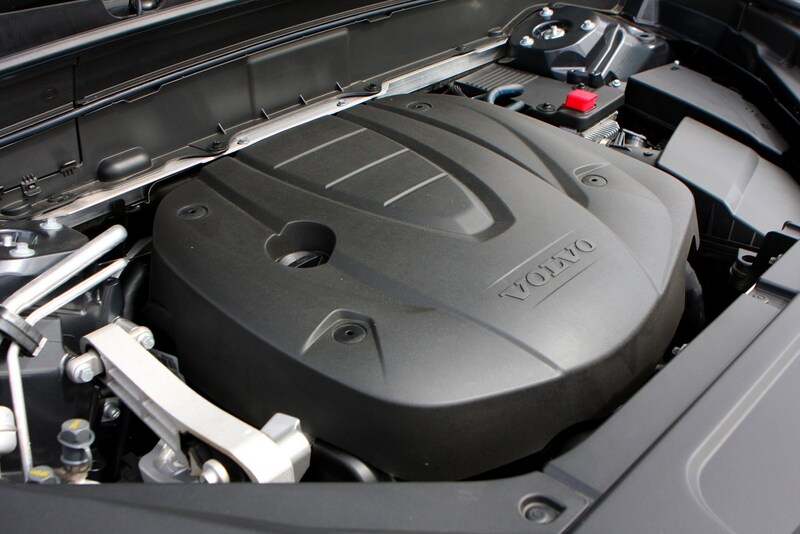 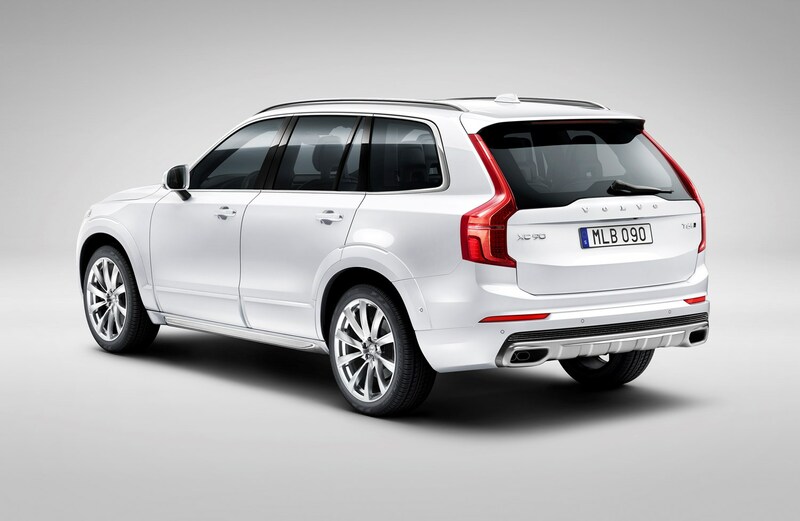 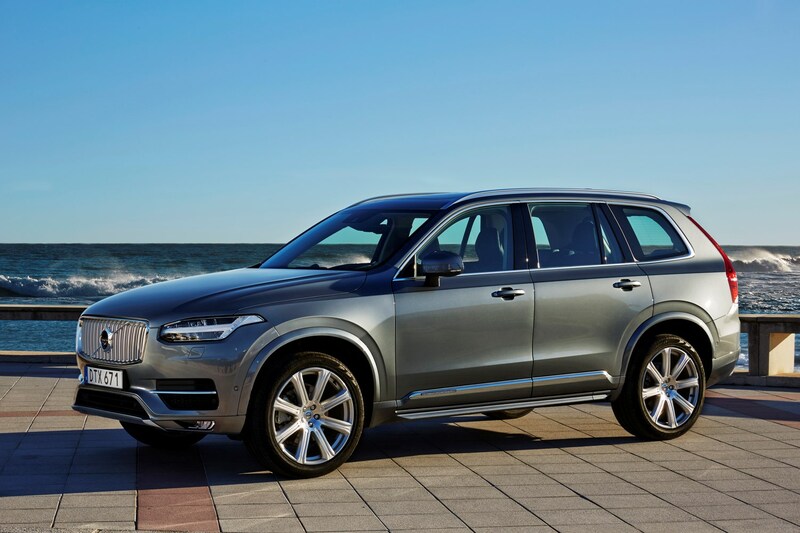 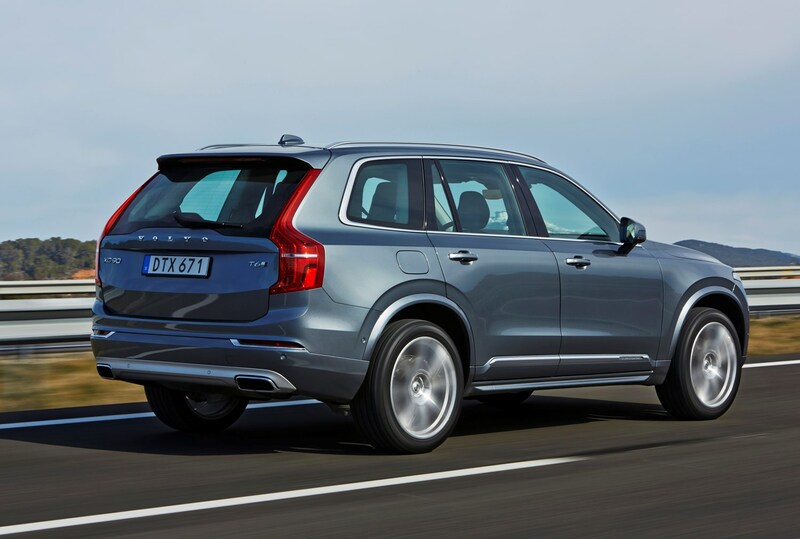 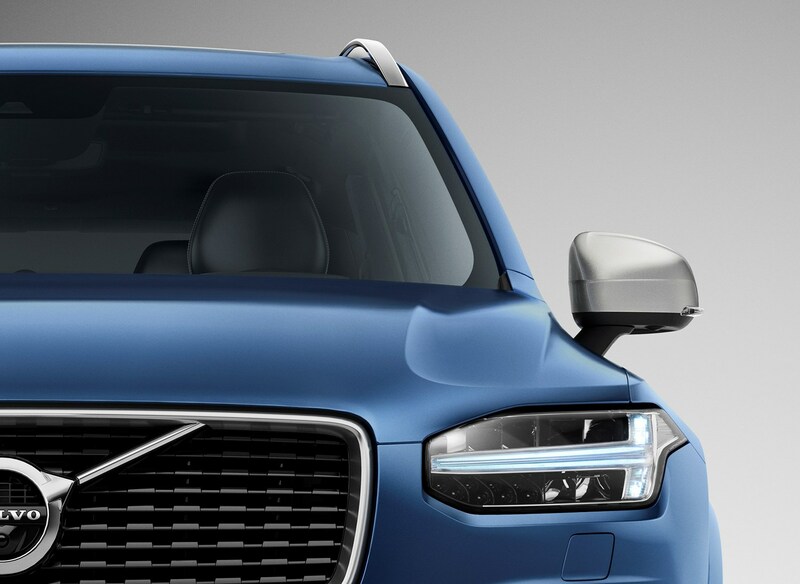 What also boosts the XC90’s appeal is the broad range of engines, including the T8 plug-in hybrid. 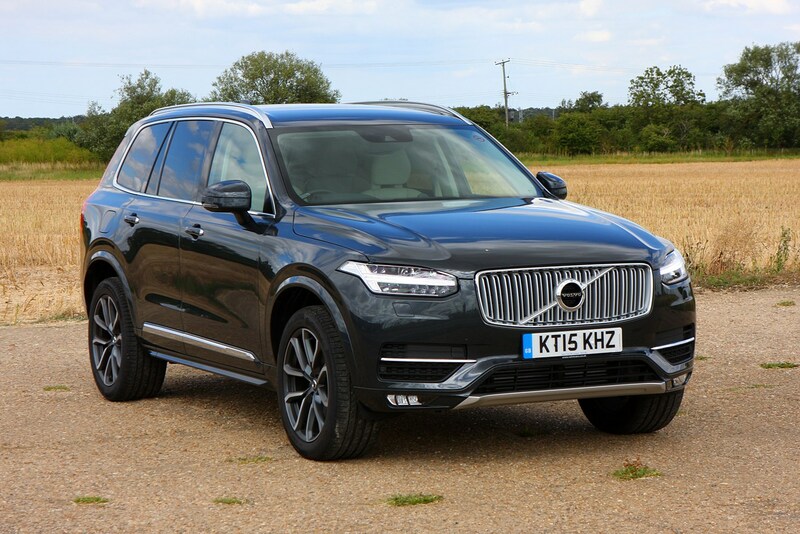 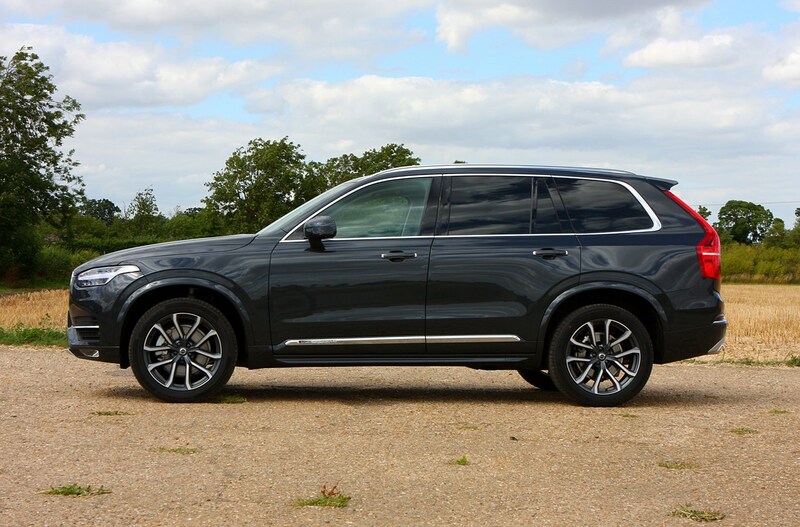 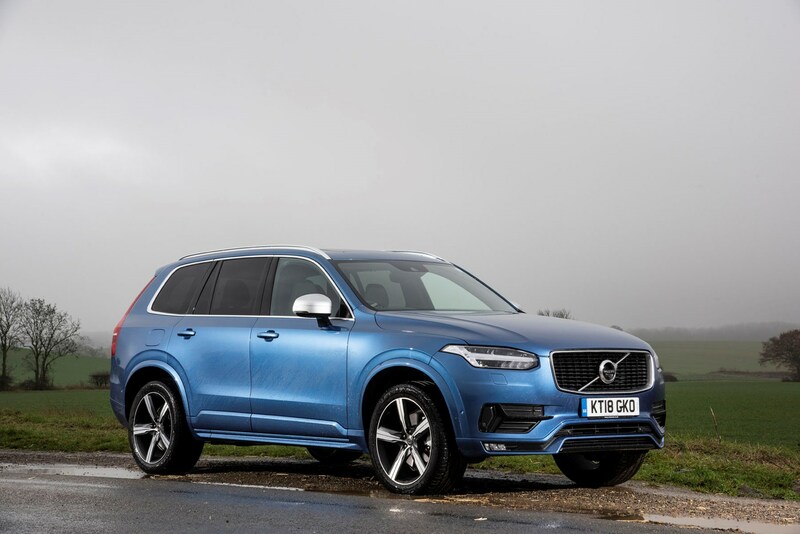 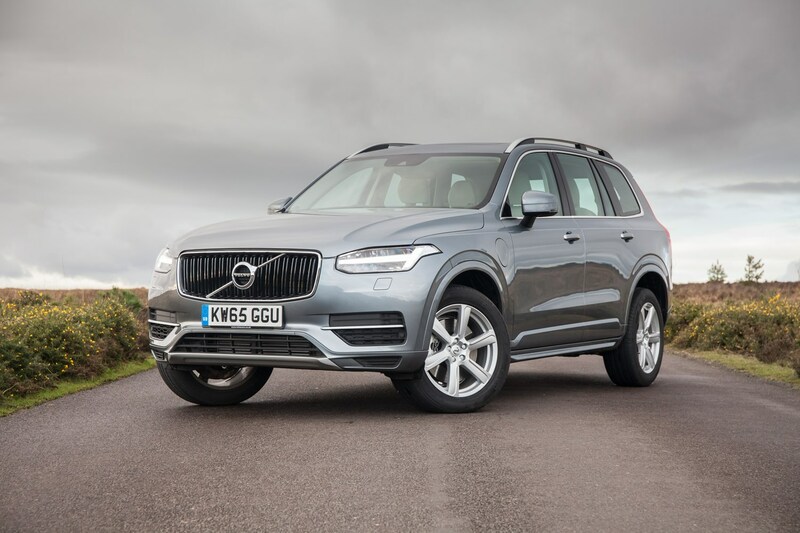 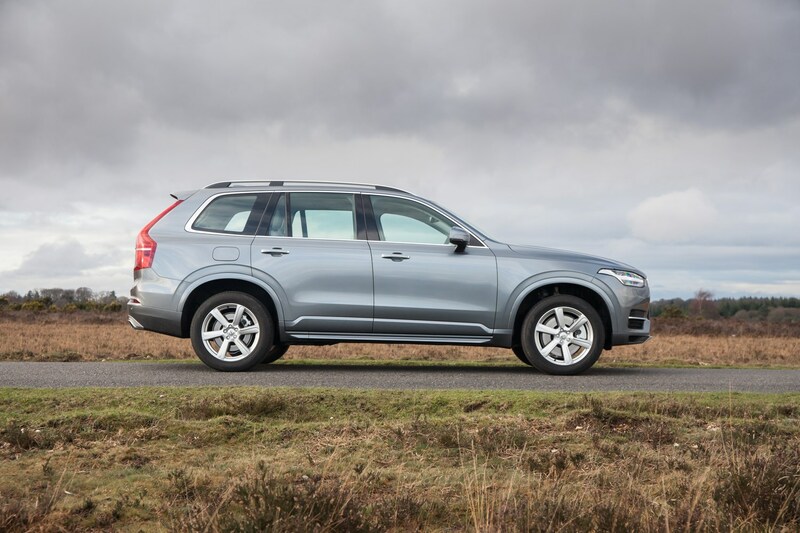 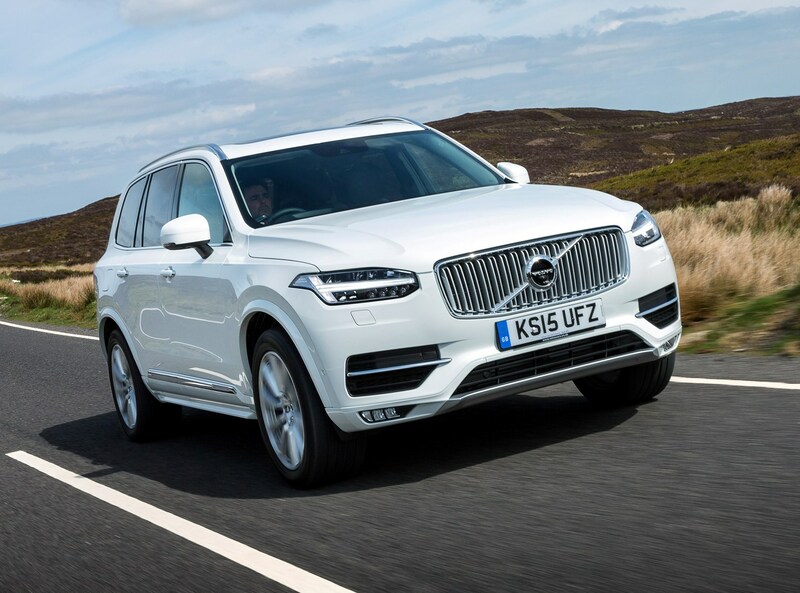 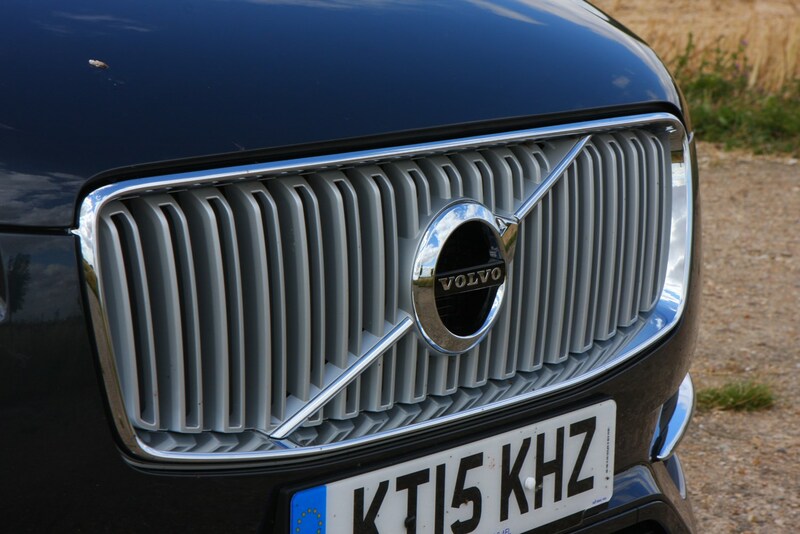 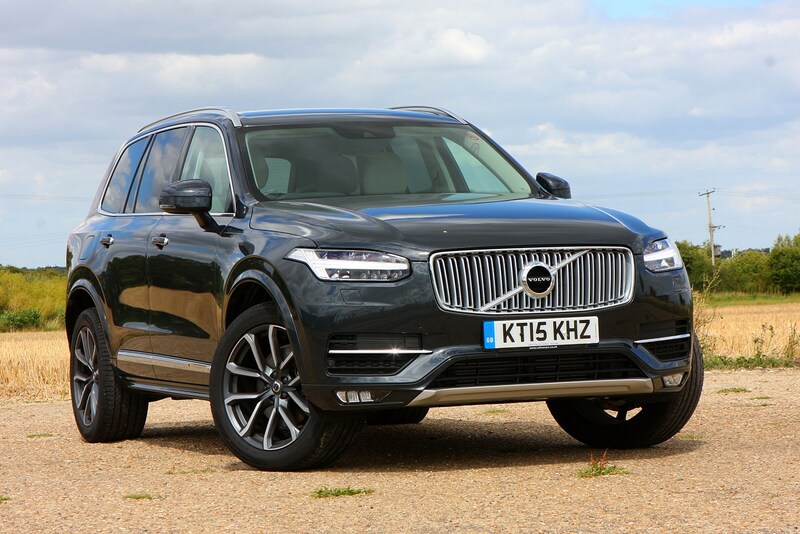 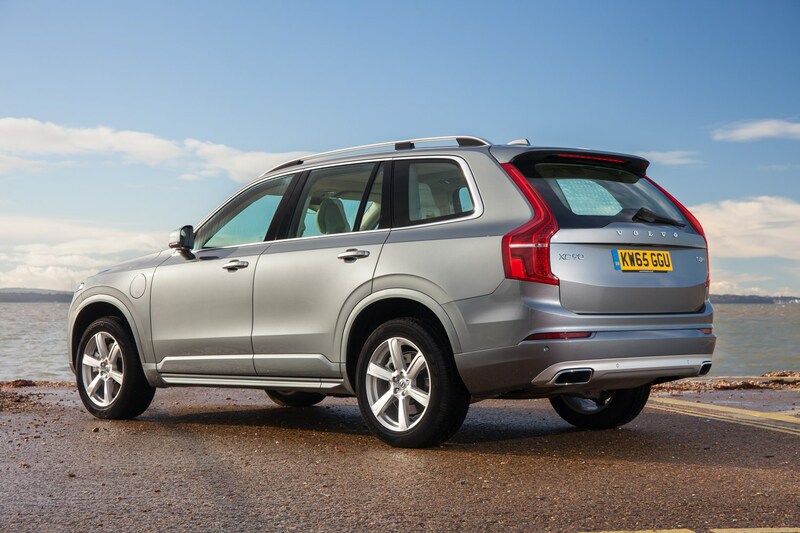 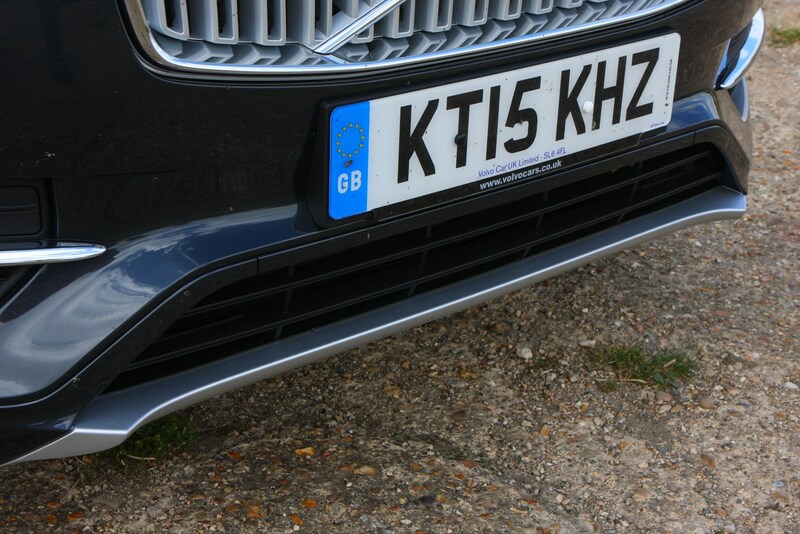 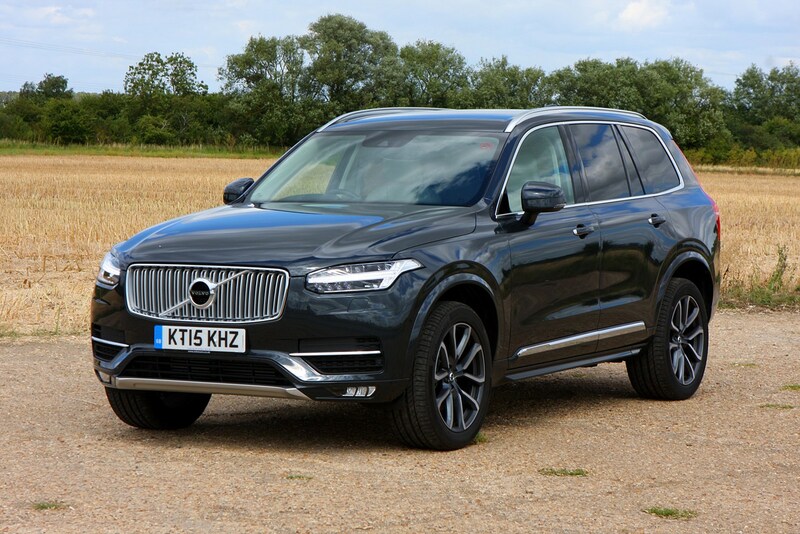 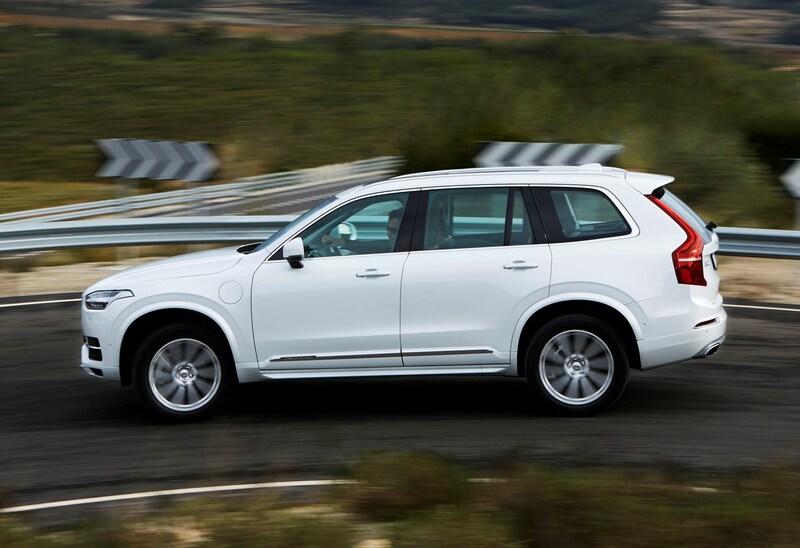 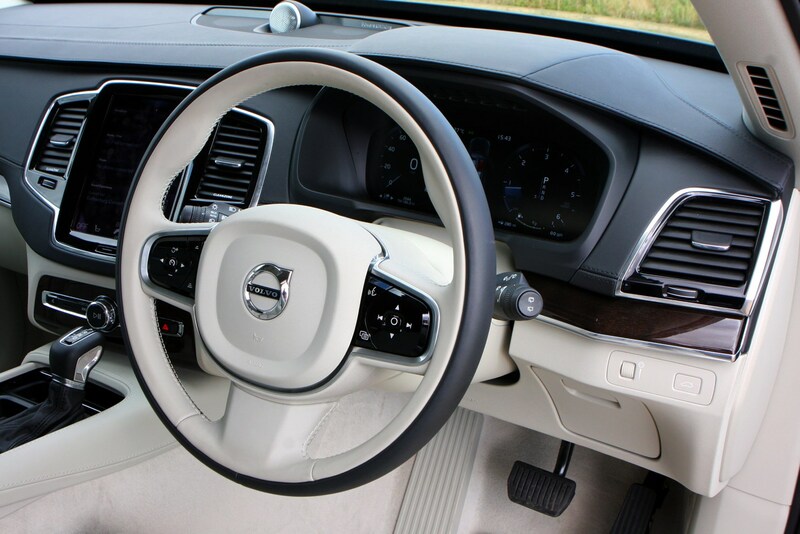 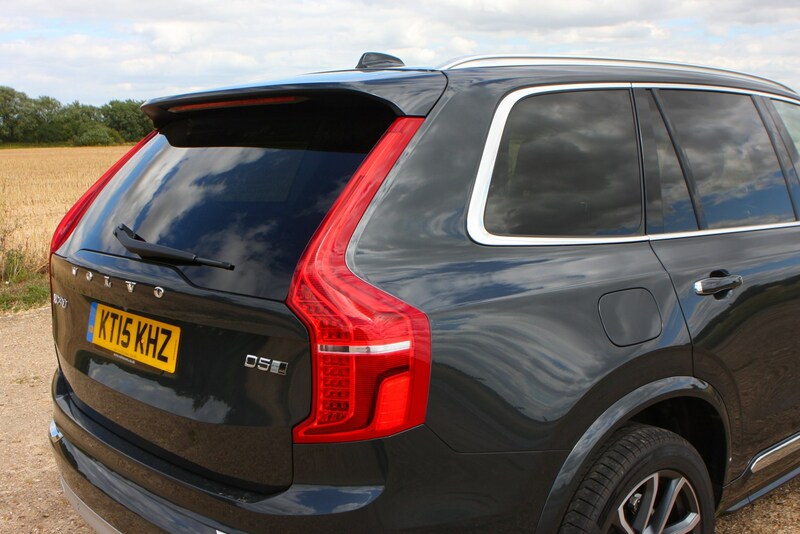 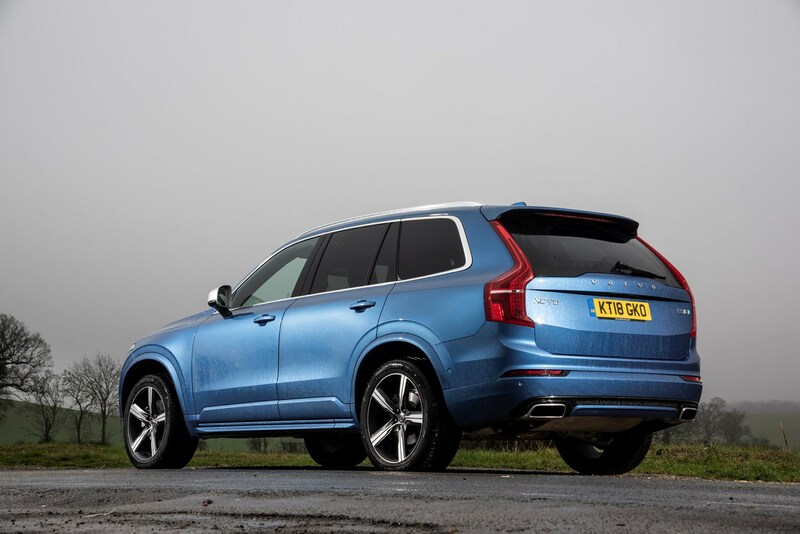 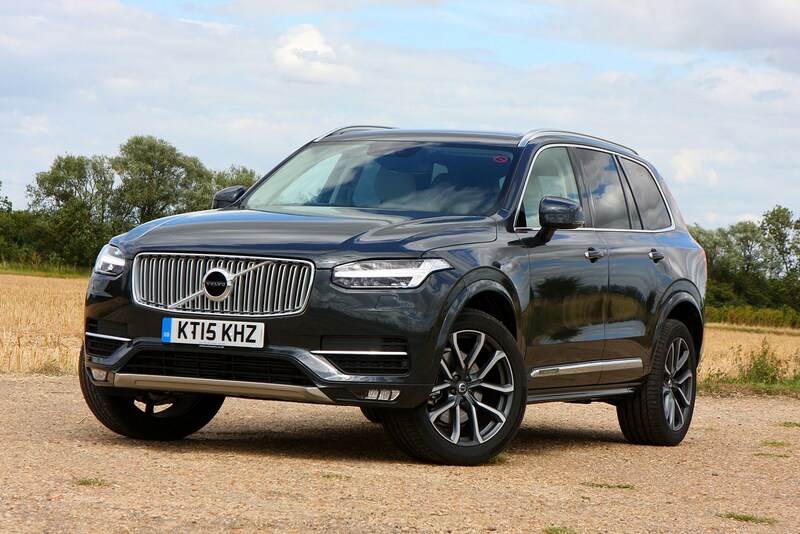 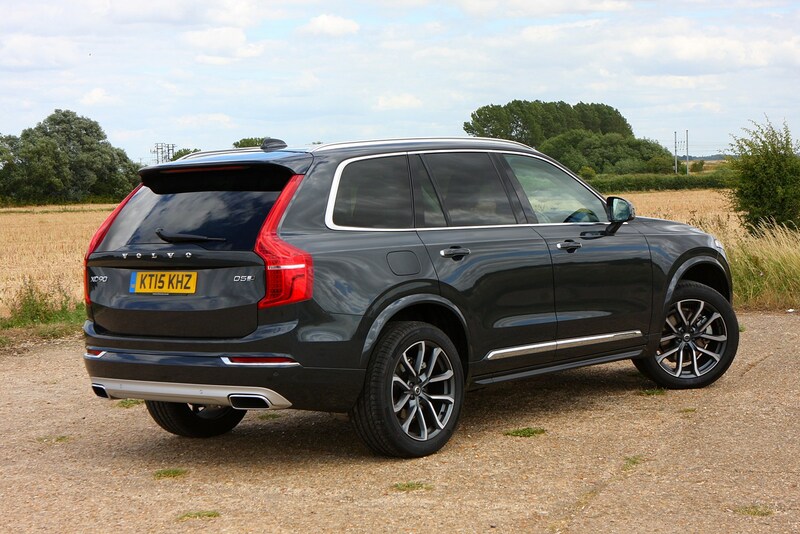 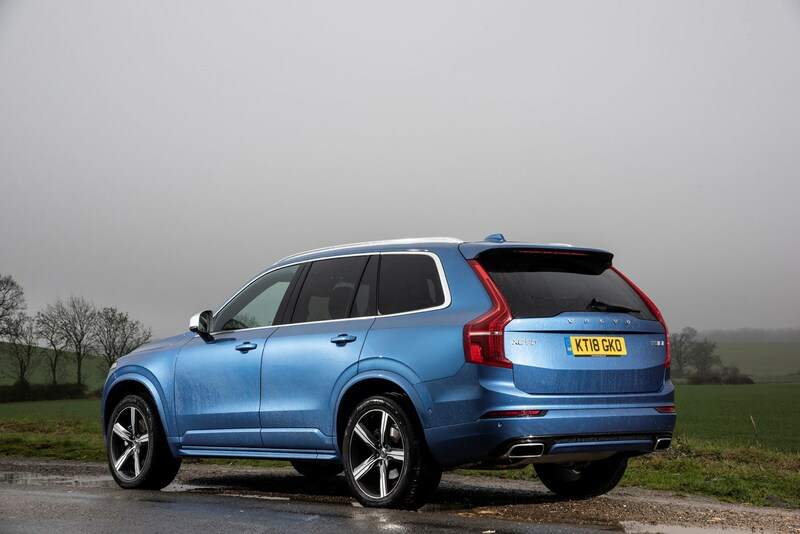 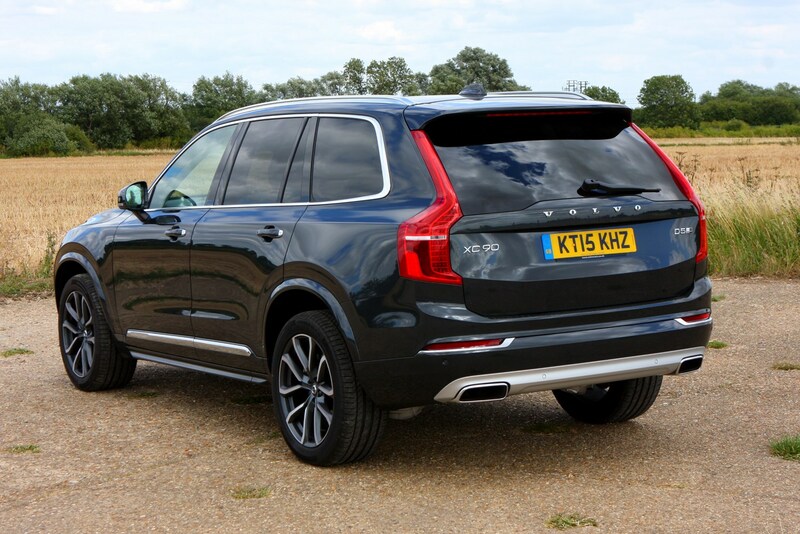 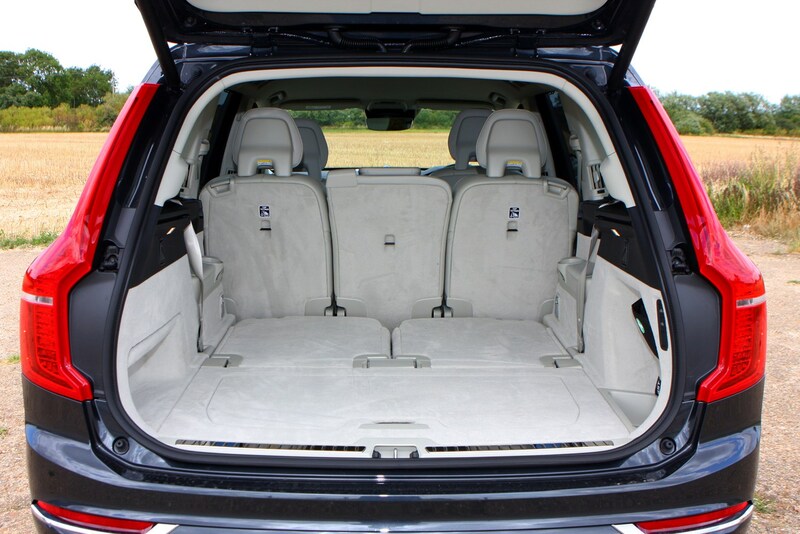 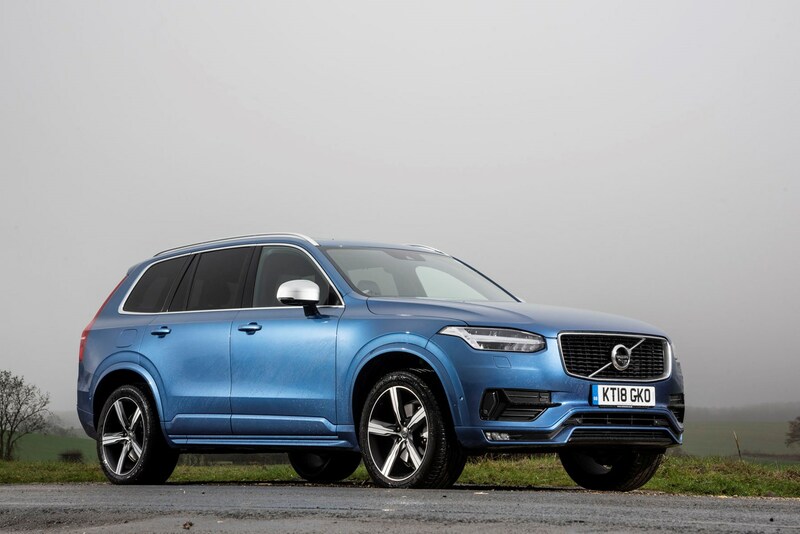 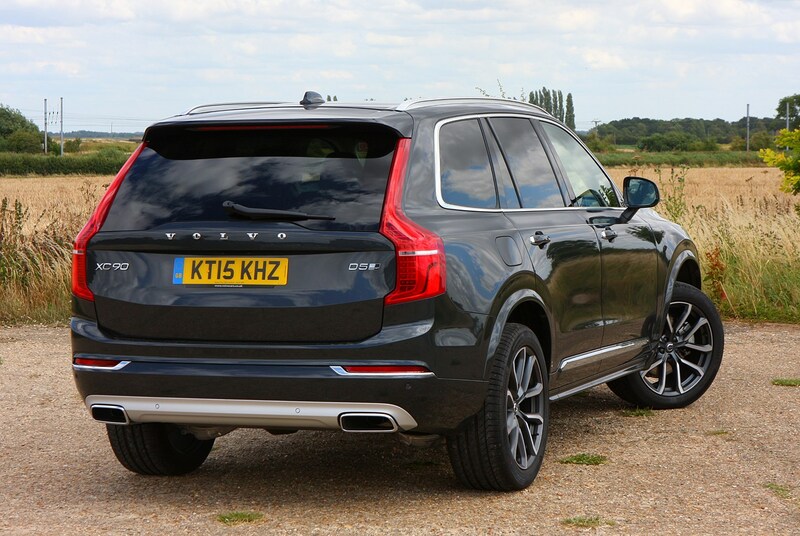 Read on for the full review of the Volvo XC90 – is it a well-rounded package for families?